Degrees: PT, DPT, CMPT One of the greatest aspects of physical therapy is solving a problem and to help people to get rid of nagging pain. By asking questions, and analyzing answers will help to pinpoint the origin of pain, which can be far from where pain is really felt. Is therapists we use various methods to treat the the cause and symptoms. This way, my clients can avoid recurring issues, which is very satisfying to me! Has the search for your ideal massage chair been challenging and arduous? Are you looking for a massage chair which provides not only top-of-the-line comfort but also the utmost in customer satisfaction? The brand OGAWA is synonymous with craftsmanship, luxury, comfort, style, and opulence. OGAWA is a top-end furniture brand that is known for producing luxurious, tasteful pieces. 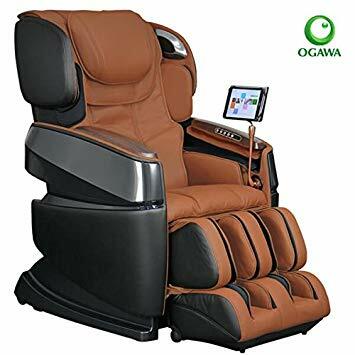 This article will introduce the history and story behind the OGAWA brand, review and compare OGAWA’s most excellent massage chairs, and make a recommendation on the OGAWA chair that shines brighter than the rest. Let’s begin with a bit of history about the OGAWA company. The brand was born in 1996 in the beautiful country of Malaysia as a health and wellness retail store. It swiftly outgrew its humble roots and became a significant contributor to the industries of design, development, and advertising health and wellness equipment within Malaysia. Dating back to the OGAWA group’s inception, it has increased its scope and grown into a company with over 1000 employees and counting! 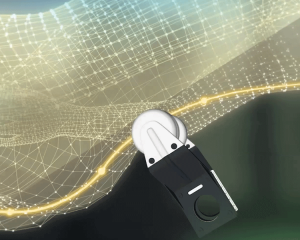 Today, OGAWA employs its services and provides a wide variety of products within the Asia-Pacific region, but the group is nowhere near finished. Today, the company maintains 169 outlet locations, in 46 cities spanning 15 countries. OGAWA’s ever-expanding network has allowed the group to connect with more and more people from all over the world. OGAWA is not a company without ambition, and you can count on this incredible growth to persist. It certainly isn’t showing any sign of slowing down, and why would they want to? Ogawa sounds and behaves in the manner of a focused, sophisticated organization that has their priorities in order and a clear idea of where they’re going. 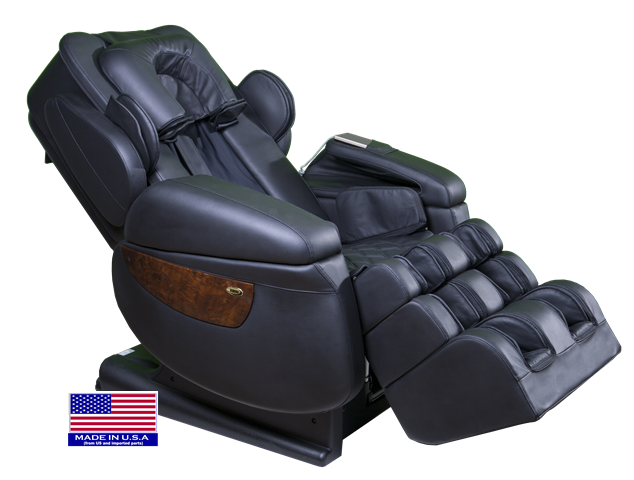 This top-of-the-line model luxury massage chair is dynamic, multi-functional, and customizable beyond your wildest dreams! It’s incredibly comfortable and provides users with access to 17 massage styles at the minimum as well as several intensity settings. The Smart 3D Massage Chair has a gorgeous, elegant design. The amusing thing is that it feels even better than it looks, and now that you’ve seen it, you know that it must feel incredible to sit on! This exceptionally advanced chair utilizes a Samsung Tablet instead of the standard remote control that you’ll notice attached to most massage chairs. Over and above that, each regular user of this model luxury massage chair will be able to create their own personal profile to be used with the Smart 3D. Once you’ve created your personal profile, the Smart 3D will tailor and customize its massage techniques to your preferences. 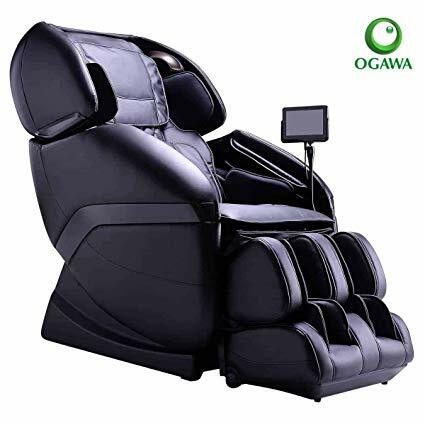 The OGAWA Smart 3D Massage Chair is arguably one of the most sophisticated and technologically advanced equipment of its kind in the entire world. For our purposes during this review, it is undeniably the #1 Top Model. There are competitors to the Smart 3D model. The Luraco i7 chair is a competitor to the OGAWA Smart 3D because of its similar high-quality features and in my opinion is the winner and the best massage chair in the world right now! A personal, customizable profile that tailors massage techniques to the unique individual Most customer reviews are overwhelmingly positive with users praising every feature of the Smart 3D. The Active L serves as an excellent mid-priced alternative to the Smart 3D model. Customer reviews and organization-led reports have named the Active L Massage Chair “one of the best value luxury massage chairs” on the market. OGAWA takes pride in making luxury equipment affordable and accessible. On the other hand, it may make sense for prospective customers to invest in the Infinity 8500x, which is more expensive. Conversely, the 3D Kahuna Exquisite Rhythmic model is a comparable and might be a better choice choice. The affordable nature of this model is illustrated by the fact that the device offers several features only found in chairs that cost double the price. A few of these traditionally pricey components include the L-Track massage system, touchscreen remote control, Bluetooth connectivity, and several more. The Active L model proves that you don’t have to spend your life savings or save for years to afford a chair! 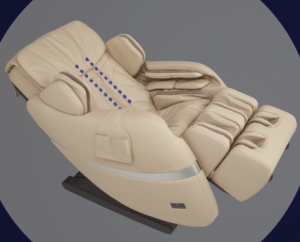 The OGAWA Touch 3D Lounger can be thought of as the less expensive, yet equally functional cousin to the Smart 3D model. The first feature of the OWAGA Touch 3D lounger that strikes a new user is the stunning design. The dimensions of the chair are sleek and clean, producing a very modern appearance. The Touch 3D comes in two beautiful color schemes, both of which fit the dimensional appearance of the electronic lounge chair. There’s no debating that the Touch 3D isn’t the most advanced of the OWAGA series, but it may very well be the best-looking chair of the group. We’re going to save the time of listing out the incredible amount of features found in the Touch 3D model because the majority of them are identical to those found in the Smart 3D model. The OGAWA Touch 3D remains an excellent luxury electronic lounger. However, if you’re going to be spending this kind of money, we’d recommend that you spend the small extra amount and go for the Smart 3D model. Alternatively, for a similar price, a customer could find the 3D Kahuna Exquisite Rhythmic model as a better option due to its diverse features and versatility. The OGAWA Refresh Plus lounger model presents customers with a hard-to-resist value for the cost! 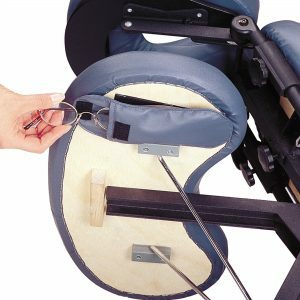 This model is more affordable than most of the other OGAWA therapeutic chairs, yet it still has plenty of features, gadgets, and options to keep any lounge chair lover occupied. The presence of many features doesn’t mean that a chair is capable of or should be tasked with performing every imaginable function. The Refresh Plus model was designed for casual therapeutic chair users rather than people who need the features for physical, therapeutic, or health reasons. The Refresh Plus is perfect for people who are trying out their first chair and are seeking a taste of as many features as they can for their first try. It’s a smart strategy for people to introduce themselves to the lounger market, and the Refresh Plus model is an excellent example of a multi-faceted chair with lots of features. In addition, the Refresh Plus model is an aesthetically pleasing piece of furniture. It has a unique look that can be the centerpiece of an entire room, or at the very least is sure to catch some eyes. 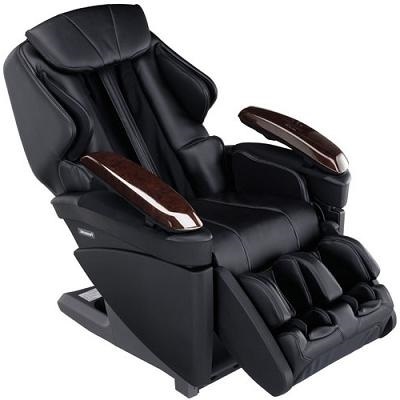 However, at a similar price, the Kahuna 6800 model may be a better option for prospective luxury massage chair customers. The Kahuna 6800 has similar features and can be found at a less expensive price. The simple remote control function When this model was released, it was at top-of-the-line and featured innovative, state-of-the-art technology. However, one customer review stated that the spine massage feature was far too weak. As a disclaimer before we begin our final review of this article, the next model has been discontinued. We’re going to review the model anyway, and if you fall in love with it, there are still models out there on the secondhand market. We decided to review it to demonstrate how OGAWA brand has remained at the top of the massage chair market for several years. They have continued to create new ideas and push the boundaries of luxury lounger design. When the Active Supertrac was released, many massage chair critics considered it to be the “luxury massage chair” of the year. Even if it wasn’t the best chair released that year, it was an outstanding design and contained various advanced technological features. 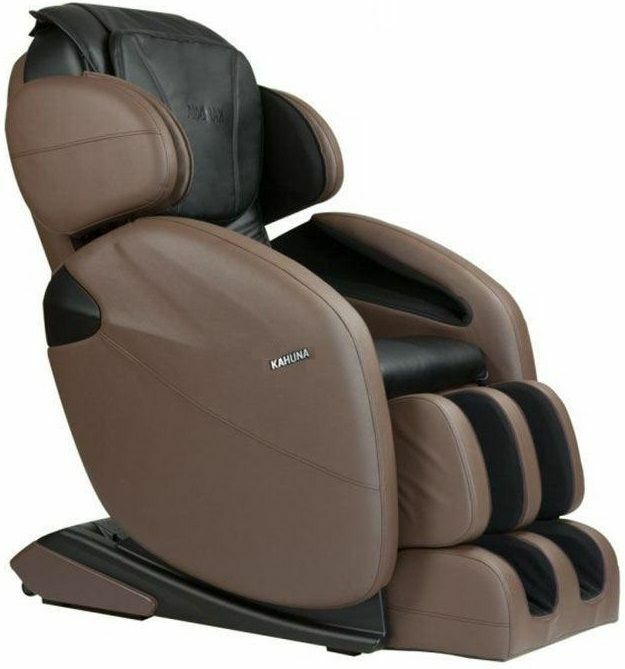 Many of those new features were developed further, and now they are the most prominent features of OGAWA’s current luxury massage chair designs. When you think about what you want the most out of a therapeutic lounger, what do you consider? Most people would say that the most important feature to them is comfort and consistent relaxation. The Active Supertrac model checked both of those boxes and laid the foundation for the future of luxury massage chairs. Features – High-end models are generally capable of performing a wide variety of functions. Entry-level models may only be able to perform one or two tasks. 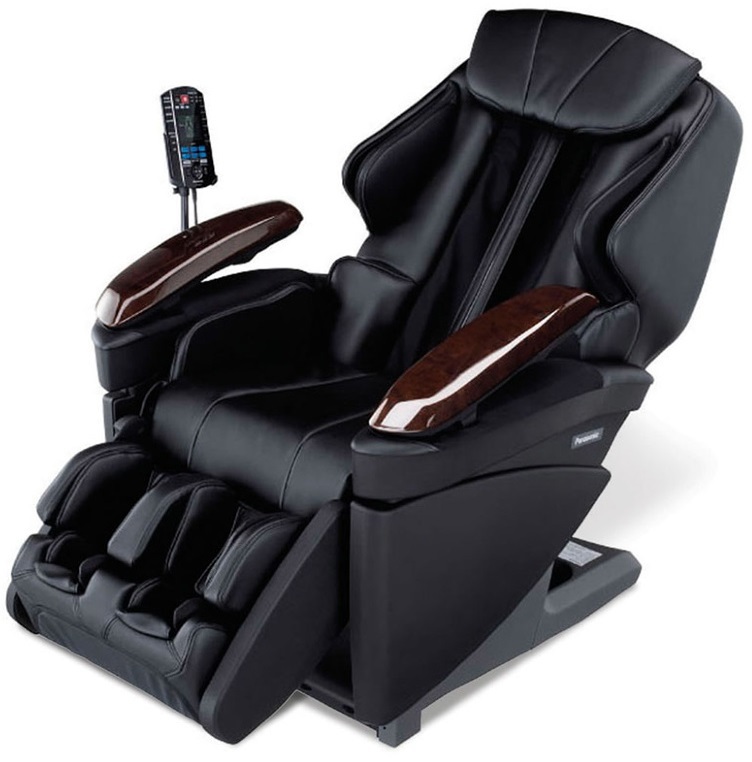 Budget – High-end massage chairs are and should be expected to be a significant investment. As with most investments, you tend to get what you pay for. Massage chairs are no different. If you make your choice by finding the lowest price, then you’re likely to be disappointed with the product. 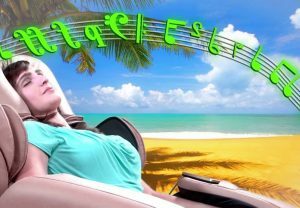 Don’t invest in a therapeutic lounger if you can’t afford it, and if your only option is to go for the cheapest device, then it’s best to avoid it altogether. 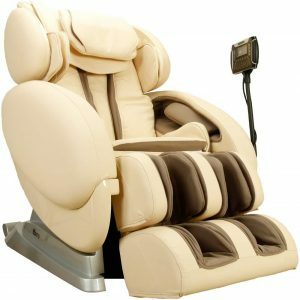 Warranty and Customer Service – When shopping for a massage chair, you should try to find an option that is manufactured by a trusted brand, like OGAWA. Well-known, trustworthy, experienced companies almost always offer warranties, especially for expensive items that are not meant to be damaged. Moreover, customer service quality is a critical factor to consider when selecting your new massage chair. Durability and ability to repair the damage – How often do you think you will use your massage chair? Once a week? Every day? Several hours per day? Will other people use the chair? Children? Animals? It should be clear that the more a massage chair is used, the more likely it is to be damaged. If you expect your massage chair to be used often, possibly by multiple people, then you should make sure the model that you select is durable and strong. Location – Where are you going to place your massage chair? These chairs are often large, cumbersome, and difficult to move. Take measurements of the space where you’d like to keep the device. Compare your area’s measurements to those of the massage chair. You don’t want to purchase an expensive, luxury chair only to find out it doesn’t fit in the only space that you had to keep to it. Remember that the excellent OGAWA brand manufactured all the models we examined in this article. 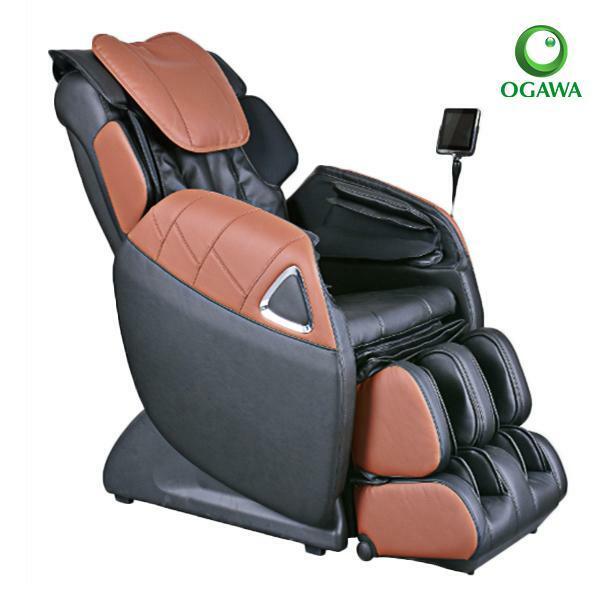 OGAWA is an industry leader in the luxury massage chair market and has several years of experience. The brand is an excellent example of the type of company that you should seek out for purchasing your new therapeutic lounger. Smart 3D – One of the absolute best models in the industry. A huge variety of features. Numerous massage techniques and intensities. Samsung tablet remote control system. It’s the most advanced massage chair ever created. Active L – The Active L massage chair is one of the newest massage chairs on the market. It’s an incredibly advanced piece of technology, contains a vast array of features and functions. The Active L model isn’t quite at the top-of-the-line, but it’s very close. It’s Ogawa’s newest massage chair and offers an impressive amount of features, innovations, technology, and most importantly, comfort! 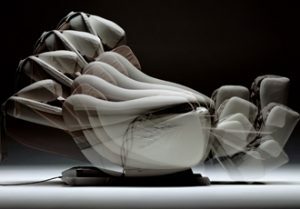 Touch 3D – The Touch 3D massage chair can be described as a simpler version of the Smart 3D model. The two models are quite similar to each other, but the Smart 3D contains more features and is more sophisticated. 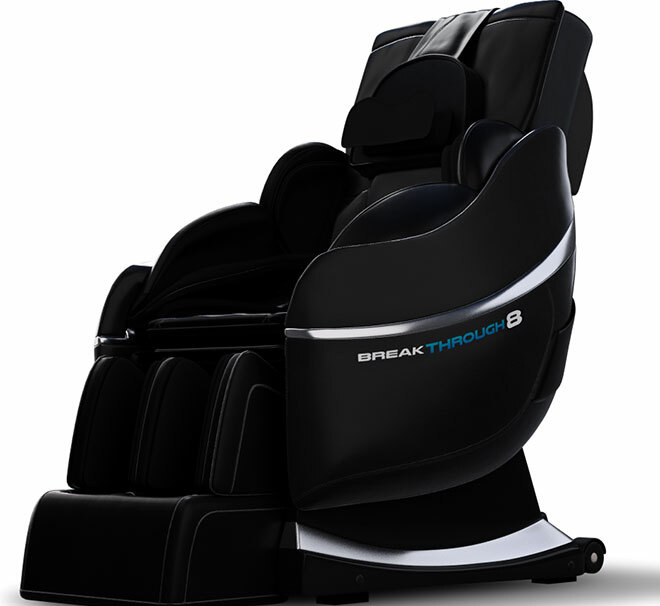 The Touch 3D is an outstanding luxury massage chair. However, if you’re going to invest in a high-end model, we recommend that you spend the extra cost bump up to the Smart 3D. 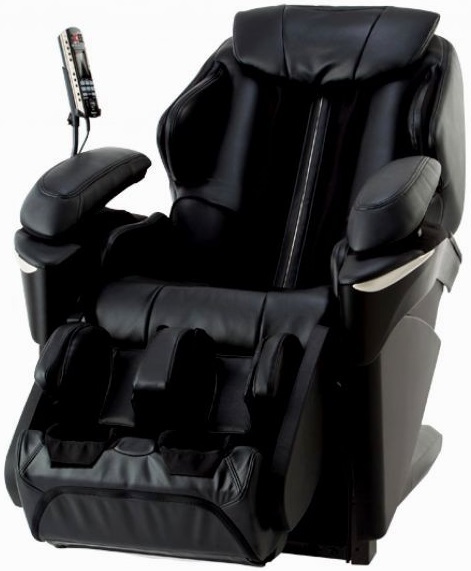 Refresh Plus – OGAWA’s Refresh Plus model is an outstanding mid-tier massage chair choice. There is a significant price gap from the Refresh Plus to the previously discussed higher-end models. This model massage chair might be an excellent option for you if this is your first massage chair purchase. 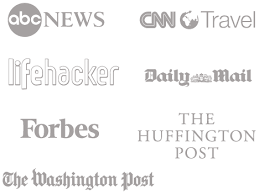 You’re going to get an outstanding product supported by an ideal brand. Active Supertrac – In case you missed this part of the review, the Active Supertrac is a discontinued massage chair model. However, when it was released, it was perceived in a similar way that the Smart 3D model is perceived today. 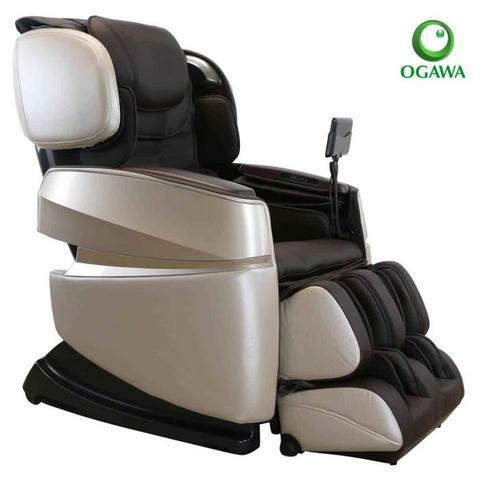 The Active Supertrac became the massage chair industry leader and took OGAWA to the top-of-the-line. 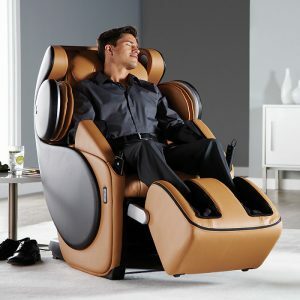 We reviewed this product to illustrate OGAWA’s history of designing incredible luxurious, high-end massage chairs. I came across Positive Posture Massage Chair Model over recently. It’s called Brio! Positive Posture is a US-based company with experience in the field of massage chairs, and it caters for people with a lower budget. If you prefer to invest a little more, I’ll provide you with some good alternatives below. 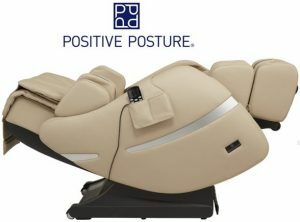 Positive Posture is one of the companies under the umbrella of Furniture for Life, along with brands like Inada USA and Panasonic massage chair distribution. Based in Boulder, CO, this is an American brand you can count on because it partners with award-winning designers and wellness experts. Positive Posture offers white glove delivery to most US locations, a 30-day trial, and a 3-year limited warranty to its massage chairs, and you can purchase an extended warranty as an option. For the top of the line models in each price category, read my best shiatsu massage chair guide. Positive Posture Brio is an affordable, stylish-looking chair, manufactured from dark-brown synthetic leather. This massage chair can target every part of your body, providing relaxing relief. While it’s true that the Brio Massage Chair can massage parts of your body missed by other massage chairs in the same price range, it’s also true that the massage intensity is pretty low. But getting a deep tissue massage might not be the goal for everyone – for instance older adults or people just looking to unwind. Besides, this chair comes with a fantastic back pad! I tried the Brio Massage Chair, and I appreciate its ten programmed massages, along with manual techniques. They might not be high-intensity or offer unique capabilities, but they deliver a good, basic massage. Plus, for the price, the foot rollers are outstanding because they offer a great sole massage thanks to reflexology foot rollers. This alleviates arch pain, plantar fasciitis or splay foot pain, apart from being soothing. Lastly, I appreciate that the remote control combines innovative design with ease of use. Its functional simplicity helps you select the best option in no-time, even if this chair doesn’t have a memory function. On the downside, this chair is suited for people under 265 pounds, though it can fit users up to 6’5”. The L-track is an S-track with some extra length, so it follows the natural curvature of your spine. That guarantees an effective massage because the rollers will touch every pressure point on your back. The added length means the rollers will get all the way down to your hamstrings instead of stopping around your mid-section. It helps alleviate sciatica pain because your glutes and thigh will be thoroughly massaged. The Brio Massage Chair offers a full-body compression massage, from your arms, hips, outer thighs to your calves. With 56 air cells that envelop your whole body, you can count on a quality air massage. What this means is that the airbags squeeze your muscles, then immediately released so that you can benefit from a life-like chiropractic massage. This improves your blood pressure, releases tense muscles and relaxes you so that you can enjoy a good night’s sleep. This wall hugging design allows you to place the Brio Massage Chair anywhere you want to in your home. This space-saving technology means you need about 4-inches from the wall for the chair to recline as much as it needs to give you a great massage. Most massage chairs in this price range offer lumbar heat, but the Brio Massage Chair offers lower back and feet heat therapy. The soothing heat has a relaxing effect, but it can also release tense muscles and improve circulation. Apart from reducing the risk of various heart-related issues, improved blood circulation also increases your metabolism, which helps fight obesity or immune problems. Brio Massage Chair features True Zero Gravity®, which places your spine in a neutral position, so your bodyweight presses on the rollers. It takes pressure away from your spine and accounts for a deeper massage, but also improves your blood circulation, relieves compressed disc pain and alleviates joint pain. 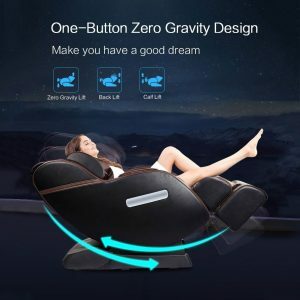 The one zero gravity position offered by the Brio Massage Chair is the norm for massage recliners in this price range, though other recliners provide two or three levels of zero-G. In this case, you’ll benefit from a 157° back recline and 80° footrest raise. 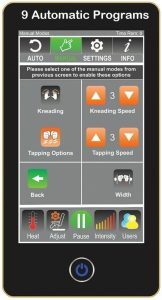 The Acupressure Point Locator scans your body to find pressure points and customize your massage session. Thanks to the Intelligent True 4D design, the rollers will move up-down, left-right, in-out, but they can move upward from the track too. Along with the Acupressure Point Locator, your back, glutes, and legs benefit from a thorough massage, with techniques such as Pushing, Rolling, Tapping and Kneading. Unfortunately, this chair doesn’t offer more advanced techniques such as Shiatsu or Thai. The Sol Massage Chair delivers a good basic massage via two 15-minute preset session and five manual techniques. Although it’s reliable, it has no special or therapeutic features, so, if you find it cheap, feel free to buy it – it’s a good investment, and it looks like a gamer’s chair. The best feature of this chair is its proprietary Comfort Wave motion, which rocks you side to side to improve blood circulation, relax and boost your energy. Positive Posture Sol also provides one zero-gravity position, which helps take the pressure off your lower back to alleviate spinal pain and joint pain. Distributing your body weight evenly on the rollers to relieve your spinal joints, this also intensifies the massage, making it deeper. The Sol also benefits from a 90-day return policy, free returns, and a lifetime labor warranty. However, this chair is better suited for petite users, under 6’2” and 190 pounds. Albeit noisy, the air cells provide an excellent airbag massage. The therapeutic compression they provide relieves pain around your legs and hips, alleviating sciatica or normal pain after a long day at the office. The 45-inch roller track goes from your neck all the way down to your glutes. The track design is ergonomic, following your natural spine curvature, which means the rollers target all your pressure points. But unlike most massage chairs in the cheap price range, the Sol extends this track under your glutes, to deliver a more comprehensive massage. The USB charging port allows you to charge your phone or tablet while you’re in this chair, which makes it very user-friendly and convenient. Sol’s compact design allows for placement anywhere in your home or office. Apart from its small footprint, it’s also designed with space-saving technology so that you can place the chair near a wall. Lower back heat therapy is quite soothing, but it also helps improve blood circulation and relieve muscle soreness. This chair is relatively affordable, but other more expensive models include calf and feet heat too. Both the Infinity IT 8500 and IT 8500X3 are better alternatives to Positive Posture Massage Chairs, situated in the midprice range category. Although these chairs feature an S-track design with quad rollers that is the industry standard, they deliver a functional massage. Besides, the 3D body scan customizes all sessions according to your pressure points, but you can also readjust the rollers manually. These are things you saw in the Positive Posture Massage Chairs above. 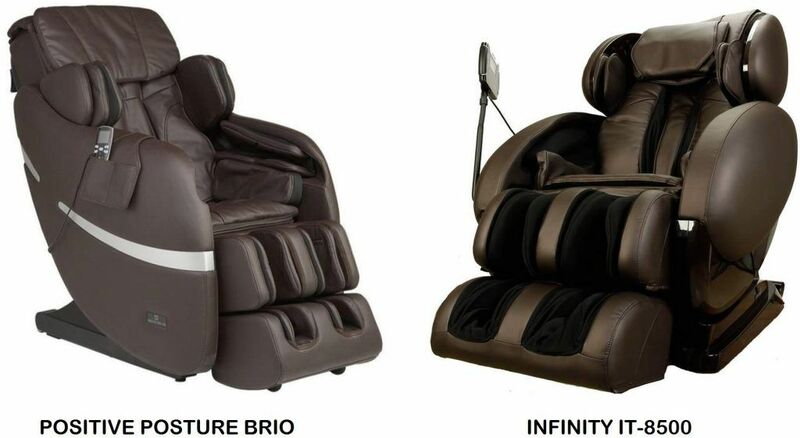 However, the Infinity chairs feature two zero-gravity positions, for a more deep tissue massage, as well as a plethora of programmed massage sessions, with both advanced and basic massage techniques you can combine. You can even adjust the massage speed and intensity, while the deep tissue massage feels very therapeutic. Other therapeutic features include the zone massage function, which allows you to focus on a pressure point for long, the firm body stretch to relieve compressed disc pain and the twist function. The twist function is much like what a chiropractor would do to your spine for compressed disc pain, and it’s a milder version of the body stretch. The real stellar feature of these chairs is the inversion therapy, which places you sort of upside down to relieve spinal pain. On the other hand, the Infinities feature an average air massage mode with 38 airbags, run-of-the-mill lumbar heat and average foot massage with no rollers, just the air cells. Still, these chairs both have MP3 support, an extendable ottoman for taller people, while the Infinity X3 features Bluetooth compatibility and 4D massage rollers for a more penetrating massage. This means the rollers will travel away from the S-track to get massage deeper into your back and offer more therapeutic benefits, starting with pain relief. You can buy these chairs on the official Positive Posture website, as well as many offline retailers, make sure they offer a good deal regarding delivery, warranty, and returns. Otherwise, Amazon is a trusted retail website where you can find all that, along with honest user reviews. That said, though I think Positive Posture massage chairs are reliable enough for hobbyist users with a smaller budget, I prefer the Infinity chairs by far. They have all the bells and whistles, plus they serve more therapeutic purposes. So which chair will you choose and why? Let’s talk in the comments below! 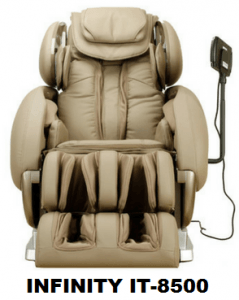 Real Relax Massage Chair Review (2019 Update): Worth It or NOT? My goal has always been to offer clients the best options available, even if their budget is limited. So I’ve tried a countless massage chairs, and the Real Relax ones seems to be as a good choice for someone looking to unwind after a long day at work, maybe even get rid of some minor aches and pains. Is this chair justify it’s name? I’ve comprised a buying guide which analyzes all models, along with their top alternative. If you are curious to find out which chair is the best in particular price category, read my massage chair reviews here. The 2018 New Real Relax is registered with the FDA and features an S-track with rollers that can’t get all the way down to your glutes or upper hamstrings, but offers a good back massage. 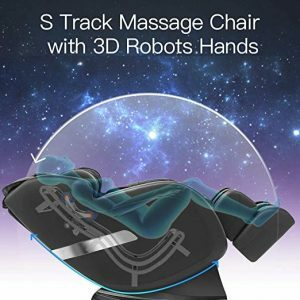 The 3D robot hands are one of the best features of this chair, considering they feel life-like and complement the ergonomic S-track design quite well, providing a thorough relaxation massage with 12 options. There are 6 built-in modes as well as various techniques, including Chinese acupressure. The Thai stretch is another bonus point, helping you unwind and relieving pain from compressed discs, while the Thai scraping massage experience feels glorious for your feet. Besides, the rocking feature helps you further relieve pressure from your spine and relax. 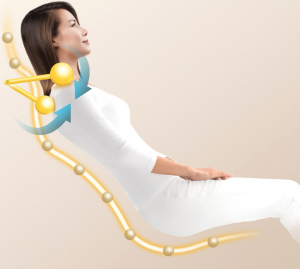 The new Real Relax features a zero-gravity design. Even if you have just one zero-G option, the armrest linkage system is a true extra, considering it offers added security. With 50 air cells for a life-like chiropractic massage, this chair offers a great airbag massage especially for the feet and shoulders, improving blood circulation. Speaking of which, the lumbar heat therapy helps with blood circulation too, especially since this electric recliner features lumbar vibration as well. With Bluetooth audio Play included, plus a max weight limit of 441 pounds, the biggest downside with this massage chair is that its weight limit is 6’1”. 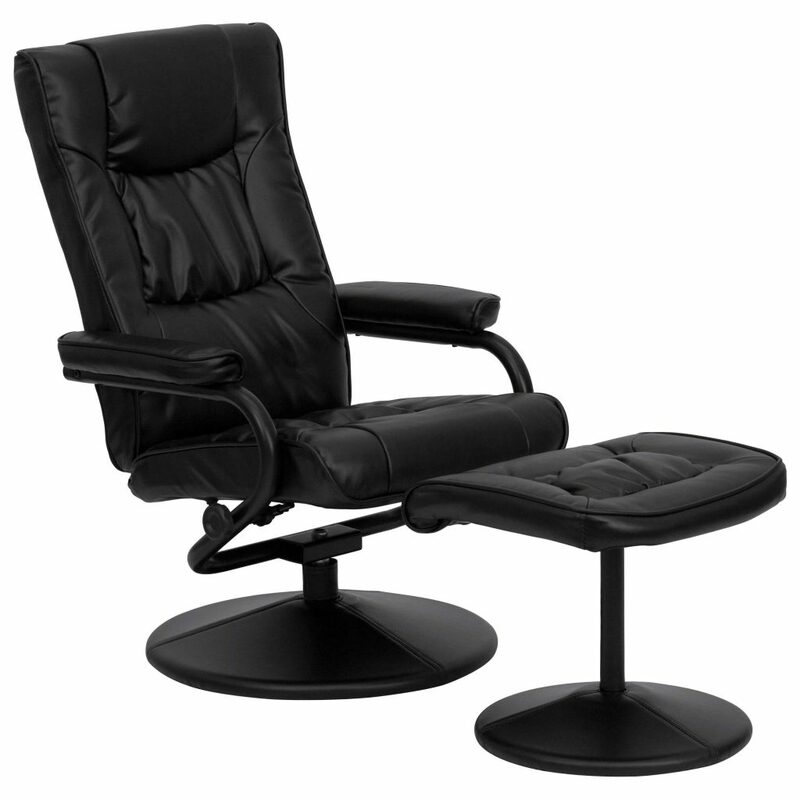 Reviews / Summary: It delivers a firm body stretch and is a great chair for relaxation. This Real Relax model sees some improvements, like the SLtracksystem that has all the benefits of an anatomically-correct, S-track, along with the added length of an L-track so that the rollers can massage all the way down to your hamstrings. The 4D robot hands move along the 145cm track on an up-down, left-right and in-out direction, meaning your spine will benefit from a deep massage. The airbag massage is still good with this model, but there’s an upgrade: upright-wrapped arms, so your arms can be squeezed and massaged more thoroughly. Besides, there are more options and techniques available, targeting various body parts with different techniques. You’ll notice that the Thai scraping massage is still here, but the head massage is an excellent addition. However, some problems weren’t fixed with this model. With a 3-year warranty, space-saving design and lumbar heat, the Real Relax SL track have just one-zero G seating position like its predecessor. Even with an extendable ottoman, this Real Relax massage chair model isn’t for a tall people either, and the neck massage is pretty vigorous. Reviews / Summary: The 2018 Real Relax New SL Track Massage Chair comes with some additional therapeutic features that improve blood circulation. This massage chair recliner features some similarities with the first model we reviewed here, like the S-track. Albeit ergonomic in terms of following your natural spine curvature, this track design is a bit short, only reaching down to your waist area. 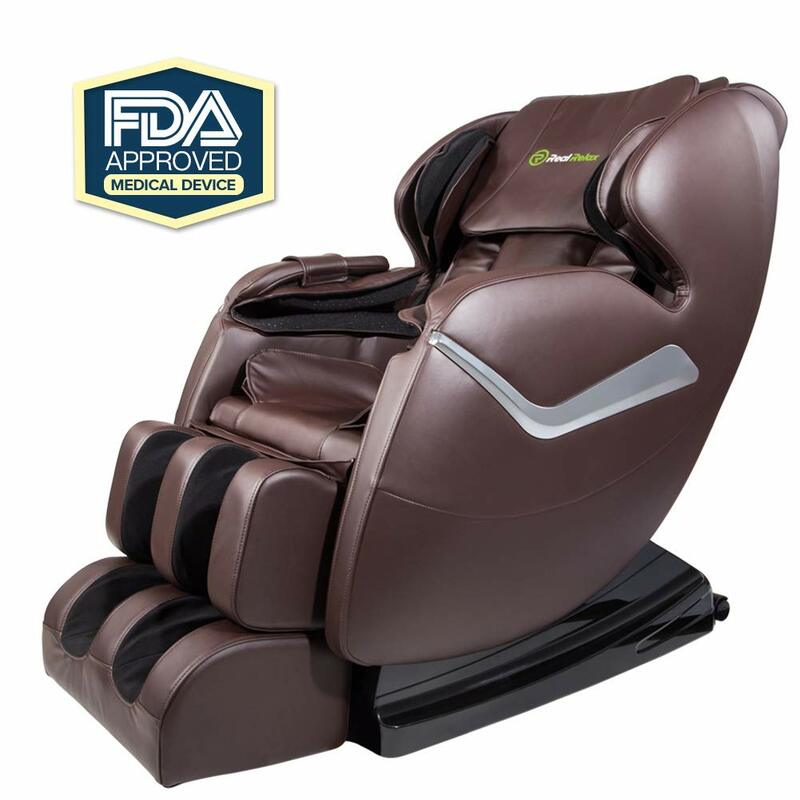 It’s another FDA-registered massage chair that features the life-like 3D robot hands for a deep spine massage, plus the Shiatsu option and the zero-gravity design. While Shiatsu is an advanced technique that helps improve circulation, zero-gravity places your spine in a neutral position, in a recline angle, so your bodyweight presses on the rollers instead of on your spine. This chair also has heat and foot rollers plus a Thai scraping massage for deeper relaxation, Bluetooth Audio Play for an immersive experience and a 3-year warranty. There are also 50 airbags that offer a full-body compression air massage to improve blood circulation, but only 6 built-in programs and 12 total options. The Thai stretch, Chinese acupressure, and rocking function are still there, though. The added bonuses are the vibrating feet, apart from the vibrating seat, along with feet heat therapy. 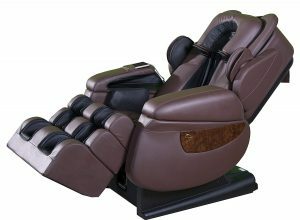 Reviews / Summary: Rosemary’s massage chair is the best in our list in terms of a comprehensive feet massage. A Real Relax Shiatsu massage chair with a 3-year warranty, this model is great for hobbyist users, not people actively seeking to treat chronic back pain. With 8 stationary points, this chair features no rollers. This means it can massage some pressure points on your spine, but not all of them, and certainly not in a comprehensive manner. 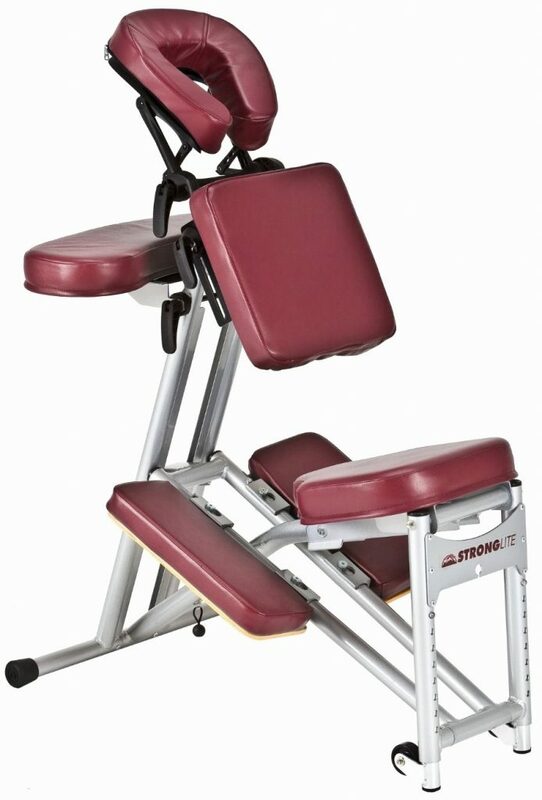 As such, even if this massage recliner features 4 types of rograms, these offers just variations of speed and intensity. Basically, no true options apart from the 30-minute Shiatsu massage. You also get a zero-G position which allows you to relax and intensifies the massage. However, with no rollers to speak of, you won’t get a deep tissue massage, but the armrest is there to provide additional security. On the other hand, the air massage is great, with 50 built-in airbags located from your shoulders to your hips. Even the calf and foot massage is good, albeit a little vigorous, thanks to the added heat therapy and the sole massage. 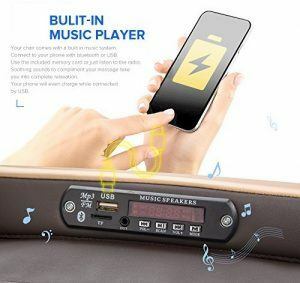 The seat massage is great if you combine airbags, heat, and vibration, plus you have a built-in music player that’s compatible with USB, Bluetooth, and TF cards. 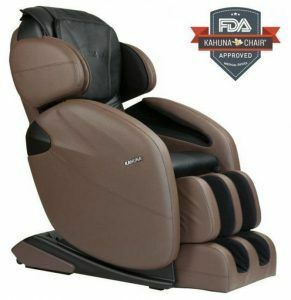 Summary: Favor 2 is a budget recliner for hobbyist users looking to get a good foot massage. Another budget option, Favor 03 is definitely not as good as the 2018 New Real Relax. 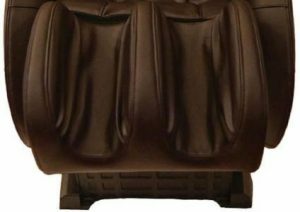 Just like Favor 02, there are 8 massage heads inside the backrest, which means no rollers, which means no actual full-back massage. Just like we discusses above, this means the zero-G option is there just for some added relaxation, while the 4 massage programs are just different intensities of the first massage. But a definite plus when comparing this to the 2018 New Real Relax massage chair is the foot heaters that make the foot massage better. Even the airbag massage is fairly good, with 50 airbags that massage you from shoulders to hips. And just like the 2018 New Real Relax massage chair, Favor 03 offers seat heat and vibration, it has a pretty good weight limit, up to 400 pounds or so, but suits people less than 6’1”. You can also use it as a recliner sofa chair, the remote control is easy to use, and there are 2 wheels for moving it around. Summary: Favor 03 is a chair for heavy, hobbyist users looking for thorough foot and seat massages. The Favor 04 is another variation in the Favor line, with little improvements to speak of. 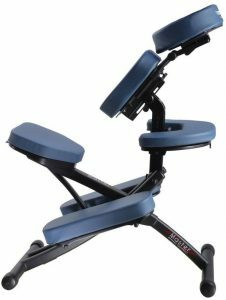 Just like the other models, this one features 8 fixed massage points and no rollers, a zero-g seating that doesn’t do much and 4 massage programs that vary in speed and intensity. With 50 airbags, heat for the seat and feet, seat vibration, recline option, and Bluetooth plus a TF/ USB music player, Favor 04 is a good relaxation chair for hobbyist users. Summary: Favor 04 can improve blood circulation and help you relax. 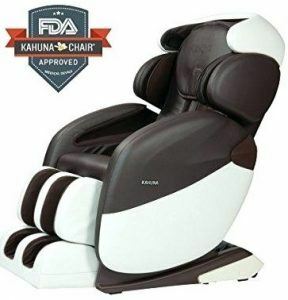 Kahuna LM 6800 massage chair is a feature-packed, affordable, therapeutic chair that can be a better alternative not just to Real Relax Chairs, but to any chairs. Here’s what it has to offer: a longer hybrid track that can massage up to your hamstrings, space-saving design, and three zero-gravity positions instead of just one. All this means you can get a real deep tissue massage with zero problems regarding space. Another advantage is the 3D body scan, meaning the computer will scan your back for sore spots and massage them more thoroughly. You can even use the simple remote to adjust the rollers on your back manually. True enough, there are just 36 airbags with Kahuna, but the airbag massage it offers is on par with the best massage chairs on the market. With an advanced Shiatsu massage and a firm Yoga Stretch to relieve compressed disc pressure and relax you, Kahuna 6800 has more massage options and built-in programs than any of the Real Relax Massage Chairs above. There’s even a fixed zone massage option! While some models above featured a good calf and foot massage, the Kahuna 6800 has this option too, especially since it features calf heat therapy along with lumbar heat. However, this massage chair doesn’t have an incorporated music system, but that’s a rather small inconvenient. 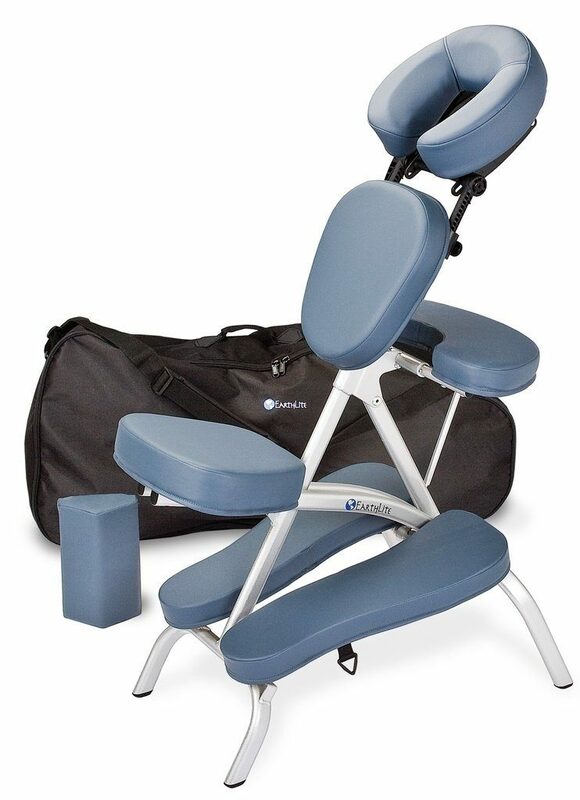 Summary: The Kahuna LM-6800 is a therapeutic chair at an affordable price range. Company was founded in 2015 and retails made in China massage chairs. But that doesn’t mean these are bad massage chairs – after all, most of them are certified by the FDA, CE, and ROHS and have a 1 or 3-year warranty. 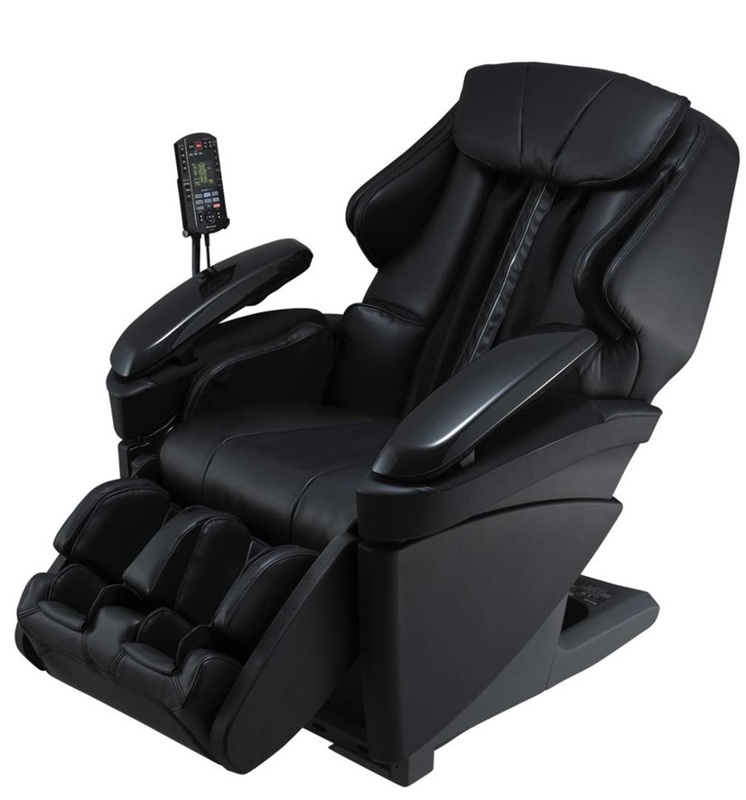 It features five massage chairs on their website, four of which have the Shiatsu massage option, plus two massage cushions. However, the return policies aren’t really clear, and various buyers claim to have had troubles returning the chairs. One good place to start is their website, where you can benefit from various promotions, shipping, warranties and negotiate free-glove delivery. However, this website has limited options. You can find more Real Relax models, even some of the discontinued ones, on websites like Amazon. The price on Amazon is good; this is a trustworthy website, you can still benefit from good shipping and return options, as well as warranties. If the budget is a problem for you, you can even find used models on websites like Amazon or Ebay, but the warranties won’t be as good. 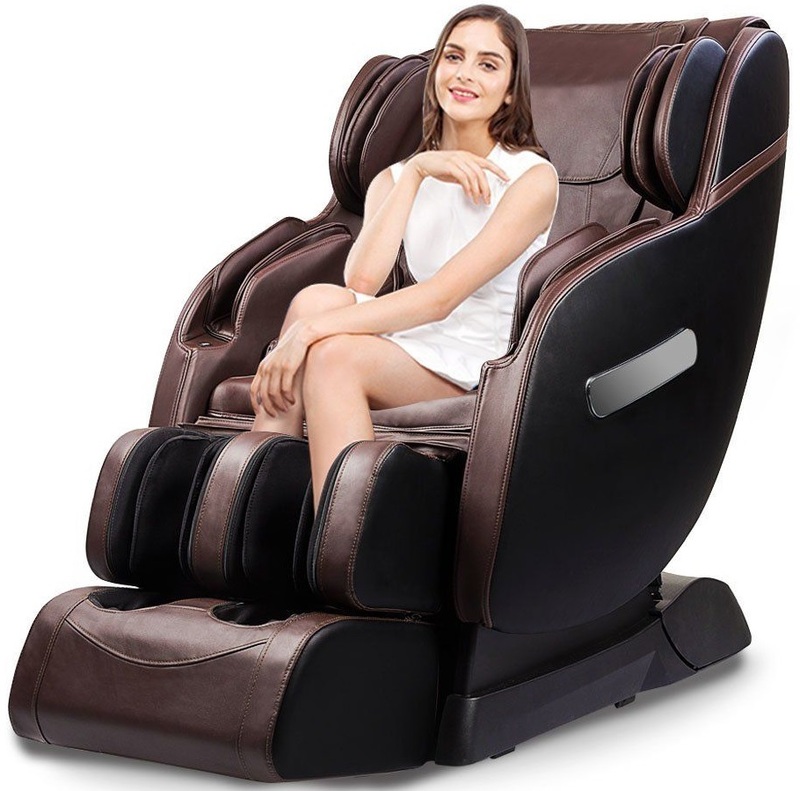 Real Relax Massage Chairs are good enough for hobbyist users looking for affordable, relaxing massage recliners, which can compromise massage options for the sake of price. However, the best alternative if you’re on a budget is the feature-packed therapeutic Kahuna LM6800. That said, which chair will you get and why? Let’s talk in the comments below! One of my friends works in an office about 11 hours each day. Don’t ask me how she does it, she just does. Needless to say, she suffers from back pain. She tried all sorts of natural remedies, a couple of chiropractor sessions per week, walked more, lost weight, got into Yoga, even dabbled in Jiu-Jitsu. Yet she still had back pain. Until one day I told her she should consider changing her office chair. I helped her pick out a model, and three months later, the back pain was manageable, almost gone, plus her posture improved! Besides, did you know that an average person spends the equivalent of 10 consecutive years sitting in their chair? The best office chairs for back pain help make these years as comfortable as possible. So if the price tag seems too much, divide that by 10 years and calculate how much sitting comfortably costs you per day. I’ll give you a hint: for the more expensive chairs, it’s less than 50 cents/day! 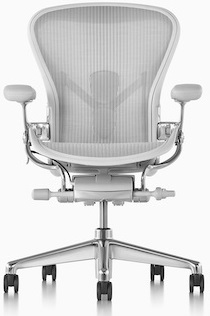 The Herman Miller Embody is easy to use and doesn’t have a lot of levers and knobs to speak of. The back and seat cushions are comfortable and help with a correct weight distribution, which means it can alleviate back pain caused by a poor posture. This is an ergonomic chair, so anatomically correct that it moves when you move. You even forget it’s there sometimes! The one thing I would’ve liked to see is more sizes, though this one is quite adaptable. 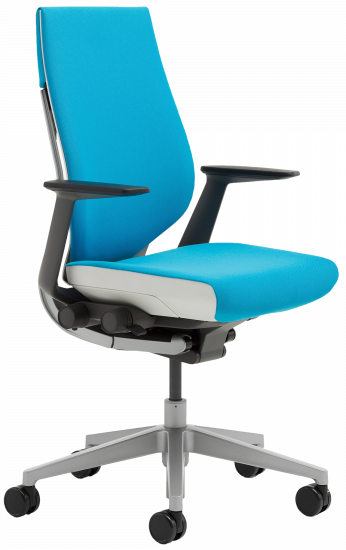 Made in the USA, the Embody has a tilt limiter, a strong graphite base, and frame, plus an adjustable arms and seat. Besides, its simple look makes it breathable. 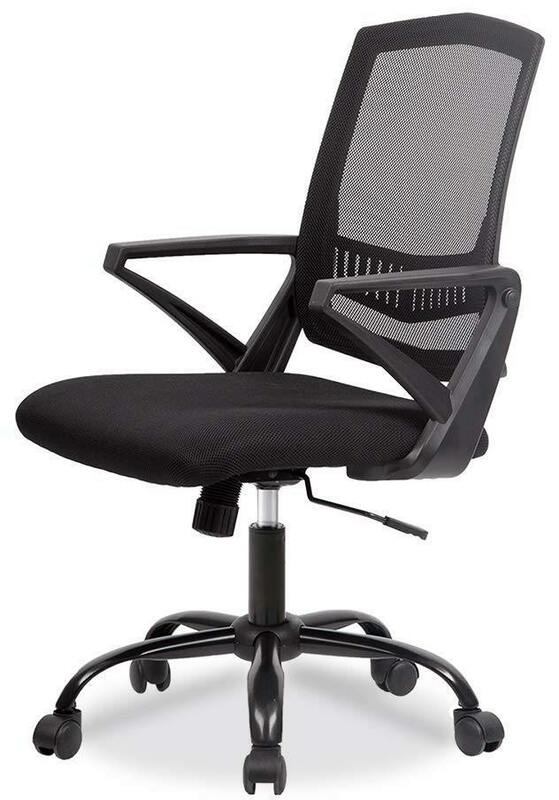 Comfortable for upright seating or leaning backward, this chair features a 12-year warranty. 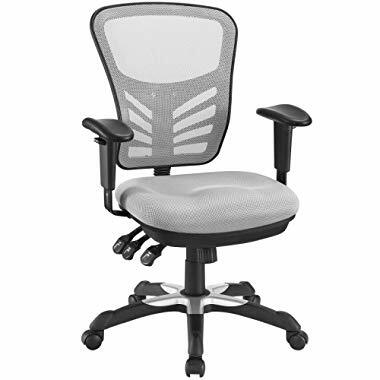 However, it’s quite firm, which is great for people suffering from compressed discs or back pain, but might not be amazing for people who prefer softer chairs. 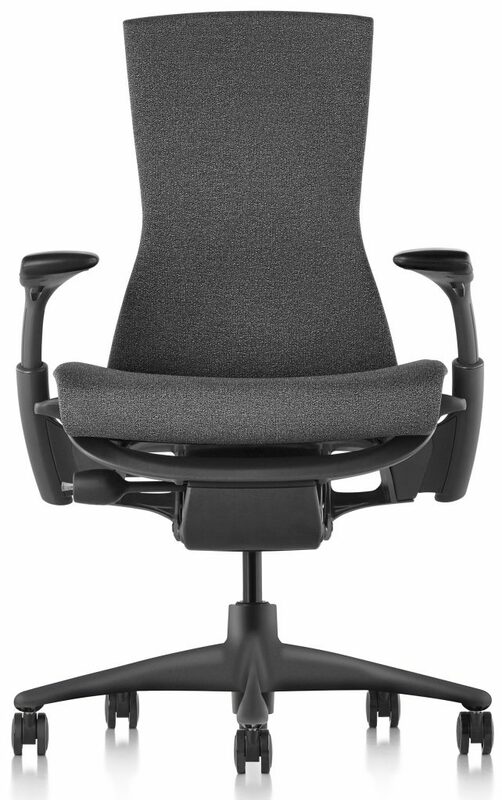 Summary: The Herman Miller Embody takes pressure off your spine and helps with even weight distribution. The Raynor Ergohuman is one of the best chairs for lower back pain firstly because it has a back angle adjustment so you can choose the best recline position. This takes pressure off your spine, relieving lower back pain like that from sciatica. Besides, the backrest, seat, and headrest are all adjustable and easily customizable for each individual user, meaning you can easily find the perfect position to minimize back pain. Another plus for back pain sufferers is the contoured and adjustable lumbar support this chair offers. With a synchro-tilt mechanism combined with the adjustable seat depth, the Raynor Ergohuman’s chair is quite supportive and improves posture. While this chair is better suited for tall people, you will like the black mesh construction that renders it breathable. 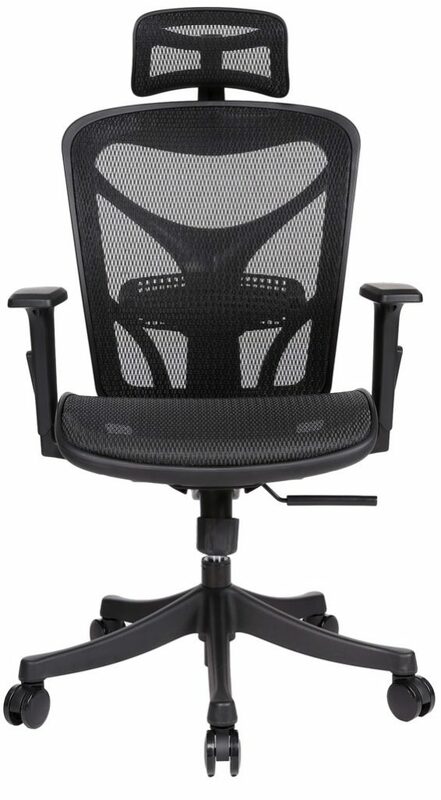 Summary: The RaynorErgohuman High Back Chair offers great support and helps improve your posture. This chair was manufactured and released in the ‘90s, so it has decades worth of happy customers. 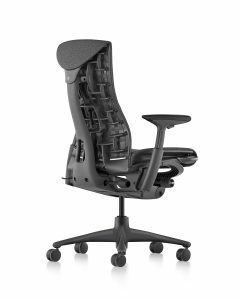 With its mesh, Follicle suspension, breathable design and curved backrest that accommodates the anatomical shape of your spine, the Aeron is the best ergonomic office chair. Besides, it comes in three sizes which can easily be adjusted to fit everyone. This is a solid and durable quality chair, that’s gained a lot of popularity over the years because the patented Kinemat tilt mechanism lets your whole body swivel naturally. The PostureFit mechanism also supports your pelvis’s natural tendency to tilt forward and aligns your spine to your pelvis. That way, you can maintain an anatomically-correct position and reduce back pain. My only complaint about the Aeron is that the armrests don’t seem to adjust high enough for my needs. Summary: The Herman Miller Aeron Chair accommodates the user’s anatomical shape and natural movements, thus proving to be an ergonomic chair. The Modway Articulate has some great features, such as adjustable armrests to find that perfect position, with your arms slightly down when working at the computer. Though the armrests don’t seem to go down far enough for some reviewers, you can easily adjust both the seat depth and back seat height. In order to find your perfect position, take advantage of the chair’s ability to recline, with a safety locking function. This is an affordable, user-friendly chair that even boasts 5 hooded caster wheels so you can roll with the chair over carpeted areas. Made from breathable mesh and with a 360-degree swivel, this chair supports people up to 330 pounds. However, the seat cushion seems sort of thin for intense, regular use. Summary: The Modway Articulate Ergonomic Mesh is easy to adjust, comfortable and affordable, though it could use more padding in the seat area. 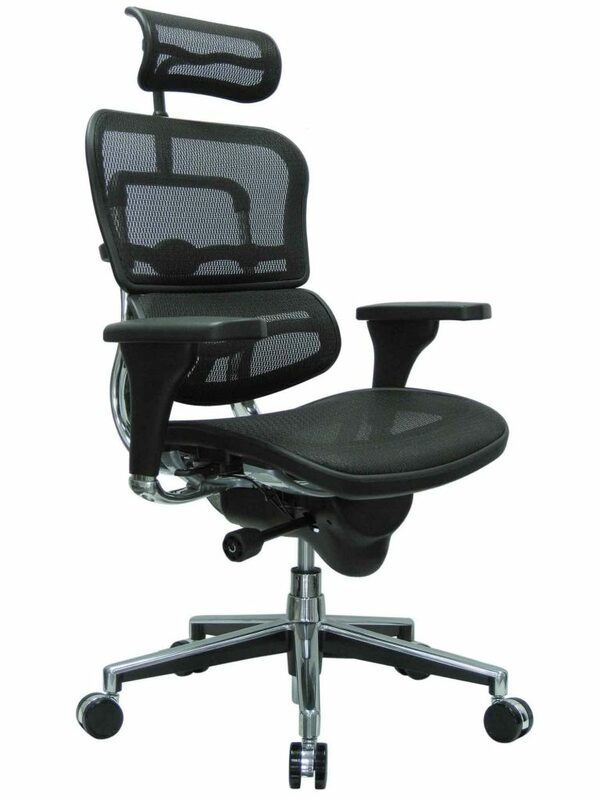 Another best value chair, the TOPSKY chair features adjustable lumbar support, which makes it easy to customize. 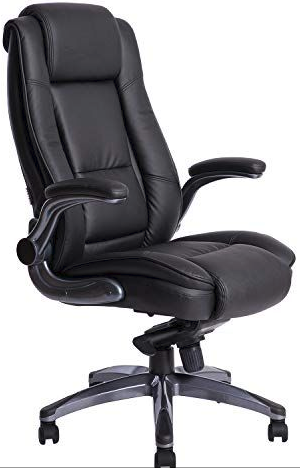 Even the headrest can be adjusted in three different positions, and the armrests help you find an ergonomic position for when you’re working at the computer. However, other chairs for lower back pain offer more adjustments. Design-wise, this is a user-friendly chair, made with high-density mesh that doesn’t allow you to sweat. Besides, it supports a maximum weight of 330 pounds and even sports a hanger on the backrest! With a145° synchronous mechanism and position lock, the TOPSKY chair even allows you to recline. However, the 1-year warranty shows that this is not a durable chair. Summary: The TOPSKY Mesh Computer Chair offers good support, but could be more durable. With an easy-installation and with BIFIMA-certified parts, this BestMassage Midback Mesh chair can support users up to 250 pounds. 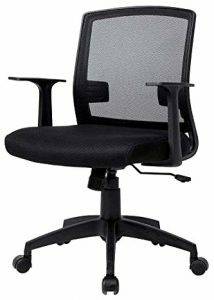 Like all computer chairs, it has a wide seat, an adjustable height and reclines to 135-degrees, so it’s a comfortable chair that prevents back pain. I also like the triangle armrests that provide additional support, but they feel quite low, especially to tall people. It is made with breathable mesh, this chair sports a seat back curve that’s anatomically correct to the spine’s S-shape. Besides, the nylon lumbar support is quite ergonomic. With a heavy-duty metal base that’s quite resistant, this chair swivels to 360-degrees so you can easily move around the office. However, the chair itself is not that durable, and the seat is pretty firm. Summary: The BestMassage Office Chair offers good support, though it’s not extremely durable. 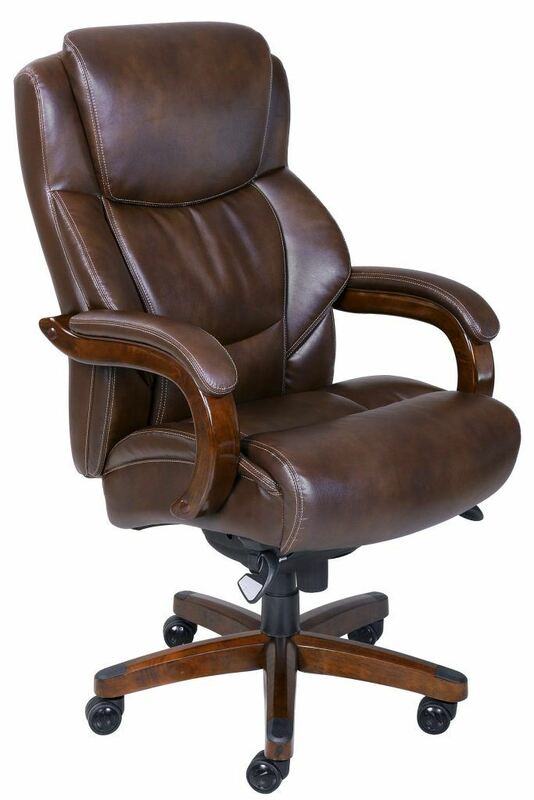 This chair has a stylish, bonded leather design worthy of an executive office. Its high back makes this chair quite imposing, but also comfortable. Its soft-padded seat with a waterfall edge helps take the pressure off your hamstrings, which means you can use this chair for hours at a time. Reclining at 120-degrees, this chair allows you to relax during the day, but the levers for reclining feel a bit flimsy. 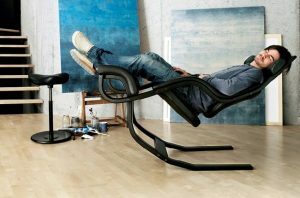 Besides, the chair is designed in a sort of weird way, so that even in an upright position, you’re reclining a bit backward. Shows them who’s boss, though, right? On the other hand, its flip-up arms feel quite supportive of your arms and shoulders, and the 360-degree swivel allows you to move around in the office. This is a durable, stable, BIFIMA-certified chair, with nylon casters and a heavy-duty nylon base that supports up to 250 pounds. 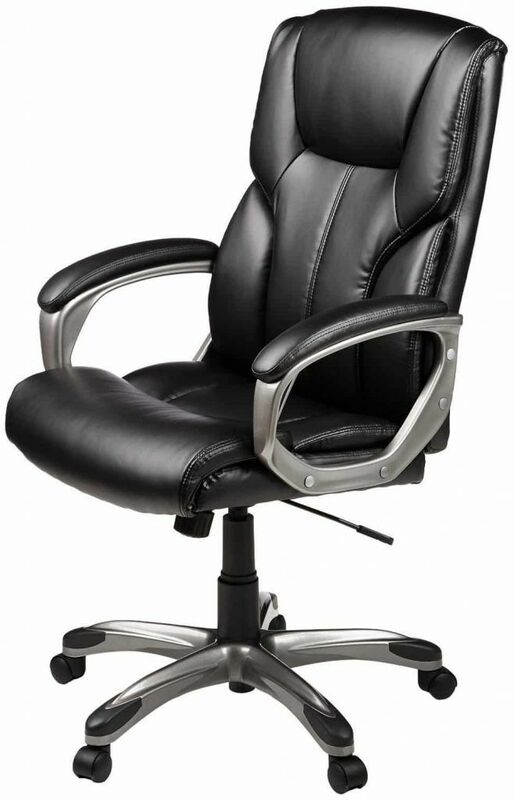 Summary: The KADIRYA High Back Bonded Leather Office Chair is a comfortable, supportive chair. This chair has chestnut bonded leather upholstery that makes it look extremely elegant, especially in combination with the walnut-colored wood components. 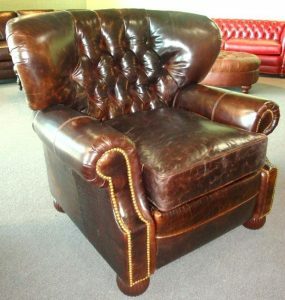 Besides, this leather is quite supple and comfortable, as well as easy to clean, though it makes the chair feel hot. And not hot in a good way. Besides, the ComfortCore Plus features various layers of memory foam to provide extra cushioning with just the right degree of firmness. However, some people might say the chair doesn’t feel as soft as they would like with so much extra padding. The seat is wide, and the chair supports a maximum weight of up to 400 pounds. You can even adjust the height and tilt to make the chair feel more comfortable or to relax. Summary: The La-Z-Boy Delano Big & Tall Executive Bonded Leather Chair is an elegant office chair, but with so much padding and leather it gets hot quickly. The Steelcase Gesture Chair supports a wide range of technologies and postures, mimicking the natural spine movements. 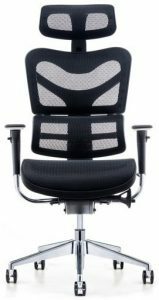 Its S-shape backrest contours your spine, while the armrests are placed toward the back so you can sit comfortably down. In fact, the Gesture 360 arm moves just like your arms so that it can support your use of various technological devices. On the other hand, some users would prefer an arm locking mechanism to stop them from swiveling. The seat boasts soft edges for prolonged sitting and adaptive bolstering, with air pockets beneath the foam padding, for natural support. The chair allows you to adjust the seat and back so you can sit comfortably or correct poor posture. Besides, the Core Equalizer technology offers optimal back support whether you’re reclining or sitting upright. Summary: The Steelcase Gesture Chair is a futuristic-looking chair that’s comfortable and allows you to use various devices. The Argomax Office Chair is out top choice for sciatica pain sufferers because it’s ergonomic and has easily adjustable headrest, backrest, and padded armrests. As such, this chair promotes the correct posture. Besides, the Smart Auto-adaptive Base allows the backrest to adjust accordingly to your weight. The chair is easy to adjust with just one lever, it tilts back to 135ᵒ and has a three-way lock mechanism. The S-shaped backrest is anatomically correct, providing good support to your neck and back, thus easing sciatica pain. Certified by BIFMA and SGS, this chair has a sturdy nylon and glass fiber frame, with a breathable mesh backrest. The seat is padded with dense foam, which makes it firm enough to be comfortable if you have sciatica. Besides, the waterfall edge is comfortable for long hours sitting down, but the armrests could be more adjustable. 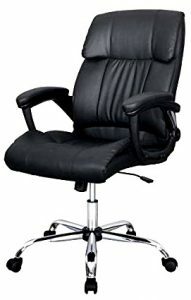 An affordable office chair, the AmazonBasics Executive swivel chair, back feels comfortable enough and looks stylish. Upholstered in bonded black leather and PVC, this chair is easy to clean and smooth, but makes you easily sweat if you don’t have the AC turned on. 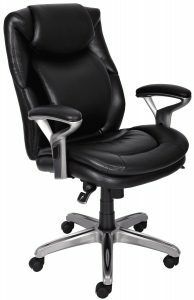 The padded backrest and seat are quite comfortable for prolonged hours seating, while the 360-degree swivel with smooth-rolling casters allow you to move around the office easily. Even with a 1-year limited warranty, this chair has a pretty long life, if you respect the 250 pounds maximum weight limit. On the other hand, continuous use might make the chair squeak a bit. 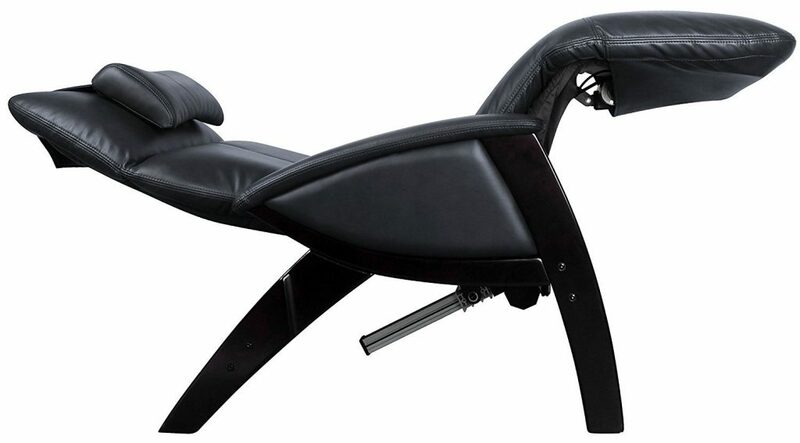 The backrest also reclines ever so slightly under your body weight, though this is said to promote a natural posture. Summary: The AmazonBasics High-Back Chair looks great and has a long life, but might begin to squeak. A stable, cushioned, comfortable chair that rolls easily on carpets but isn’t exactly ergonomic. However, it’s comfortable to sit in for extended periods (long periods of time), but not great for people with lower back pain. A truly ergonomic chair, the Steelcase Leap is supportive and allows your spine to move in a natural manner, adjusting to your movements thanks to the patented LiveBack technology. The only downside is that there’s little padding in the seat, so it’s not really comfortable to sit for hours at a time. 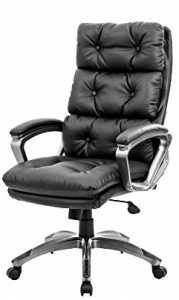 An executive chair that sports good quality for the money, this chair is generously padded and boasts a sturdy metal base. However, it leans back ever so slightly, and the leather upholstery feels sort of hot. A comfortable, adjustable chair, with a swivel design and fine PU leather, the KADIRYA High-Back Chair is another stylish executive chair. A breathable chair with built-in lumbar support, IKEA Markus is a great gaming chair. On the other hand, it doesn’t sport a lot of adjustment options. 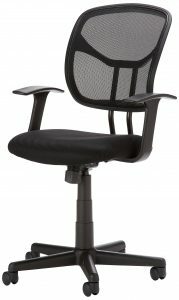 An adjustable, breathable and ergonomic office chair, the Poly and Bark office chair is versatile but rather big and heavy. Serta Office Chair features Air kinetic support of a lumber area and sports ergo layered body pillows, but there aren’t many adjustments it allows. Comfortable enough and with a padded seat, plus pneumatic seat-height adjustment, this Amazon Basics Chair could support more weight. Designed to fit 95% of the office population and with a dynamic neck and head support during the recline, Humanscale Freedom is great for back and neck pain. However, it’s better for gaming, when you need to constantly recline. This was a top factor for us. A basic chair offers adjustments for the height and armrests. The more fully adjustable features chair offers, the better it is because it’s versatile and can fit a larger number of people. We also took into account support, especially since a lot of people suffer from sciatica or other ailments which trigger lower back chronic pain. Chair that provides support has an S-shaped backrest, is ergonomic and follows the natural, anatomical movements of your body. That way, your lower back doesn’t round forward. Rolling chairs allow you to move around the office, avoiding the strain caused by over-extending your arms to reach something. The wheelbase and 360-degree swivel is an important factor to consider, as well as if a certain chair can easily glide over carpeted areas or not. Synthetic, mesh upholstery is more affordable, breathable and helps keep your back cool. On the other hand, leather looks more stylish and is softer, but it’s expensive and gets hot pretty fast unless you have the AC on. You also need a chair with a sturdy, metal or hardwood base. You want a comfortable chair, and cushioning is an important part of that. Too little cushioning gives you back pain, while too much cushioning puts too much pressure on your hamstrings. In terms of padding, the best chairs are the ones that feel comfortable, yet firm, allowing you to move naturally. HowCan You Move More During the Day? There are many tips and tricks you can apply to get a bit of exercise during the day. For instance, you can start by taking a walk during your lunch break. Take the stairs instead of the elevator, and when you have a meeting with someone, opt to stand. If you need to tell something to one of your co-workers, go talk to them instead of sending an e-mail. You can even put your phone alarm to ring every 50 minutes so you can get up and stretch your legs if nothing else works. Why is Sitting So Bad For You? Sitting is bad mainly because our bodies weren’t made for sitting. For thousands of years, humans had jobs that rarely allowed them to sit. Seated desk-jobs are a modern invention, just like our spending a lot of time in cars instead of walking. Sitting puts a lot of pressure on your pelvic bones doesn’t allow your spine to move naturally and makes your muscles tense up. 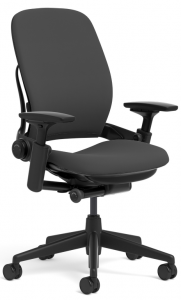 How Do You Choose the Best Ergonomic Office Chair for Lower Back Pain? If you have lower back pain, you need to make sure that your office chair is supportive, with adjustable headrest, backrest, and armrests. Your arms should be at a slightly downward angle, and your seat shouldn’t be too soft, but rather the right amount of firm. Make sure the seat is comfortable, though. For instance, waterfall edges help take the pressure off your hamstrings, while too much seat padding putts pressure on your glutes, which in turn activates your lower back pain. The backrest should have an ergonomic S-shape that accommodates your spine or be able to follow your natural spine movements. That way, the chair helps distribute your upper back weight evenly, so it doesn’t press on your lower back any more. If you can also find an office chair that reclines, it’s even better. You can take little breaks and recline backward, so your chair takes the pressure of your weight for a while. Testing your office chair is important, which is why you can either buy it from a store or get a chair with a satisfaction guarantee/ return warranty. Regardless of the place where you buy the chair, a return warranty is a must, so that’s why I like Amazon with its 30-day return policy. Besides, Amazon is a trustworthy place with great shipping fees. Either way, make sure you choose a trustworthy retailer or online website to make your purchase. Do a little bit of research about the store first too, and check things like shipping options, warranties and return policies before making up your mind. I’ve taken you through a series of the best rated office chairs on the market, with top contenders for each category. Some fit executives; some are great for chronic pain, so choose wisely according to your own needs. My reviews of standing desks (stand desks) are coming soon. That said, which chair did you like best? What office chairs have you try out so far? Let’s talk in the comments below. Last year I took my great aunt to find a good recliner chair. 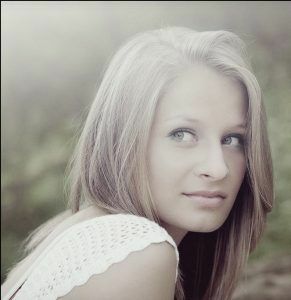 We went shopping for a few hours testing some models she heard were “the best.” And guess what? They weren’t. That’s not to say they weren’t quality products. Some even sported massage features, but they just didn’t work for her sciatica pains, combined with the pains from getting out of hip surgery. And that’s why I comprised this guide below. 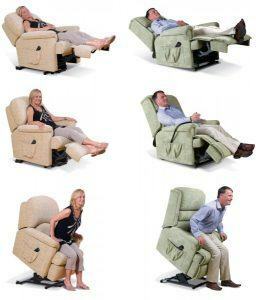 The best recliners for back pain should suit their user’s needs! My top favorite is the Kahuna massage chair LM6-800, a feature-packed, affordable massage recliner, but there are other recliners for different purposes in the buyer’s guide below. Compare, contrast, and choose the best for your needs. The Kahuna LM6800 features a hybrid track design, with an ergonomic S-track that follows the natural curve of your spine and an L-track that prolongs this track all the way to your glutes and hamstrings. 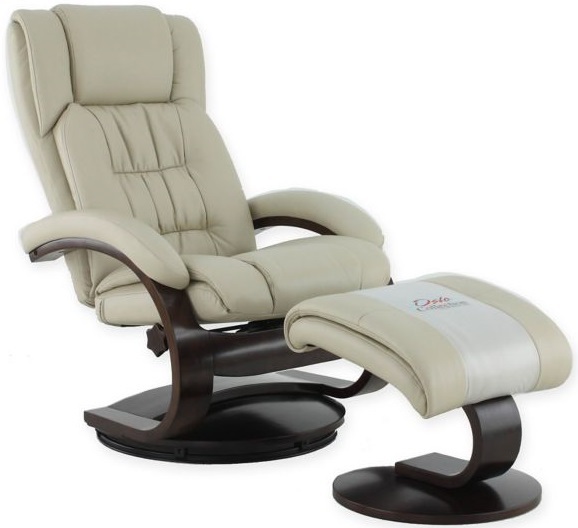 This hybrid track, quite rare for affordable recliners, alleviates the pain of sciatica. Although it’s a big chair, I love that the Kahuna 6800 features a save saving design, so you only need about 3-4 inches from the wall for it to work. Another advantage is the 3 zero-gravity seating positions. Zero-g means your whole body weight presses against the rollers so that you will get quite a penetrating massage. Multiple zero-gravity positions entail that your legs will be lifted at three different angles from your heart level so that you can find a comfortable position too. Courtesy of 3D body scanning, the Kahuna positions the rollers according to pressure points on your back to make sure you get a thorough massage. Fortunately, you can also adjust the rollers yourself with the remote, as well as the massage area. Another great feature of the Kahuna is the airbag massage it offers with36 First Generation air cells at three intensity levels. Although these types of airbags are less quality than Second Generation airbags, the air massage feels decent. Regarding massage techniques, I couldn’t help but notice that the Kahuna features the basic ones, like Kneading, Tapping, Combo, Rolling and Shiatsu. Still, these techniques are just what you need for back pain. You can select the body part you want to massage courtesy of 5 pre-programmed massages, which you can customize with three intensity and speed levels. I love how the Kahuna includes a zone massage option too so that you can stop the rollers on a fixed tender spot. With back and calf heat, the heat therapy offered by the Kahuna will unwind your sore muscles similar to a hot-stone massage, which is great for chronic back pain. However, you can’t adjust the heating temperature or select the body area where you want to activate the heat. Kahuna’s Yoga stretch function is vigorous enough to provide instant relief from chronic back pain, releasing the pressure from compressed spinal discs. With dual rollers and airbags, the calf and foot massage offered by the Kahuna is very thorough. This helps prevent back pain because pressure and knots on your feet and calves can lead to a poor posture and subsequently to back pain. The Kahuna 6800 features some user-friendly assets like the extendable ottoman, which makes this recliner best for people up to 6’4”, or the easy-to-use remote. Summary: The Kahuna LM-6800 is the best chair to relieve back and neck pain. A very affordable chair, the La-Z-Boy Anderson Reclina Rocker looks like a piece of living room furniture, upholstered in a natural Sand fabric. 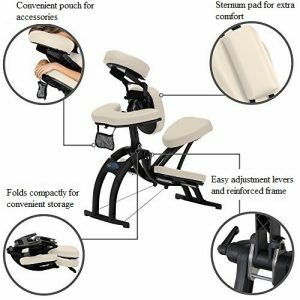 This reclineris assembled in the USA, it has a durable frame, and it’s designed to offer back and total body support in every position. The patented La-Z-Boy technology for reclining is really useful, allowing your seat and back to move simultaneously or independently when you recline. You can also recline the backrest without the leg rest, which you can activate with a side handle. However, the backrest could use a little more reclining for my taste. There are three reclining chair positions for the leg rest, which you can adjust to fit your body type. And when you’re not using the recliner, this chair becomes a cool rocker. I also like how comfortable this chair is, with a plush seat and padded armrests, but it’s quite small and narrow and therefore best for petite users. Summary: This La-Z-Boy Anderson Reclina Rocker is a comfortable recliner for back pain and rocker for back pain, but it doesn’t feature massage functions. 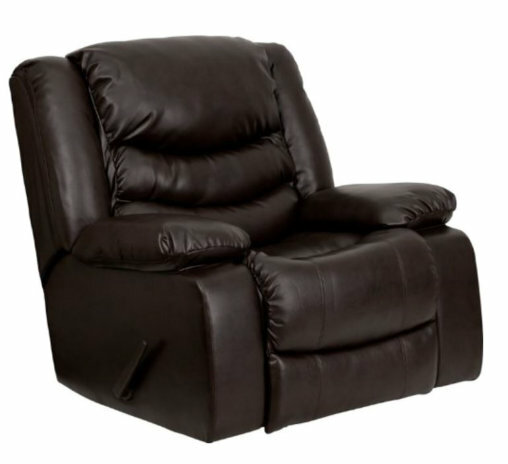 Made from faux leather and available in Black, Chocolate and Ivory, the Cozzia Dual Power recliner can support users up to 400 pounds, so it’s stylish as well as functional. The base is very sturdy too, made from beechwood, while the leather is high-grade bonded for extra durability. Besides, shipping includes curbside delivery. This chair is easy to use, with a control center that features the “One Touch” zero gravity button. By placing your knees a little above your heart level, this chair helps ease back pain because your weight won’t be supported by your back, but by the chair. Another user-friendly feature is that the headrest and footrest are activated independently so that you can do all sorts of activities in this chair, like reading or TV watching. Besides, lumbar heat therapy in combination with a back vibration massage will relax you and ease chronic back pain from compressed discs or after surgery. Summary: The Cozzia Dual Recliner alleviates compressed disc pain, relieving spinal pressure, but it has no built-in massage programs. 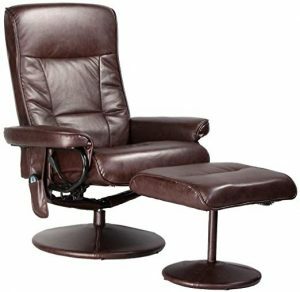 This manual recliner and ottoman are made with top grain leather, that’s a quality, comfortable material. The frame is made from a variety of hardwood for extra endurance, while the seat and back are cushioned with cored foam for extra comfort. The headrest is adjustable so it can fit various body types, but remember that this is a chair with a small footprint that can only accommodate users up to 280 pounds. However, I liked the 360ᵒ swivel which allows you to personalize the seat adjustment, while the contour-angled ottoman is also ergonomic and anatomically-correct. However, keep in mind that this best recliner is activated by a shaft with a knob, so it doesn’t recline smoothly between positions. Summary: The Mac Motion Oslo Collection Recliner is an ergonomic chair that can help you find a comfortable position for your back, but it’s better for petite users. 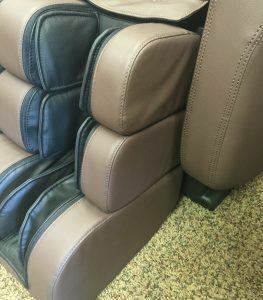 This recliner chair from BestMassage has a few features that recommend it for treating back pain, like its massage techniques. Shiatsu offers a vigorous massage with power rollers that should relax tense muscles. Compression and Percussion help you gain more flexibility in your core, become more mobile and improve posture. Besides, the Recovery program is quite relaxing, while the other programs might seem a bit rough to hobbyist users. This chair has an intelligent roller system which makes it quite flexible and allows the rollers to adjust depending on your sore spots. Back and feet heat therapy alleviates sore muscles in these areas and also improves blood circulation, but with this chair the heat is minimal. With 20 airbags, you get a decent air massage for your back, though. With an S-track that follows the anatomical shape of your back, the BestMassage chair has a neck massage feature that relieves stress and improves posture. The 11 signal test switch and holt sensor measure your height and adjust the massage intensity according to your weight. While it’s always good to see automatic adjustments, it would also be great to have the option to make these adjustments yourself. Summary: The BestMassage Shiatsu Recliner is great for neck massages and correcting bad posture, though it features just some basic functions. This imported chair recliner from the Center Hill Collection is upholstered with bonded leather, which makes it look stylish enough apart from being easy to clean. With traditional rolled arms and channel-tufted design, this chair looks great as a living room furniture, not to mention there are a matching loveseat and sofa available from the same brand. I liked that the reclining chair mechanism is activated with a lever, so it glides smoothly. It also reclines to an almost flat position, which is another plus. However, getting the chair back into an upright position is a bit troublesome. Design wise; I missed a headrest and built-in massage programs or functions like zero-G or heat. I also didn’t like the wobbly back cushions that aren’t attached together, so they move around quite a bit. Summary: Comfortable living room recliner, this chair could use some head support too. This recliner set features a chair and a separate, matching ottoman. The set looks stylish enough, but it would have been better for the ottoman to be attached to the chair so that you could find the best position for your back more relaxed. The chair and ottoman are both padded, so they’re comfortable for your back and feet, while the armrests are plushly upholstered. Besides, the padding is fire-retardant too, which makes the chair safe to use. The swivel seat means you can find the perfect position for your needs, but unfortunately, this is a knob adjusting recliner, so it doesn’t glide smoothly. But while this recliner is small and easy to move around, it’s better for petite users. Summary: The Flash Furniture BT-7862-BK-GG is a safe, comfortable chair with a matching ottoman, but it’s for petite users. This plush recliner from Flash Furniture is intended for bigger-sized users, but it’s actually ridiculously tall. It’s a lever recliner, so it can smoothly transition from one position to the other, and best of all it can actually sit upright unlike other recliners on the market. The seat, back, and arms are well padded, so the recliner is very comfortable, but there’s too much padding in the headrest for my taste. The extra rocking feature makes it a good addition to your living room or even the nursery. I like the upholstery too, it doesn’t make you sweat, because it’s a mixture of leather and polyurethane called LeatherSoft. This material is actually great for cleaning stains and for softness. Although you need to do some assembly work yourself, it’s not all that difficult. The real disadvantage is that you can’t recline the backrest and footrest independently. Summary: The Flash Furniture MEN-DSC01078-BRN-GG Plush is a comfortable, breathable chair for tall users. 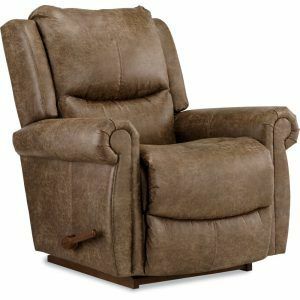 This stylish-looking recliner is also very comfortable because it’s well-padded and upholstered with soft faux leather. It can recline to 150ᵒ, which takes the pressure off your spine, but it’s difficult to use the armrest lever if you’re recovering from surgery. Besides, it’s quite difficult to get the chair back into an upright position. 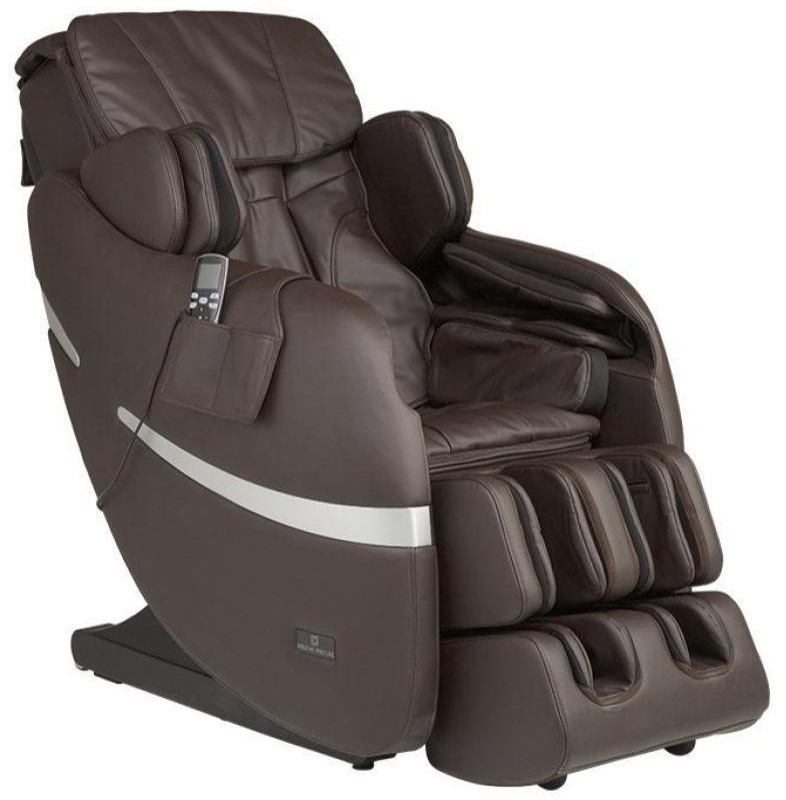 With its waist-heat, the HomCom Massage Recliner can alleviate back pain and relax you at the same time. However, this rocking chair gets pretty noisy when you activate the heat/ vibrations. Summary: The HomCom Massage Heated Recliner sports lumbar heat plus various vibration massages to treat back pain, but it can get pretty noisy. 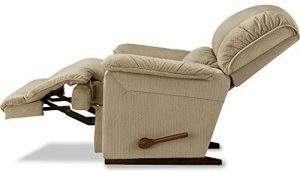 The La-Z-Boy Niagara Reclina Rocker Recliner is assembled in the USA, it’s comfortable, stylish and doubles as a rocker. The handle is easy to reach and smoothly reclines your back, without lifting the leg rest too. In fact, thanks to the patented La-Z-Boy mechanism, the backrest and footrest can move independently or simultaneously. However, the leg rest is fairly short, so this chair is better for petite users. Besides, when you release it, the chair makes a loud noise. The frame is quite sturdy and durable, with the chair providing good overall support. The reclining feature helps you take some pressure off your spine depending on where/ how bad your pain is. With the three-position locking mechanism and adjustable tension feature, you will certainly find the best position to feel supported and comfortable. I also like the stylish upholstery with detailed stitching. The wide pillow back is very comfortable, just like the plush chaise and sleek pillow armrests. However, the headrest is placed a bit too far to the back, so you need to lean your head in a quite uncomfortable position if you don’t have the right body frame. Summary: The La-Z-Boy Niagara Reclina Rocker Recliner is a sturdy, comfortable rocker and recliner, but it has no massage programs or functions. The RELAXONCHAIR MK-II Plus is a feature-packed massage chair, with three stages zero-gravity to take the pressure off your spine, an L-track with rollers that get below your glutes to alleviate sciatica pain and lower-back heating to release tense muscles. Even the body stretch function is vigorous enough to release back pain, but the remote control is difficult to read in dim light, and the foot massage could be improved. 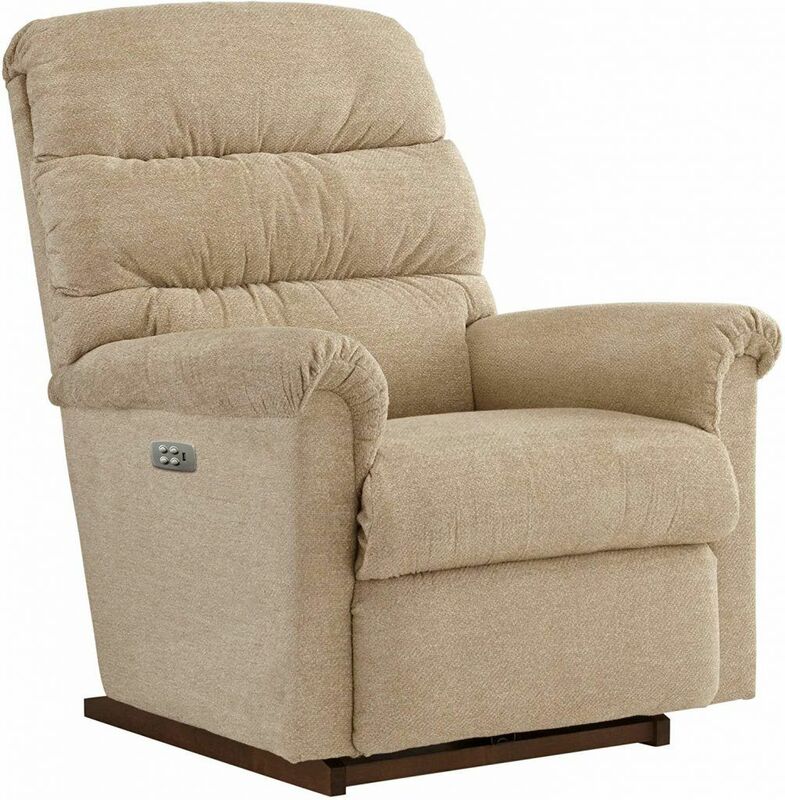 A silent, comfortable chair with an easy-to-use remote and a smooth recline, this Divano Roma Power Lift Recliner is a little small and needs more padding in the seat area. 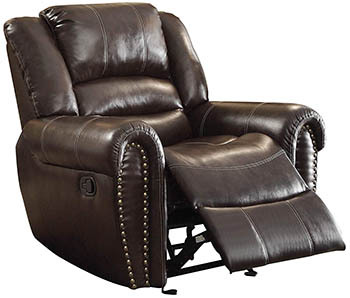 A comfortable chair with soft, leather-like upholstery, the Relaxzen Leisure Recliner Chair features 8 vibration massage motors, 9 built-in massage modes, plus it can easily swivel and recline. However, it could use some padding for the armrests. 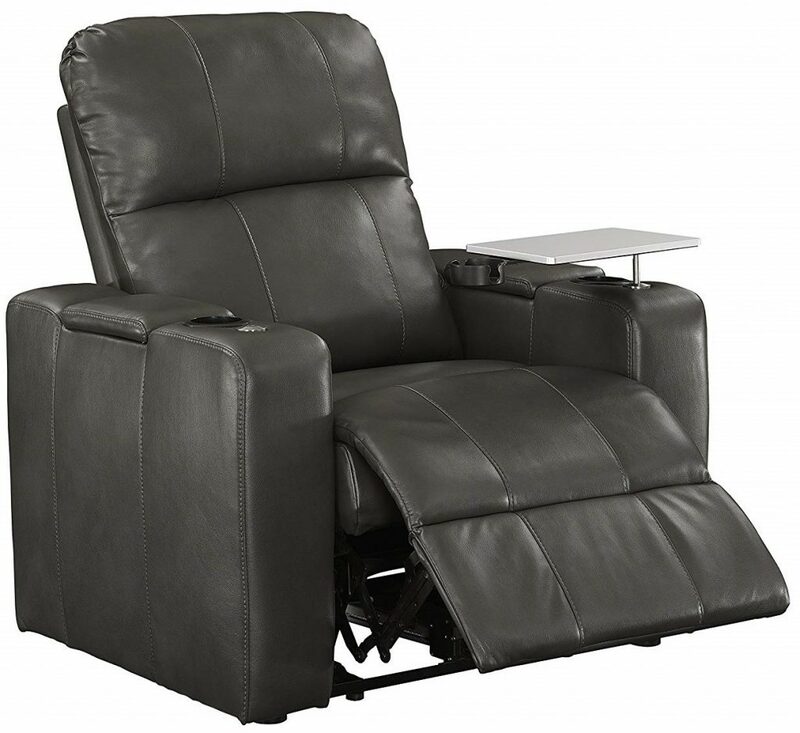 The Pulaski Power Home Theatre Recliner is easy to recline, by just pushing a button. Its faux leather upholstery makes this chair breathable so that you can enjoy its entertainment features, such as the USB plugs and laptop swivel tray. 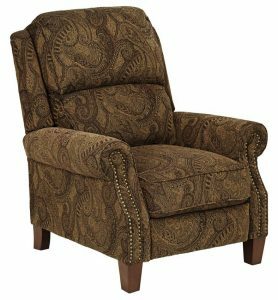 This three-way recliner chair has a wood frame for durability and paisley polyester upholstery that makes it look stylish. 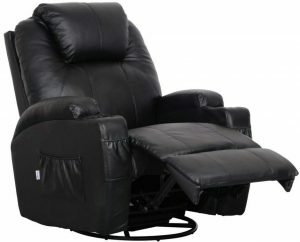 This recliner is comfortable and sports a flipper ottoman, but it sits quite high, and people recovering from surgery need help reclining it. 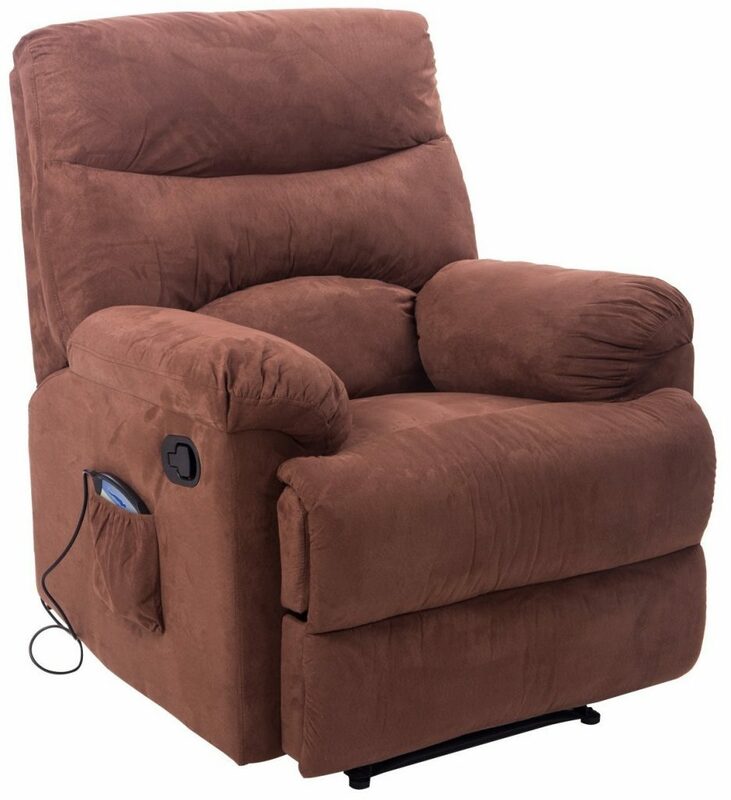 This recliner has all the bells and whistles, with heating, vibrating and massage functions, as well as two cup holders and four storage bags. On the other hand, it’s not a fixed recline chair, so you need to balance yourself to maintain a reclined position. With a smooth handle, durable frame and great back support, this chair is easy to adjust so you can find the best position. However, it’s quite loud each time you want to readjust your recline position. A recliner is an armchair which tilts back. It can be operated with a remote, a lever, button or a shaft with a knob. 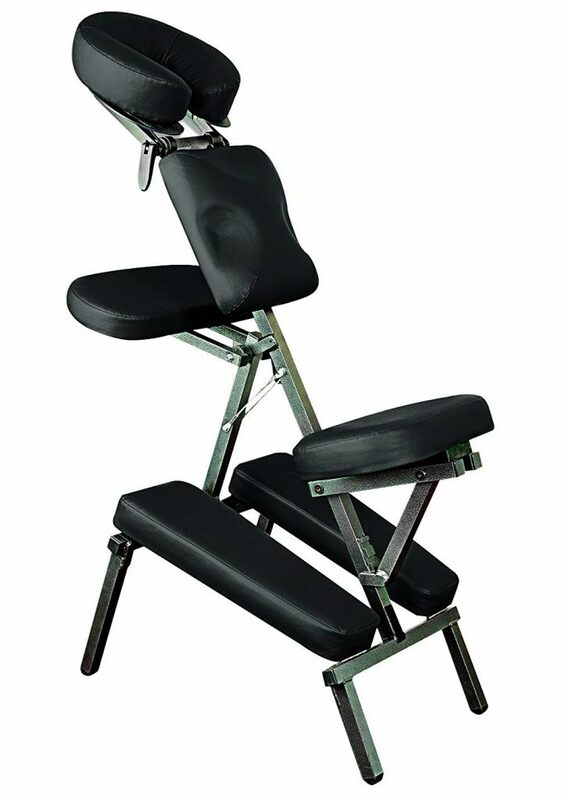 The footrest can also be extended or lifted up, just like the backrest. Some recliners also double as rocking chairs, while others sport various massage functions or built-in programs. It’s important to know which type of recliners there are on the market so you can choose one that can help with your particular needs. These recliners are extremely comfortable and help ease back pain almost instantly. By placing your knees slightly above heart level, zero-G recliners take the pressure off your spine. While the chair supports your bodyweight, some zero-gravity recliners might sport a massage function too. This means that your bodyweight presses your weight onto the rollers that move, so your spine benefits from a deep, penetrating massage. Massaging recliners are relaxing, but they also have therapeutic benefits. With rollers that offer a penetrating massage, these sort of recliners might have additional features like heat therapy to unwind sore muscles or airbags for a compression air massage that relieves tension and lower back pains. Imitating a chiropractor’s massage techniques, massage recliners relieve body strains, improve body circulation and are great for chronic back pain, arthritis, neck or recovering from surgery. Older people who fight with back pain or arthritis benefit from lifting recliners because they often have troubles sitting or even standing. 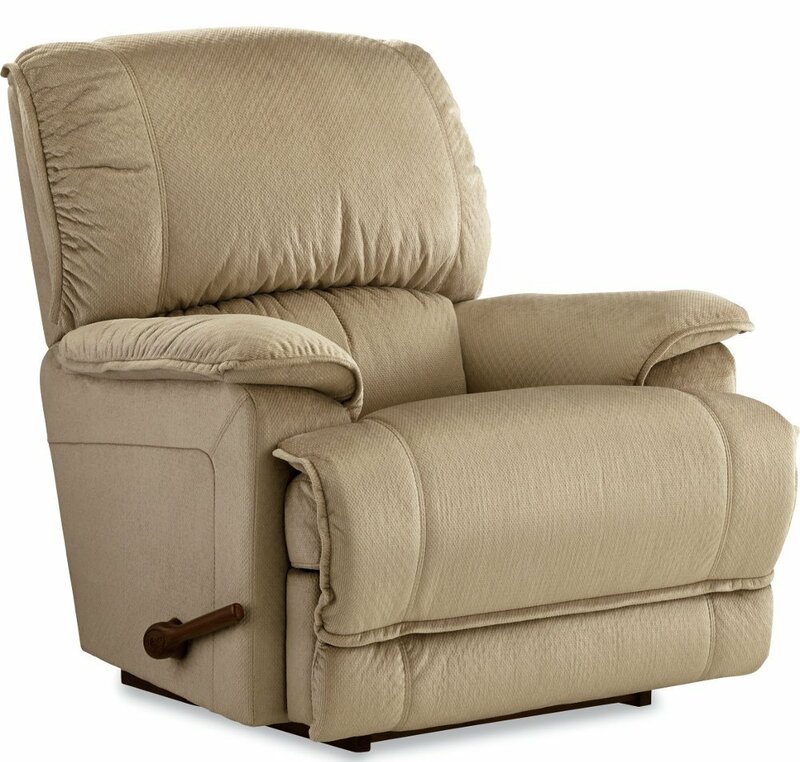 Lifting recliners have easy-to-use controls so you can place the chair in the most comfortable positions. Some of them have massage and heating options for additional pain relief. Besides, lifting recliners are stylish and a great living room furniture. Classic recliners have a traditional design, and they’re the basic recliner model. They provide good lumbar support, and they’re comfy for your feet. If your back or neck pain isn’t too bad, you can easily get rid of it by relaxing in a classic recliner. 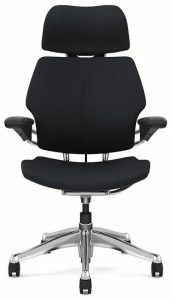 This sort of chair has padded back support, they can be used as armchairs in an upright position, plus they’re stylish. If you can’t find a good position in recliners with incorporated footrests or neck rests because of your body type, separate ottomans can be placed anywhere to accommodate your needs. I don’t particularly like this sort of model because of the extra adjustments needed, but I agree most such recliners look good and offer good lumbar support for people with mild back pain. The Stressless sofa is quite expensive, but it has some worthy features, like the Fjords Active Release system with amazing neck support. Besides, this is an ergonomic, supportive recliner that can easily be adjusted. This recliner helps you relax, improve blood circulation, alleviate back pain and correct poor posture. With cold cure-molded foam that pads the seat, backrest, armrests, and footrest, the Stressless Sofa is very comfortable, supportive and durable. Featuring gliding mountings, the recline position is established by your body weight, which means you have to push into the backrest if you want to be at a lower decline. However, this recliner is stylish as well as functional, though it lacks massage programs. If you have acute back pain or very mild back pain, you can consider a more affordable, basic recliner, that simply allows you to lay back a little. 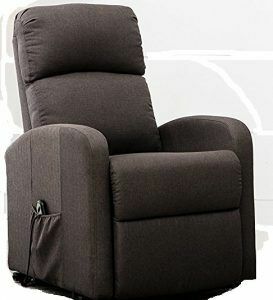 Otherwise, for treating chronic back pain, you need a recliner with more therapeutic features, such as heat, zero-gravity, multiple massage techniques or a firm body stretch like the Kahuna LM6800. The most important feature of a recliner is how many reclining positions it has, and how smoothly it transitions from one to the other. It’s also important to make sure it provides good lumbar support to your spine muscles don’t feel the pressure of your weight. Additional features like the ones I discussed above – heat, zero-G, massage techniques – are great if you want to invest in treating intense back pains like sciatica, relax, or if you’re going to correct your posture. Recliners’ frames should be resistant and durable, made from materials like steel or hardwood. As for upholstery, leather is extremely durable and easy to clean, but it’s more expensive. PU fabric is more affordable, but higher-maintenance and less resistant to tears. Warranty is important in case something happens to your chair. Full-warranties cover all parts and repairs for about a year, money-back warranties guarantee you can return the chair if it doesn’t work or you don’t like it, while limited warranties guarantee just some parts of the recliner. It’s important to choose the right recliner according to your body size, so take into account the seat height, position of the headrest and how much the footrest extends. If you don’t have a lot of room in your home, make sure the recliner is compact. How Does a Recliner Work? Recliners take the pressure off your spine, by reclining your back and placing your feet in a comfortable position. This way, your upper body weight is supported by the chair, giving your spine a rest and your back muscles a chance to relax. What Are the Best Recliner Chair Benefits? Recliners are comfortable and relieve back pain because they take the pressure off your spine, so they’re great for pregnant women. They can correct poor posture and help you relax. Recliners are great in fighting chronic back or neck pain or recovering from surgery, especially if they have special features like massage programs, heat therapy or zero-gravity. How Does it Support Back From Pain? Recliners offer good back support with comfortable padding, headrest, and footrest, so your back muscles are supported. If your recliner features massage options or heat therapy, you can relieve more pain. Many online websites or offline retailers sell recliners, so it’s best to buy one from a trustworthy source, with good shipping options, reliable warranties, and convenient return policies. 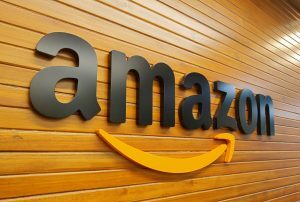 Websites like Amazon are the best in that regard, especially because you can read user reviews or compare different recliners. Otherwise, offline retailers allow you to test various recliners to see what suits your body type best. A Shiatsu massage chair with all the bells and whistles that can help ease chronic pain, the Kahuna LM6800 is my top choice. However, the other recliners I’ve discussed above have their merits too. I also hoped I’d answered all your questions regarding recliners for back pain, how they work and how you can choose one that suits your needs. If you want to discuss things further, you can ask be about best recliner in the comment section below! 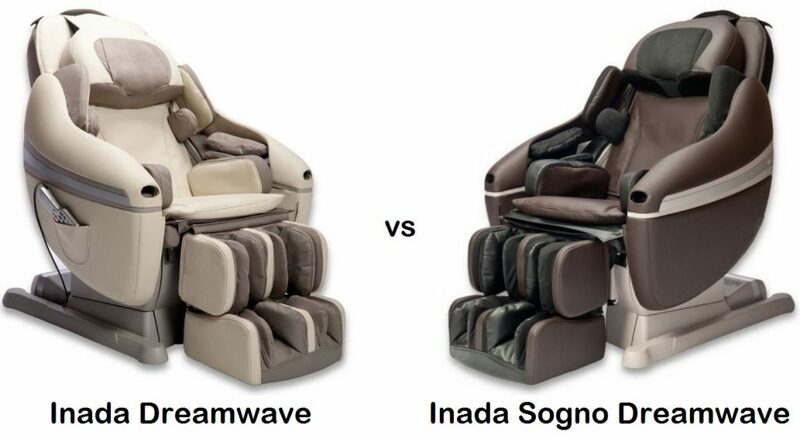 Tell me if this is you: you want to rip all the benefits of a great massage, you’ve read a bit about massage chairs, and everyone keeps bragging about the Inada DreamWave massage chair. But simply reading its enumerated features might not mean much to you, right? Luckily, I want to fix all that. I’ll discuss all of Inada DreamWave’s features in terms of pros and cons, benefits and disadvantages. The DreamWave is good massage chair, but there are better alternatives out there! The DreamWave is one of the best chairs on the market (it use to be the best around 5 years ago but now, in 2019, not necessarily the best chair), so it’s surprising that it only features an S-track. While the S-track has some definite benefits, it’s only the industry standard, and an L-track or a hybrid track is deemed better by some reviewers. Still, I think there are certain advantages to having an S-track, such as the fact that it follows the S-curve of your spine, making this an ergonomic chair that can touch every sore point on your back, from the neck all the way to your lower back. Chairs with S-tracks are also better when it comes to full-body stretches, getting your spine in a more comfortable position. The quad rollers deliver a good, strong massage, yet not as vigorous as that delivered by L-track chairs, which can be a great thing if you’re a hobbyist user or have chronic pain. 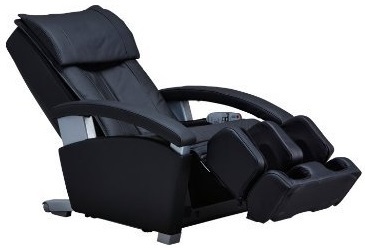 The Inada DreamWave massage chair does not have zero-gravity feature. If you’re not sure what this means, zero-gravity is a feature inspired by NASA – you know the way astronauts train and sleep in zero gravity simulated environments. Well, the zero-G chairs will lift up your knees above your heart level, so all your weight is supported by the rollers. This way you can get a very deep massage, which complements the S-track design nicely. The benefits of zero-G are plentiful. You can get more relaxed (deep relaxation), unwind sore muscles faster but also alleviate chronic spinal pain. In fact, zero-G massages are a great tool to recover after surgery or bed rest, provided you get your doctor’s ok. 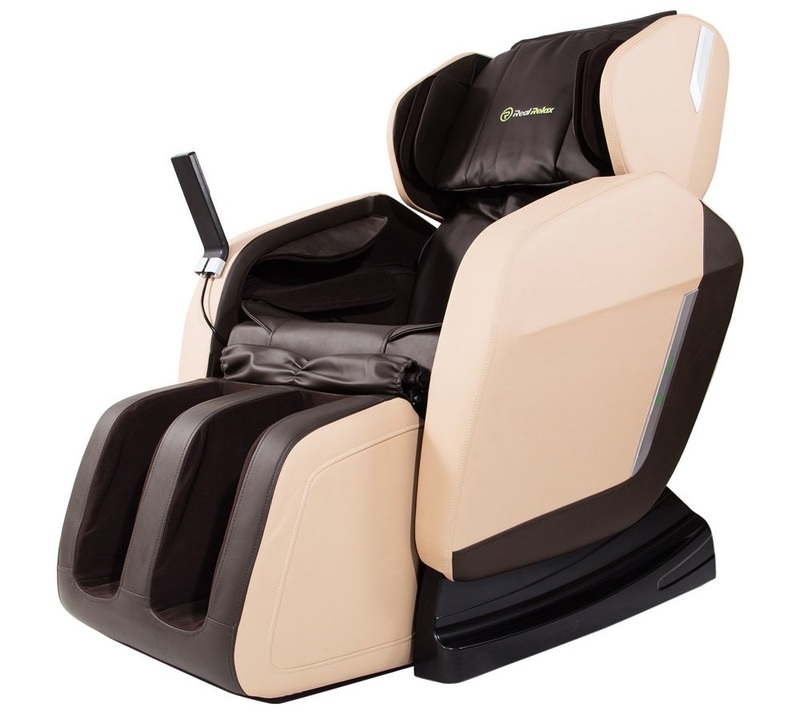 The majority of high-end massage chairs offer a reliable 3D body scanning technology. This means the computer will find out where your sore spots and pressure points are, adjusting the rollers so that you get a more satisfying massage. 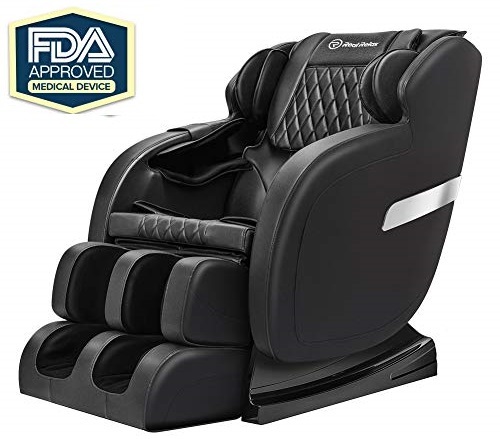 But the best thing about the DreamWave massage chair is that you can adjust the roller position manually, and also adjust the width of the massage area. That way, you can focus on sore spots and alleviate pain faster or release, melt away muscle soreness. 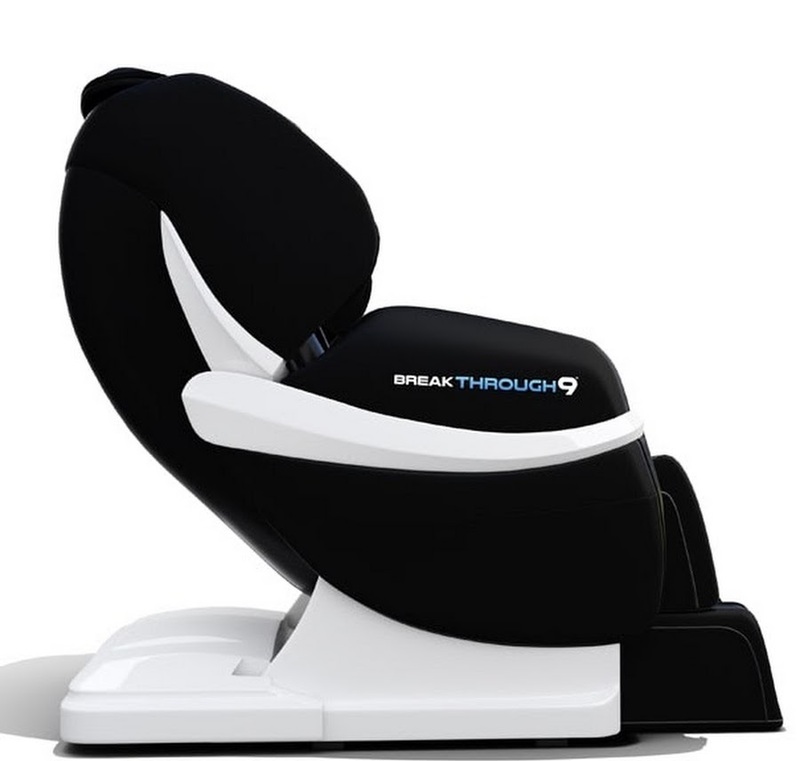 The body-stretch function offered by the DreamWave massage chair is great and features a lot of therapeutic benefits. This is a pre-programmed massage option you can easily find with your remote, and it’s the preferred option of many chronic pain sufferers. In fact, it’s so good that I felt my back pain disappear almost immediately. And here’s why. 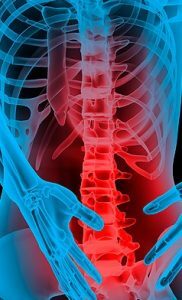 Spinal disc compression is the top most common cause of chronic back pain. 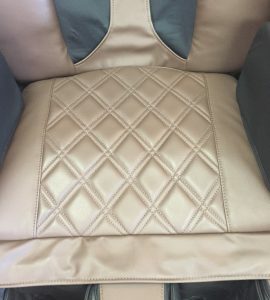 This massage chair uses airbags to stretch your body in a gentle, yet firm way, meanwhile reclining it so that your weight is supported by the massage chair and not your spine. Another benefit of this body stretch is that your blood circulation is well improved, which is great if you have high blood pressure. Besides, the full body stretch offered by the DreamWave feels very life-like, much like a visit to the chiropractor. 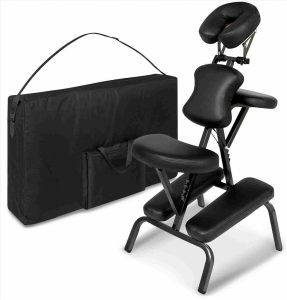 The DreamWave offers a comprehensive full body massage, including a full-arm massage. This is something you don’t see every day, with 20 air cells that cover the entire surface of your arms, from the shoulders and upper arms to your forearms, hands, and fingers. This is a great way to alleviate joint pain, considering that the air cells will compress your arms then immediately release them – imagine how great this feels to your fingers if you have arthritis. It’s also a great feature if you’re into bodybuilding or strength training and want to alleviate sore muscles. But this massage also has other therapeutic benefits, like improving circulation and reducing blood pressure. Plus, it’s quite relaxing to focus on your shoulders! The DreamWave doesn’t just offer an airbag massage for your arms – it’s for your whole body, and it’s amazing. The first reason is that it uses a mind-boggling number of Second Generation airbags: 101, which is way more than any other similar massage chair on the market can do. These air cells provide soothing rhythmic motions that squeeze your muscles then immediately release them to feel much like what a chiropractor does. The purpose is to decrease pain, improve circulation and relax you. But there’s another “culprit” for this terrific air massage: the fact that it customizes each of massage sessions. So you can adjust the air pressure, massage duration and even select which body part you want the cmassage hair to focus on. You can get a full0body massage, or simply choose to have your seat, foot or arms taken care of. 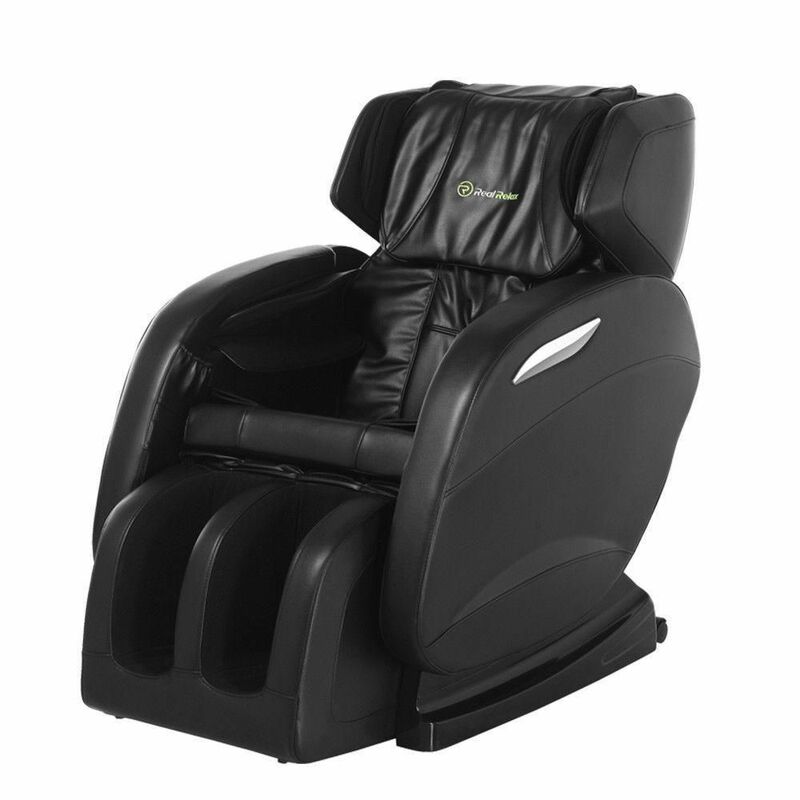 The calf and foot massage offered by the DreamWave is like a true dream wave. We already talked about the benefits of airbag massage and what this chair’s rollers can do. Now imagine you combine both of these for your feet. This sort of massage entails plenty of benefits. If you have runners foot or joint pain, if you’re just coming back from a hike or a day wearing high-heels, this is definitely a massage that will make your pain go away. It’s also relaxing and can reduce high blood pressure, by improving blood circulation, so it’s a good massage to have after a day flying, if you’re constantly sitting down or if you’re recovering from bed rest. Besides, the ottoman can easily be extended so that the DreamWave can offer all these benefits to taller users too, up to 6’5”. This is a pretty unique feature among massage chairs, unfortunately, so kudos to Inada for making such a user-friendly massage chair! Back and seat heat is a terrific feature, considering that most chairs that feature heat therapy only offer lumbar heat. But the Inada can offer heat therapy both for your back and your seat area, which reduces chronic pain, unwinds the muscles and makes the massage more effective. Besides, warm rollers actually feel more life-like. I also loved the level of control I had with this massage chair in regards to heat therapy. I could adjust the heat just for my back or just for the seat, or for both at the same time. Being able to customize your massage experience like that is really user-friendly. Do you remember ever being a teenager? I do too. High-school life filled with stress and anxiety, plus the pressure of becoming a young adult and the need to assert your independence. And on top of that: growth pain to make your life sweeter. Luckily, the DreamWave features a youth program that accommodates people over 14. This program is a bit milder, but it reduces stress, decreases daily fatigue and muscle pain. Besides, another advantage is that this massage chair can be used by people with a petite frame too, even if they’re not doing the Youth Program. The DreamWave has a unique feature you won’t find anywhere else: the Iliotibial band massage. This band focuses on your hips and thighs, which are fairly large muscles. If you’re a runner or if you have chronic pain in this area, including sciatica, you will feel instant relief. Another great thing about this is that you can adjust the massage pressure yourself so that you can get either a gentle massage or a firmer one, depending on your needs. Before talking to you about the remote, let me just say a quick thing about the massage options offered by DreamWave: there are a lot of those! This chair aims to address all its users, without leaving anyone behind. That’s why it features 16 pre-programmed massage options, plus 6 massage techniques that include Kneading, Tapping, Combo, Double Knead, Human Hands and Shiatsu. Some of these options feature adjustments for the massage speed, intensity, duration or width, which you can operate with the remote. And that’s why it helps to have an organized remote control to help you customize your massage. 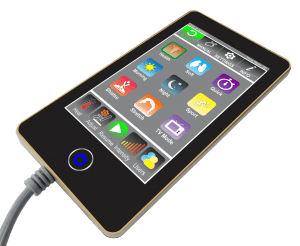 However, the remote, albeit logical and well-designed, has a bit of a learning curve because let’s face it, there are a lot of options. So this means that you can enjoy a quality massage as soon as you have the chair installed, but it will take you a bit to customize it to perfection. DreamWave chairs are made of synthetic leather and comes in a few colors: brown, black, dark brown, TruBlack and red. There are a lot of advantages to the DreamWave, but I’ll only mention a few here. The first is the quality airbag massage, that is completely adjustable, vigorous and actually effective. With airbags that can even massage your fingers, shoulders, and arm, this chair is useful to people who work long hours or who have arthritis. Secondly, I loved the sole massage this chair offered me – again, not something you see every day, with a great combination of airbags and rollers. With a coverage of over 1,200-square inches, it can cover your entire body for a superior comprehensive massage. And lastly, the unique thigh and hip massage for runners, shows that this chair is particularly user-friendly, catering to everyone. 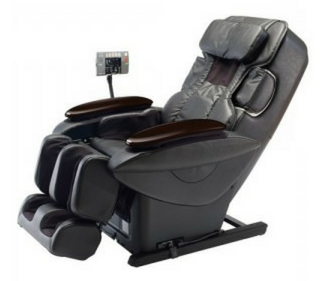 One of the most significant drawbacks of the Inada massage chair is its price tag. Of course, it’s not the most expensive one I’ve tried, and it certainly pays off to invest in a feature-packed chair, but it’s also true that not most people can afford this. There are also other features I discussed above, like the one zero-G seating and the short S-track. So the DreamWave can definitely benefit from more zero-gravity positions as well as a longer L-track or hybrid track. Otherwise, there are some things I could add to this chair that don’t impact its functionality, such as MP3 support and space-saving technology. Besides, this is a very heavy chair, which makes it less than portable. This is something that needs clearing up. The Inada Sogno DreamWave was the first version of the DreamWave, but the company retired it in 2015. The chair was remodeled and rebranded as the Inada DreamWave. As such, there are just a few differences between the original and the current version. The Sogno DreamWave used first generation airbags instead of second-generation airbags, which are less effective. You also couldn’t adjust the massage duration, which was much shorter, and the heating system was only focused on your lumbar area. Otherwise, the Sogno DreamWave has most of the same features, like a wide array of massage options and techniques, the Youth Program and a great stretch function. There are some similarities between these two chairs, as well as some differences. 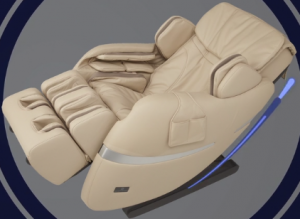 Firstly, the Luraco i7 Plus features an S-track, one zero-G seating position, and offers body scanning just like the Inada DreamWave massage chair. A first difference is that the Luraco i7 Plus features the 3D/ 4D massage technology, with rollers that move up and down, left and right, as well as in and out, providing an inward motion and outward up to 3 inches from the track. This will give you a more penetrating, deep tissue massage so that you can alleviate chronic pain or muscle soreness faster. In terms of options, these chairs are quite similar, though the Luraco offers the advanced Swedish technique and the DreamWave boasts the Human Touch technique. In turn, the Luraco only has 9 pre-programmed massages, but one of these options is the TV Mode, which reclines you so you can watch TV comfortably while getting massaged. Another difference is that the Luraco i7 Plus only features 80 Second Generation Airbags. These embracing air cells provide soothing massages, and you can also adjust the body part where you want the airbag massage, as well as the intensity level. Besides, Luraco’s full body-stretch is more aggressive than that offered by the Inada DreamWave. Otherwise, Luraco offers better heat therapy, with extensive heat even for your footwells. 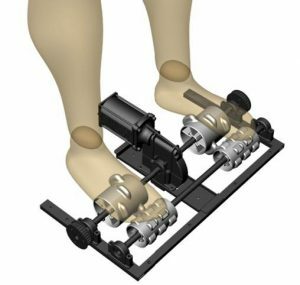 Combine that with dual rollers, and you get one of the best foot massages you can think of, especially if you’re working on your feet all day long. Why Luraco i7 Plus Has More Advantages? Up until now, you can see that Luraco and Inada DreamWave are pretty similar, with advantages that compensate their disadvantages. MP3 support, with 10 W Bluetooth speakers, that leads to a more immersive massage experience. Memory function with 5 memory slots, so you can remember the best massages instead or re-twitching the chair to find your perfect massage. Easy to use touchscreen remote that’s quite intuitive, even if the Luraco offers plenty of options. The built-in heart-rate and blood pressure monitor, which assists this chair’s therapeutic functions. Inada is a Japan-based brand with a great reputation because it has accustomed its users with quality products, stellar designs, and craftsmanship, as well as great customer support. Family Inada has decades of experience, activating on the market since 1962 with the explicit purpose of becoming an industry leader and of helping people improve their health. 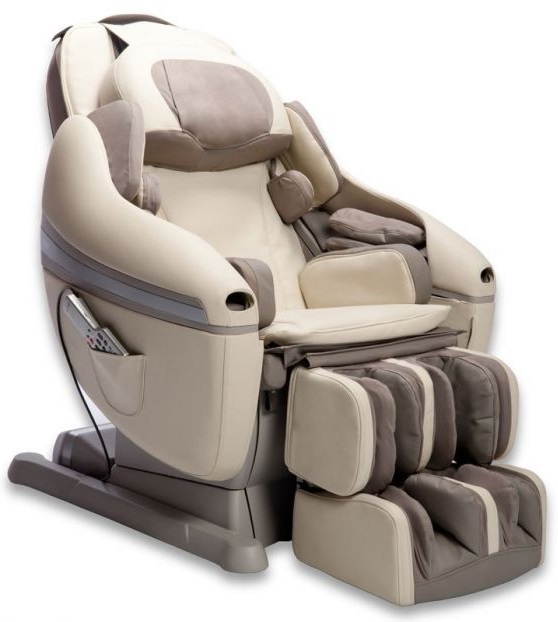 Inada is a specialized massage chair manufacturer, with 14 massage chair models apart from the discontinued ones you can still find on other websites. 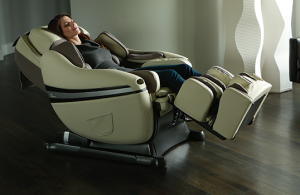 Inada is one of the few leading brands you can trust in the massage chair space. Othe brands include: Medical Breakthrough (even though not completely clear about their origins and testimonies), Panasonic Chairs, Titan / Osaki Brand (reviewed here), Brookstone Brand (seems to be discontinued many models now), Infinity (reviewed here), Human Touch (link to my review). 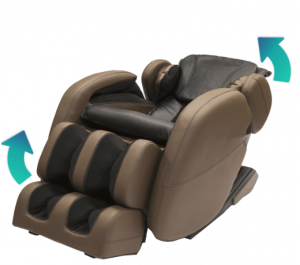 The Inada DreamWave massage chairs offer a 3-year limited warranty for repair and replacement, with on-site service. If you want a better deal, you can always purchase the 5-year extended warranty. Inada offers free white glove delivery, free shipping and free return shipping in case you don’t like this chair. However, buyers are the one responsible for the chair’s safe return, so you’re liable in case the chair gets damaged or lost on its way back to Inada. As such, if you’re shipping company offers insurance, you’d better take it. One great place to start is the Inada website, where you can find free white glove delivery and shipping. On the other hand, if the price seems a bit too much for you, you can also try Amazon. They’re a trustworthy site plus you can get a few holiday discounts if you choose the right time to buy this chair. Even if you won’t get white glove delivery, Amazon’s shipping service is still fairly good., and you can also get decent used massage chairs, plus get a chance to read the users’ reviews. The Inada DreamWave massage chair is a feature-packed chair that’s user-friendly and aims to cater to every user. There are plenty of amazing features. This chair boasts, many of which are quite therapeutic. 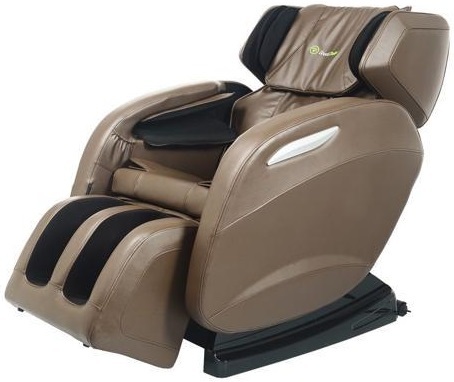 However, the Luraco i7 Plus is a better alternative and the best massage chair in 2019, with its built-in blood pressure and heart rate monitor, MP3 and feet heat. If you are looking for a cheaper alternatives look our guide into affordable massage chairs. So now it’s your turn: which massage chair will you choose and why? Let’s talk in the comments below! If you know me and follow my site, you probably know that I rated Luraco massage chair i7 (now upgraded to i7 PLUS model) is the best massage chair in 2019. You will discover why (below)! luraco Technologies is USA company based in Dallas, Texas. American is not the only country that produce high quality products, but in this case USA made Luraco massage chair is quality product with assembly in USA. Having US based customer service support is also a plus for Luraco Technologies. And according to my research and experience, most people who are looking for a top of the line massage chair must choose between great chairs such as the Luraco iRobotics i7 and the Human Touch Novo XT2. But I feel that the best option is the first, which is why this article is about the Luraco iRobotics i7 Massage Chair review & comparison with similar products. 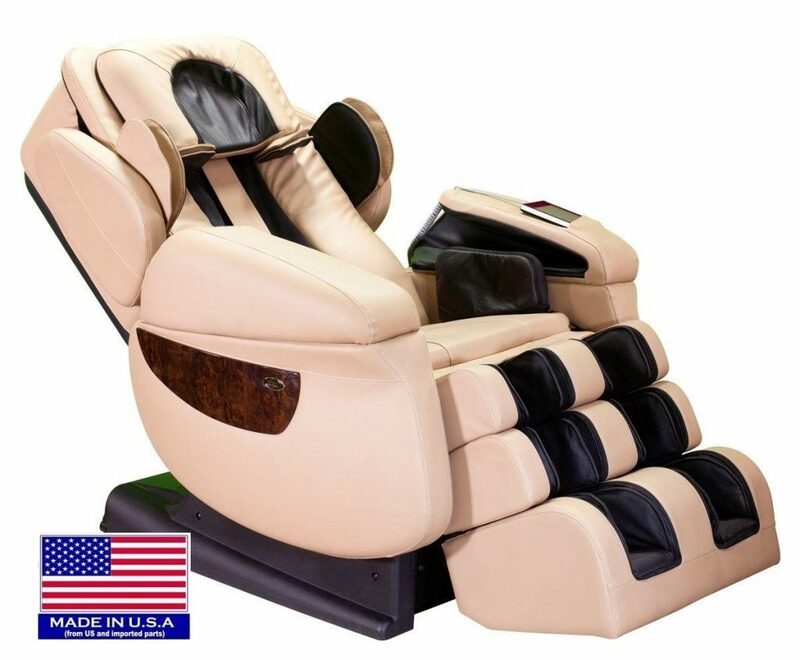 The LuracoiRobotics i7 massage chair is a quality product, a genuine leather chair that’s entirely designed and made in the USA, though some parts are imported from Taiwan. This is a mark of its reliability, especially since you can trust in the quality and craftsmanship of the Luraco i7. Besides, you can also trust it’s made for American users, considering it can fit people up to 6’7” and 300 pounds. Besides, this medical massage chair recliners especially suitable for therapeutic purposes, with plenty of options to suit your every need. It’s also quiet, easy to use and comes with an impressive 5 year manufacturers warranty – but more of that below. The Luraco i7 features an S-track, meaning that the chair can accommodate your spine, curving and fitting its anatomical shape, so that the rollers can cover the entire area of your back. Although this is the industry standard and with plenty of benefits that stem from its ergonomic shape, it would have been better to see a longer L-track that can get up to your buttocks. Still, the back massage offered by the Luraco i7 is well improved by the 3D body scan technology this chair uses. This means the chair will scan your back before starting a massage so that the rollers are adjusted according to your sore spots. And if the computer happens to miss something, the good news is that you can manually adjust these rollers yourself, with the easy-to-use remote. All massage touch surfaces (Head, Arms, Shoulders, and Feet). This patent-pending healthcare device that comes along with this 3d robotic massage chair is one of the patented features of the i7. While there are some good massage chairs on the market with plenty of therapeutic functions, it’s a good idea to monitor your heart rate and blood-pressure to make sure you’re getting an adequate massage. Apart from checking how efficient the massage chair is, these health monitors also help keep your blood pressure under control. If you have a medical condition, if you’re pregnant or you’re recovering from surgery, it’s a good idea to avoid strenuous massages. Massage chair offers full body heat, according to the official specifications, though that seems like a stretch. Still, it’s one of the best heat therapy functions I’ve seen in quite a while, considering there’s heat for the lower back, seat and foot wells. Heat therapy mimics a hot stone massage, with many important benefits, such as unwinding sore muscles, reducing pain and therefore making the whole massage feel more life-like and efficient. But what’s even better with the i7 irobotics is that you can adjust the temperature! This is a pretty unique feature; most of the chairs that boast heat therapy don’t allow temperature control, least of all with 5 different intensity levels. The massage roller technology improves your massage experience by far. Firstly, it’s good to know that S-track massage chairs don’t usually offer a very deep tissue massage – in fact, L-track chairs are famed for their vigorous massages. But with 3D technology, the Luraco chair has rollers that can move up and down, left and right, in and out. The rollers have extension arms that travel up to 3 inches away from the massage track, getting you a penetrating massage. And if you select the maximum levels of intensity, this feels almost like a deep tissue massage, with all its benefits like reducing chronic pain and improving blood circulation, relaxing you and helping you fall asleep faster. The foot massage rollers enhance your foot massage by far, and the Luraco i7 is famed for offering amazing foot massages. Dual foot rollers make the massage feel more intense than quad rollers because they provide deeper, more aggressive massages. Quad rollers have 4 rollers instead of 2, which cover a bigger surface. Rollers are instead better for deep, localized massages, considering they cover a smaller surface. Still, double rollers will massage your entire foot, including your heel area, which is great news for people suffering from plantar fasciitis. Otherwise, you can also reduce arch pain, arthritis pain or simple discomfort after a night dancing or a day spent on your feet. Luraco i7 is a feature-packed chair, with plenty of massage options you can combine for the deep relaxation and pain relief. As such, the chair offers some basic massage techniques, like Kneading, Tapping, Kneading and Tapping, plus the more advanced Rolling, Swedish, and Shiatsu. You can also selectively activate the body region you want the rollers to focus on, from the head and neck to your shoulders, upper back, lower back, and feet. There are even 6 different intensity levels, so you can further customize your massage experience. The 9 pre-programmed manual massages include the therapeutic Health, the relaxing Soft, the Quick option for people who only have a few minutes, the Night program to help you sleep, the Sport option for active people, Tapping to help you unwind and relieve pain, plus Stretch and TV Mode, which are the best IMHO. The body stretch program is quite intense, much like a chiropractic adjustment that helps take the pressure off your compressed spinal discs, which cause chronic back pain. However, if it’s too much for you, try some heat therapy first. Secondly, the TV mode is great for people who want to benefit from a relaxing massage while binge-watching Netflix. The chair will recline, and the massage isn’t so intense, so you can also focus on the TV. The music system is definitely not the best I’ve seen on the market because it’s not that easy to use. So although you have good MP3 support, you need an SD card first to copy your favorite songs, then insert that into the chair. Basically, you can’t browse or change your playlist during your massage, so Bluetooth or USB support would have been better. As you’ve read above, the Luraco features tons of options and customized features. It even offers 5 personal user memory settings to customize your massage settings and remember your preferences. Which is why it’s such a good thing to have an easy-to-use, intuitive remote control. Its widescreen makes the writing easy to read; the colors don’t hurt your eyes and make navigation easy. Besides, you can even give the Luraco some commands, and it has a voice response, so you’re always in the loop when it comes to the massages you’re getting. Plus, the user manual is easy to read. Kudos to the design team! Well, there aren’t exactly 100 airbags, but close to that: 80 Second Generation air cells are still pretty much, so your whole body will be covered from your head to your toes. Airbag massages are very therapeutic. The air cells will compress your body before quickly releasing the muscles, which is much like what a human chiropractor would do. The purpose of these compressions is to improve blood circulation and to relieve muscle pain, while also inducing a deep sense of relaxation. The airbag body massage offered by the Luraco i7 can be customized according to preferred body areas: head, upper arms, shoulders, lower arms, hands, hips and thighs, calves and feet. Besides, you also have five intensity levels. The shoulder airbags deliver a deep shoulder and neck massage, squeezing your shoulders and immediately releasing them. Apart from relaxing and improving blood circulation, this massage is great for people who have a desk job and limited time to stretch out or walk around the office. It relieves cramps, and it also helps you fall asleep faster. The calf massage offered by the i7 massage chair is one of the best on the market because it comprises the functions above: heat therapy on the feet wells, air massage plus double rollers. Your feet will be warmed, squeezed and scratched, so your soles will feel young again. The combination of these functions helps reduce muscle pain, symptoms of Plantar fasciitis and arch pain. Basically, if you’re on your feet constantly or if you’re suffering from chronic foot pain, this is the chair you need to get. Besides, a comprehensive foot massage improves blood circulation, which in turn optimizes your blood pressure and decreases the risk of heart-related issues. 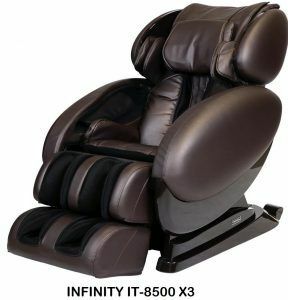 The Infinity IT-8500 is a great zero gravity massage chair recliner in the under $5500 category, with plenty of options that make it a good alternative to the Luraco i7. In terms of similarities, both chairs sport an S-track design, a firm body stretch, and 3D body scan. However, the IT-8500 boasts two zero gravity seating positions, while the Luraco has just one. Zero gravity means that your legs will be elevated a bit, so they’re higher than your heart level, which basically takes all the pressure off from your spine. Apart from being very comfortable, and a good way to improve chronic pain, this also means that you’ll be getting a vigorous massage. The IT-8500 elevates your legs in two different positions: one at about the same level as your heart and the other one a bit higher. 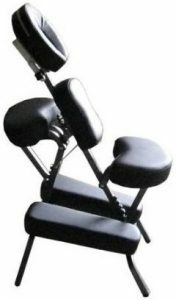 In terms of massage techniques, the two chairs are fairly similar. 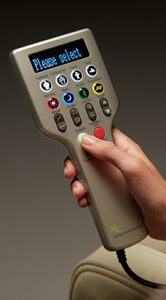 The IT-8500 offers Kneading, Tapping, Combo, Knocking, Dual Action, and Shiatsu. On the other hand, the IT-8500 only boasts 4 pre-programmed massages, with no way to adjust the massage intensity and a fairly vigorous deep tissue option. The Spot Massage Function is an excellent option with the Infinity IT-8500. This means you can have the rollers stop on a pressure point and massage around it until you tell them to keep going. But the IT-8500 features a gloating partial massage so that you can begin partial massage modes too. Conversely, the IT-8500 offers a poorer air massage mode, with just 38 Second Generation air cells, and fewer areas you can concentrate on, though this massage mode offers 5 intensity levels. You also get just lumbar heat with the IT-8500, while the Luraco i7 offers extensive heat therapy. The IT-8500 shines through the gentle Twist stretching function which complements the firm Stretch function, twisting your spine a bit more gently to get the benefits of a chiropractic spinal adjustment. Inversion therapy is another reason why the IT-8500 can seem better, reclining you upside down so you can improve your lymphatic fluid circulation. Besides, the IT-8500 features a better music system, via a USB port, but you still need to load music on a jump drive. The downside is that the IT-8500 can only accommodate a user height of up to 6’4”, while the Luraco can go up to 6’7”. The LuracoiRobotics i7 Plus massage chair comes with some significant improvements, which shows user-friendliness and Luraco’s concern with the users’ experience, like the fact that’s UL-listed. luraco Irobotics 7 plus medical massage chair allows you to adjust the intensity levels depending on your body area. Basically, you can choose a gentle lower back massage and an intense neck massage at the same time. 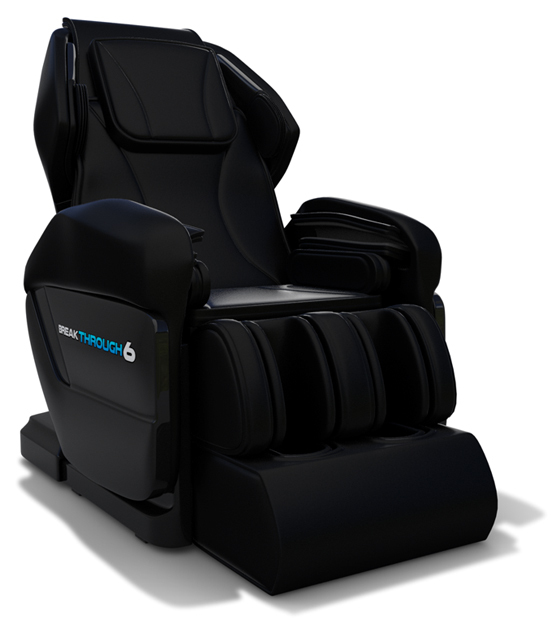 The Luraco Irobotics i7 Plus massage chair has 6 intensity locations, which makes it highly customizable. This massage chair recliner comes with some improvement in the design of its remote control. While this is the touchscreen type too and just as user-friendly, the remote for the new Luraco i7 Plus is faster and more durable. Besides, it features some new massage options, like the new rhythms for Kneading and Tapping. The Luraco i7 Plus improves the old version’s music system, considering it boasts 10 W Bluetooth speakers. These are more powerful and help you relax better, but you still need a selected playlist first. The hip twist and body swivel with twist massage offered by the Luraco i7 Plus is comparable to that of Infinity’s IT-8500. It’s a milder version of a full body stretch, twisting your hips so that you decompress your spine and decrease chronic spinal pain. This is great for people who are recovering from surgery, early pregnancy or hobbyist users who don’t appreciate vigorous massages. The first place that comes to mind is the Luraco website, considering it’s a trustworthy source, as well as other offline stores that might offer various deals, plus good shipping options. Luraco is a trustworthy place for returns and good delivery options too – you might even get a good deal for white glove delivery and home setup. On the other hand, you can also try Amazon. This website is reliable when it comes to warranties, free shipping, and returns. The best thing is that you can read more customer reviews and maybe get a bargain price. 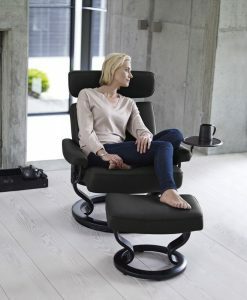 There are some other great chairs such as Inada Dreamwave, Medical Breakthrough (have some doubts about this one – read my review), Panasonic Chairs, Human Touch (read here) but I am positive that this chair is a real winner here. The Luraco i7 Massage Chair is a therapeutic chair, built in the USA, so it’s durable, user-friendly and therapeutic. With optional health monitoring features, speed controls, limited warranty + extended warranty, and an intuitive operating system (OS), the i7 massage chair offers an amazing neck massage and helps you achieve true inner balance wellness. And if you are looking for less expensive chairs, read our guide here. But what chair will you get and why? If you’re like me, you know that having a portable massage chair is essential for any therapy practice and you are giving at home massages. Good chair may influence your massage efficiency up to 200% so your clients can feel better faster. The best portable massage chairs are compact, light, with sturdy frames, comfortable padding, easily adjustable, great for deep tissue massages and so on. Well, I’ve talked to some experts, tested some chairs, and now written this article to help you compare and choose the best portable therapy chair for your needs. Without further ado, here’s my number One choice. With 11 x 20 x 43 inches and 15.2 pounds, this chair is compact and lightweight, which makes it very easy to carry; plus it comes with a carrying case that looks like a wheeled luggage bag, but unfortunately, it’s a bit difficult to keep it straight. 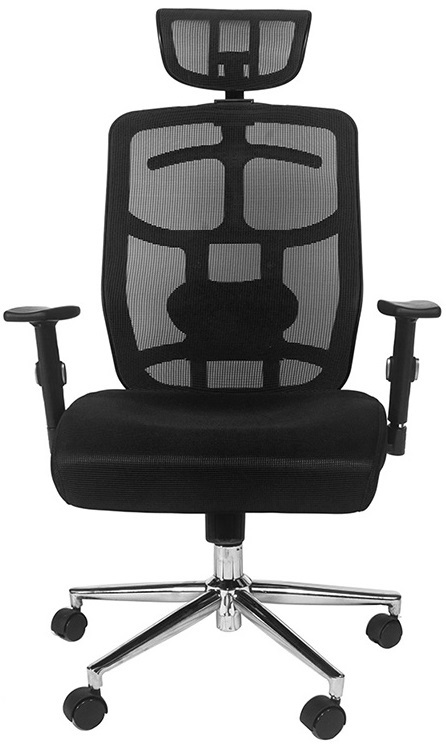 Construction-wise, this is a comfortable and durable chair, with 2-inch multi-layer small cell foam that has a high density and thus proves ergonomic. It is a waterproof chair, with polyurethane upholstery in a stylish royal blue color. The reinforcement gives this chair additional durability, but it also looks amazing considering that it comes in royal blue. The aircraft aluminum frame is light and strong, with no-mark finishing and electrostatically-powdered so that the chair resists rust and scratches. Besides, this strong frame can support people up to 650 pounds. It comes with included accessories such as the adjustable face cradle that you can adjust in six positions or the memory foam pillow. The session pouch allows users to stash their eyeglasses or rings without fear of misplacing them. Summary: The Master Massage Professional massage chair has the best all-around value, and it’s a feature-packed, resilient chair. This is another light and sturdy chair, with a high degree of portability, considering it’s made from T6 aluminum alloy and a high gloss powder-coated finish. The chair is suited for heavier users, considering it has a patented double tube that makes it stabler than other portable chairs. At 24 pounds, this chair is versatile and can fit users between 4‘6” to 6’6”, with easy-to-make adjustments of the chest and seat area, though the chair might squeak a bit. This chair also features an ergonomic design, and the armrests are easy to adjust, though you can’t put too much pressure on them, while the leg pads are easy to remove. With wheels, ballistic nylon carry case and valuables pouch, this chair is easy to move and store. Summary: The Stronglite Ergo Pro II massage chair is a very resistant chair that proves quite versatile and comfortable. The Earthlite Vortex massage chair includes the whole massage chair package you need for traveling, including a case that’s resistant to water because it’s made from rugged nylon. The case comes with a padded shoulder strap for extra comfort and a sternum pad to take the weight off your back. Besides, the chair only weighs 15 pounds. Made from aircraft-grade aluminum, the frame is light, yet tough, allowing the chair to fold easily. The upholstery supported by this frame is made from a resistant dual-density Pro-Lite cushioning. Above it, the Natursoft upholstery proves quite soft, but it’s also durable. The chair allows you to make plenty of adjustments to accommodate users, plus it’s easy to set up and fold. Unfortunately, it’s not a chair meant for bigger users, and the armrest might feel too low. Summary: The Earthlite Vortex includes the complete massage chair package, so it’s easy to travel with. If you’re on a budget, this chair is resistant and comfortable, though it’s better for masseurs who only work part-time or are going through their apprenticeship. At a more affordable price, this chair can also double as a tattoo chair, and it seems it’s better for this purpose. However, it’s a comfortable chair, filled with high-density foam and can easily be folded. Although the advertised maximum static capacity is 700 pounds, the user manual states it’s just 250 pounds. So this chair can’t fit bigger users. Still, the upholstery is made with PU leather that’s water and oil proof, so you can easily clean it. The chair is compact, easy to set up and fold, and weighs just 23 pounds. Summary: The Massage Chair Comfort 4 is an affordable and comfortable chair, but lacks in durability. The Therabuilt Apex massage chair is portable, weighs just 18.5 pounds, comes in a stylish black and has a 250 pounds working weight limit, so it can’t accommodate heavy users. Besides, it comes with a free case that’s comfortable to use. This is not a particularly durable chair, as the warranty offers 1 year against manufacturer frame defects and 3 months for the face cradle. Speaking of which, I liked how easily-adjustable the face cradle is, and I thought the 3.5-inches thick foam is particularly plush. While some users might complain that the screw to assemble the armrest is shorter than it should be, that isn’t the case, and you can easily find a YouTube video showing you how to set the chair up correctly. Summary: The Therabuilt Apex massage chair has great cushions and an easy assembly, but it’s not the most resistant on the market. This is another fairly durable chair considering that its frame is manufactured from aircraft grade aluminum, which also renders it light. This 18 pounds chair can support a 300-pound working weight. The upholstery is made from soft vinyl, which is a soft, comfortable material. Besides, Levante vinyl is resistant to stains and easy to clean. This professional portable massage chair is covered with 2.5-inch foam, which adjusts to your body shape and is, therefore, ergonomic and comfortable. The seat, chest, head, and armrests are all easily adjustable, while the chair is easy to fold and to carry courtesy of the included storage case. One downside is that the screws used for adjusting the movable parts tend to get a little loose with time, so you need an Allen wrench handy. Summary: An easy-to-clean, comfortable chair, the NRG Grasshopper could use better knobs. At 19 pounds and with a 350 pounds weight capacity, this Oakworks portal massage chair is easy to use, allowing you to massage your patient’s head, shoulders easily, and back. This chair is compact, sturdy, and light, so it’s easy to set up anywhere. The instructional video is very clarifying, and the case is quite reliable for transport. This chair can fit people up to 300 pounds, and with a height of 4’11” to 6’4”, so it’s not meant for tall users. However, the chair is easily adjustable, just like the armrest and face rest, that can be locked with only one hand. This chair is stable even if it has portable wheels, its frame is made from aluminum, and it’s upholstered with PVC-free Terratouch, that’s easy to clean. Summary: The Oakworks Portal Pro 3 is a chair meant for petite users, but it’s durable and easy to use. One of the most affordable portable chairs on the market, the Ataraxia Deluxe certainly has its shining features, like the fact that its upholstery is made from oil-resistant and waterproof synthetic leather. As all the chairs above, this one can be folded and comes with a carrying case that features a strap. However, the chair can’t be folded easily, and the carry case seems a bit shabby. This is a solid chair, with a steel frame, but some of its other parts will definitely wear faster with prolonged use. Steel is a durable material, but it’s heavier than aluminum, so the couple extra pounds added might inconvenience you. However, this is an easily adjustable chair, with a comfortable foam system for the price, while the quick-release lock system is fairly safe. Summary: The Ataraxia Portable Folding Chair has a surprisingly sturdy and quiet frame for the price, but some of its other parts are less resistant. 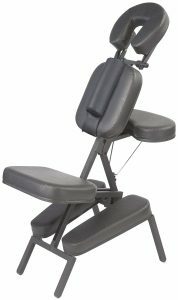 The Earthlite Avila II is not an inexpensive massage chair, but it’s highly adjustable for users between 4’6” to 6’6”. The chest pad is comfortable, sliding and tilting, while the face cradle is very comfortable and easy to adjust, just like the armrests. However, you need a bit of time to learn how to tweak these adjustments to perfection. 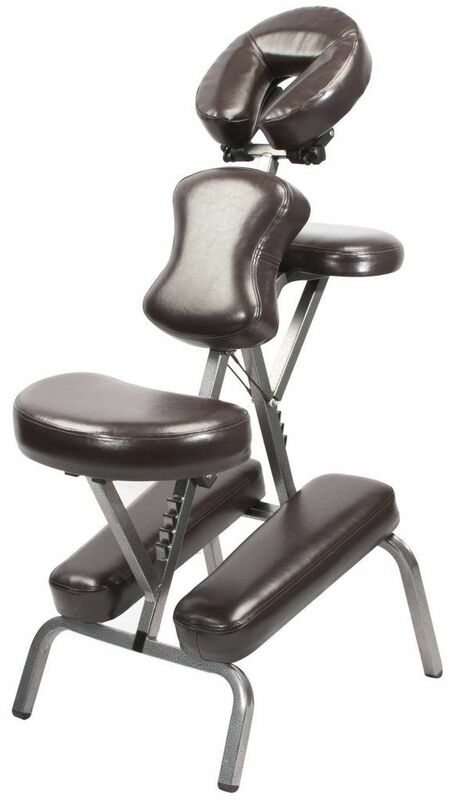 Besides, since the seat height isn’t adjustable itself, the clients can sit comfortably, but the massage therapist needs to work on them from a weird angle. Although the the chair weighs 22 pounds, it can support a maximum working weight of 350 pounds. That’s because the frame is made from carbon composite, that’s light and particularly resilient, and you can easily replace the pads. Plus, it comes with a limited lifetime warranty to attest its longevity. It features removable cushions that are quite comfortable, while the Natursoft upholstery is made from a very soft polyurethane. The chair is easy to transport thanks to the ballistic nylon carry case that sports durable urethane wheels. Summary: Deemed the most easily adjustable chair on the market, the Avila II would certainly use an adjustable chair height. 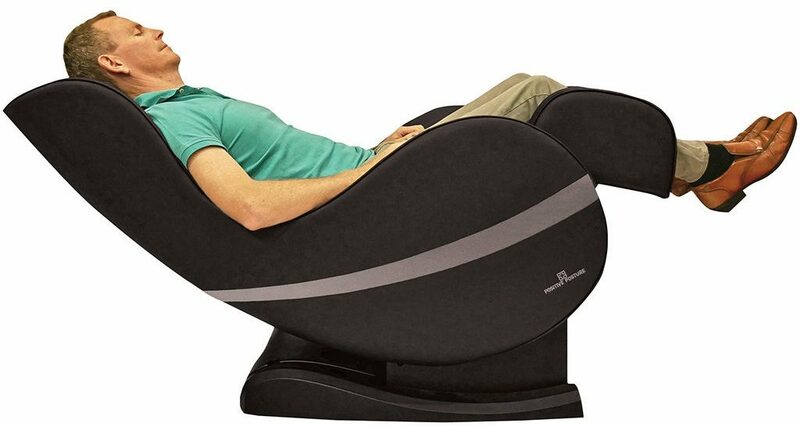 The first thing I loved about this chair is the fully adjustable face cradle and the very comfortable face pillow that’s made from STRONGLITE. This chair has all the bells and whistles, including a valuable pouch, transport wheels and a carry bag made from rugged ballistic nylon that features a strong zipper and padded strap. The frame is resistant, yet light, considering it’s manufactured from T6 aluminum alloy that’s heat-treated. Besides, the patented double tube design makes this chair particularly stable, although it weighs just 19 pounds. However, the chair could use more padding to make it more comfortable and to ensure it lasts longer. The chair can fit clients between 4’6” to 6’6”, thanks to the height-adjustable seat. This seat also allows you to reverse the clients quickly, while the leg pads are easy to remove and serve disabled clients. Summary: The Stronglite Ergo Pro is a strong chair with a durable frame, but it could use more padding. 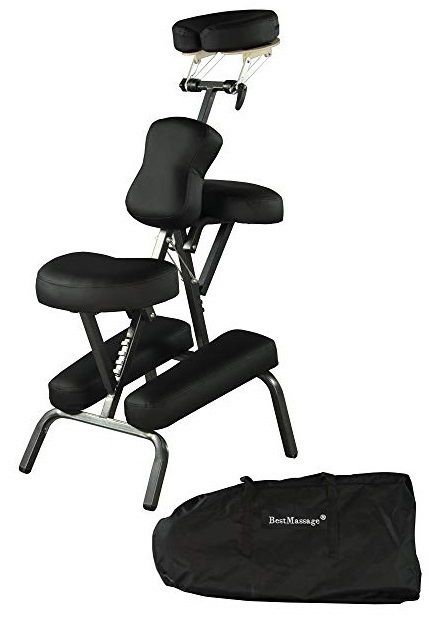 This professional portable chair is fully adjustable and light, great for stone massage. A good value for money chair that’s fairly versatile, the Master Massage Bedford could use better seat and knee support. Easy to transport and fairly comfortable, this chair could definitely use a better headrest, but it’s great for light massage. A versatile, modern and easy-to-clean massage chair, this is a good choice for traveling, but don’t expect extreme durability. This is an inexpensive, comfortable chair, but it can’t resist prolonged use. A foam-padded, portable echair, this one works better for tattoo parlors. An adjustable chair with a tool-free setup, this chair is great for travels, but it’s not extremely resistant. A chair that puts your bodyweight to work when it comes to the massage, this chair isn’t the easiest to set up or fold. 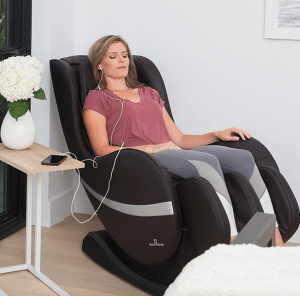 What is a Portable Electric Massage Chair? 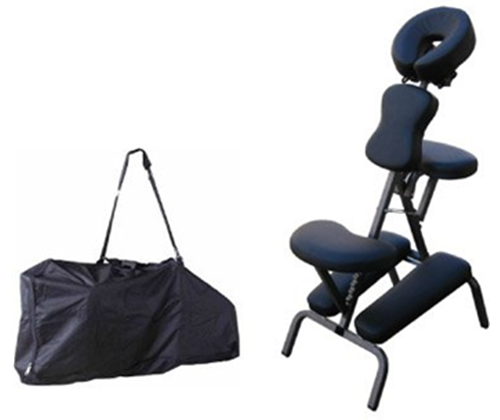 Portable electric massage chairs are compact, foldable, and lightweight massage equipment that you can easily transport from one place to another. They usually come with transport wheels or carry case. Who Would Use Portable Massage Chairs? 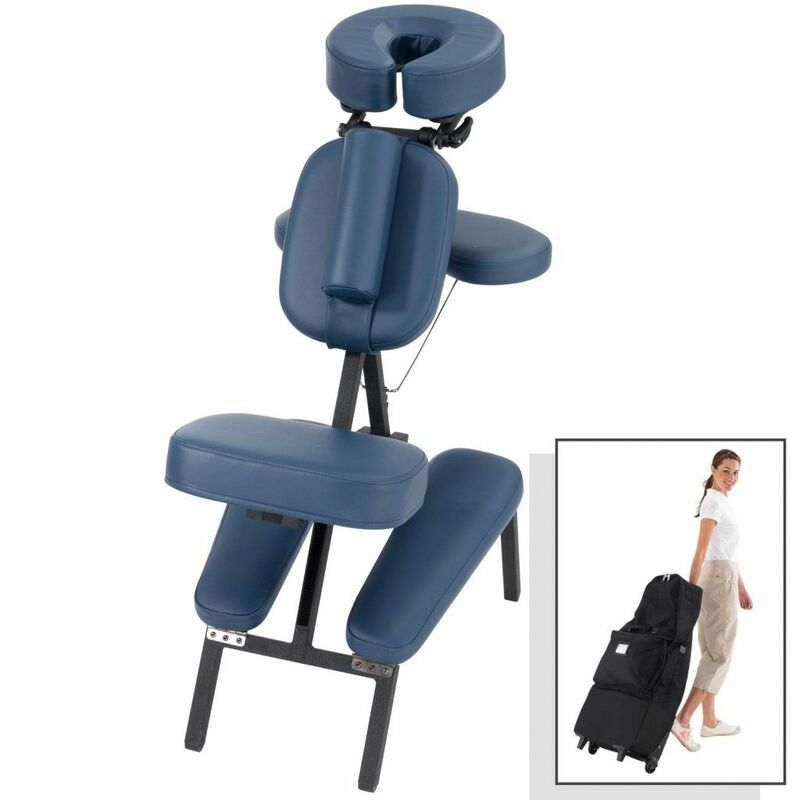 Portable chairs are a great tool for people who provide chair massage therapy. These chairs provide additional support for people such as sports therapists, chiropractors, licensed massage practitioners, and students. 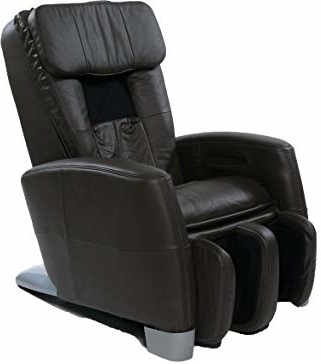 There are plenty of online and offline businesses that retail these massage chairs, but you should look for a reputable place, with good shipping like Amazon. This website allows you to compare and contrast user reviews, and it even offers reliable return policies. If you’ve read my portable massage chair comparison above, you know that my personal favorite is the Master Massage Professional. It’s fairly affordable, resistant, comfortable, easy to use and feature-packed. All in all, it has the fewest disadvantages when you compare it to all the other chairs in this review. That’s my recommendation. What will you get and why? Let’s talk in the comments below. Also reviews of professional massage tables are coming soon! Stay tuned! Dr. Oz, Dr. Sanjay Gupta, or Dr. Brent Bauer from Mayo Clinic are just a few of the medical practitioners and pain specialists who support the Medical Breakthrough brand with documented research. And they have a point because this brand manufactures some of the top medical massage recliners on the market. I consulted experts and came up with this massage chair review of the Medical Breakthrough massage chairs. We’ll offer you chair comparisons, pros, and cons; we’ll even provide alternatives! This is the most comprehensive Medical Breakthrough buying guide for 2018 /2019! 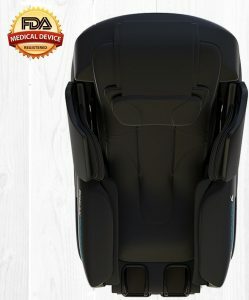 Medical Breakthrough is a reputable brand that sells top quality massage chairs, supported by top MDs, some of which are involved in the design process too. 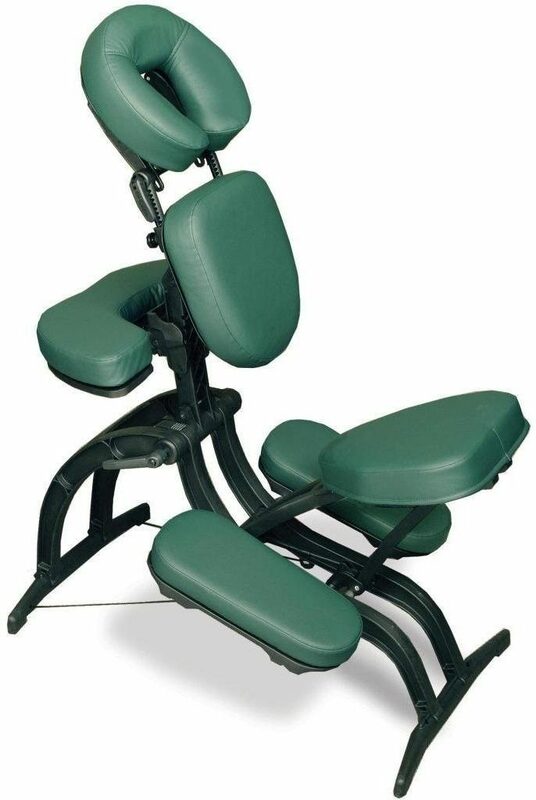 The Medical Breakthrough massage recliners are truly therapeutic, built to improve certain medical conditions, as well as to relax and relieve stress. 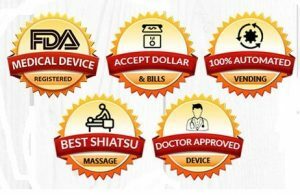 With free shipping, no sales tax in 49 states and great warranties, this brand was started by chiropractic practitioners with 36 years of massaging experience. Although not extremely affordable, the Medical Breakthrough chairs are definitely well-made and don’t miss key features of cheaply priced chairs that compromise quality. Without further ado, let’s see what some of the best Medical Breakthrough chairs and alternatives are below. 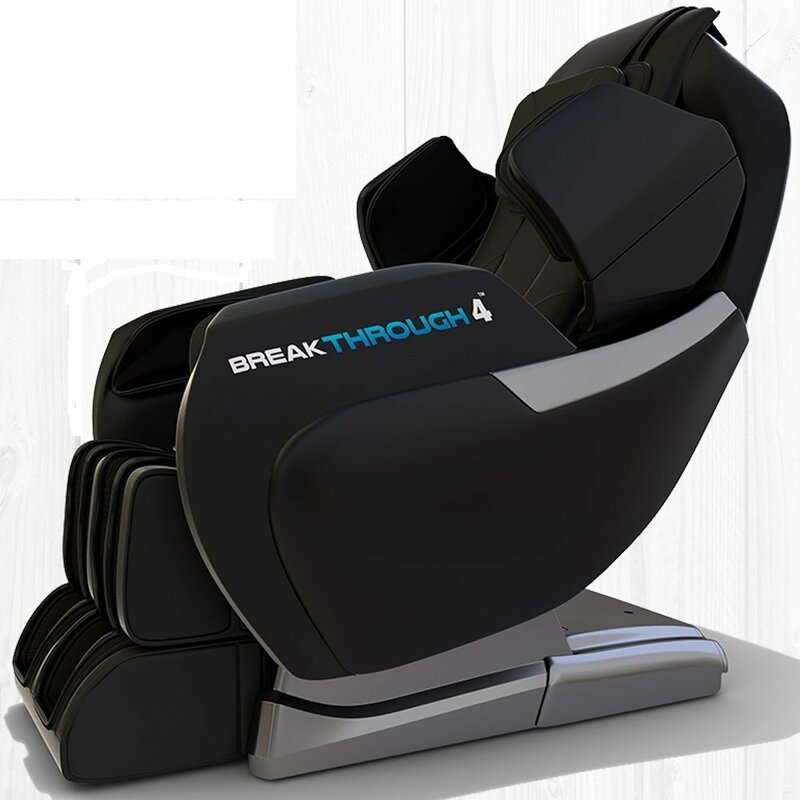 The Medical Breakthrough 6 Massage Chair has a foolproof therapeutic design, with over 25 doctors, chiropractors, and surgeons participating in its manufacturing. As such, it features plenty of techniques such as Japanese 3D neck and shoulder massage, Turkish Treatment, Greek Stress Relief, the deep tissue treatment from Indonesia, New Delhi Yoga, Swedish airbag massage technique and Hawaiian sleep therapy, plus a few ancient massages from the Romans and the Egyptians. Another therapeutic bonus is the medical body scan, so you know this chair will find your sore spot correctly. Zero gravity helps take pressure off your spine so you can be more relaxed, but plenty of chairs have this feature. The 3D L-track can be considered a unique advantage, considering that the shoulder to glute massage is quite vigorous. 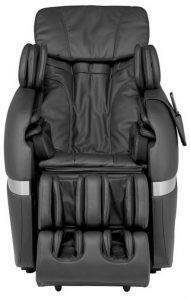 This deep tissue massage chair comes with free shipping and no hidden fees, as well as a 3-year warranty. It’s a quiet chair, with adjustable leg extensions, and a built-in Bluetooth connection. 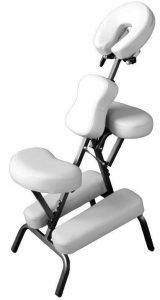 But its best features are hands-down the intense lower back rollers, hip twist, heat therapy, and reflexology massage. Summary: The Medical Breakthrough 6 is a foolproof therapeutic chair, but it lacks certain user-friendly advantages like a memory function. The first difference between the IT-8500 and the Medical Breakthrough 6 is the track design. While the IT-8500 features an S-track that, albeit ergonomic, stops around your waist area, the Breakthrough 6 offers a superior L-track that can get to your glutes. However, the quad rollers fix this problem a little. The IT-8500 also offers a 3D body scan, air massage, and lumbar heat, but two different zero-G positions. You also have plenty of options with this model, but there are just the usual massage chair techniques, like Kneading, Tapping, Combo, Percussion, Dual Action, and Shiatsu. By comparison, the Medical Breakthrough 6 offers more therapeutic options. Another advantage of the IT-8500 over the MB 6 is the zone massage function that allows you to keep the rollers on a tight spot as much as you want to. Both chairs offer a body stretch, but the Yoga Stretch featured by the MB6 is more relaxing, while the one offered by the IT 8500 is quite vigorous. 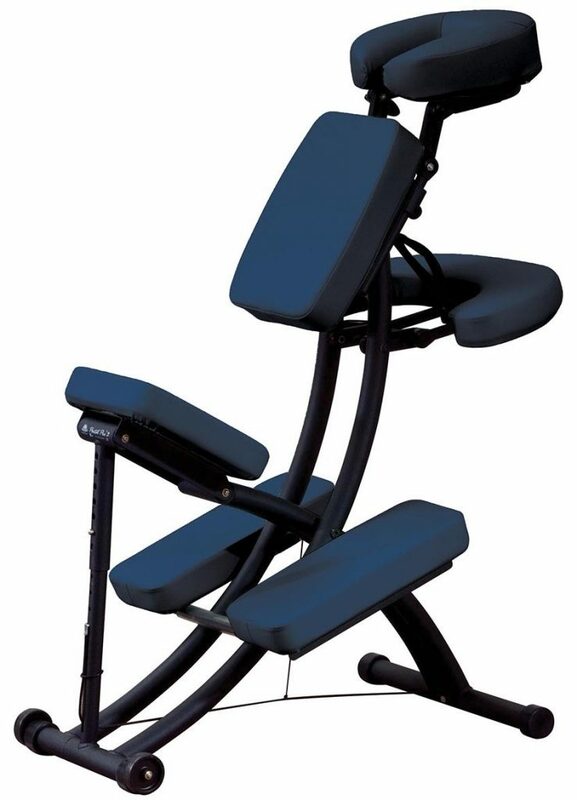 Both chairs feature users body twist plus calf and foot massage, but the IT 8500 has one advantage: the inversion therapy that improves circulation. 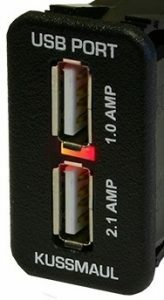 Besides, while both offer a Bluetooth connection, the IT 8500 has an optional app control designed to provide easier control than that of a remote. Summary: The IT 8500 has fewer therapeutic functions than the MB 6, but compensates through inversion therapy and 2 zero-G positions. 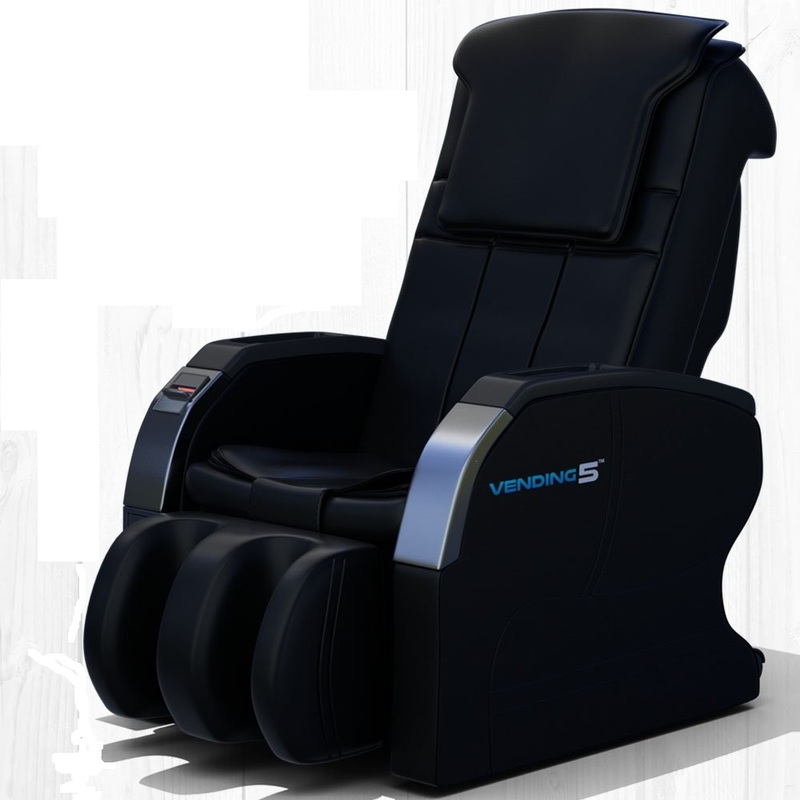 With free shipping and 3-year warranty, the Vending 5 is a military-grade, heavy-duty massage chair that accepts various bills and credit cards, featuring a user-friendly interface. Just like the MB6, it has a smart, full body medical scan and a head to toe back massage system. Users will benefit from a 3D deep tissue massage, albeit the intense lower back rollers might feel a bit much for some people. 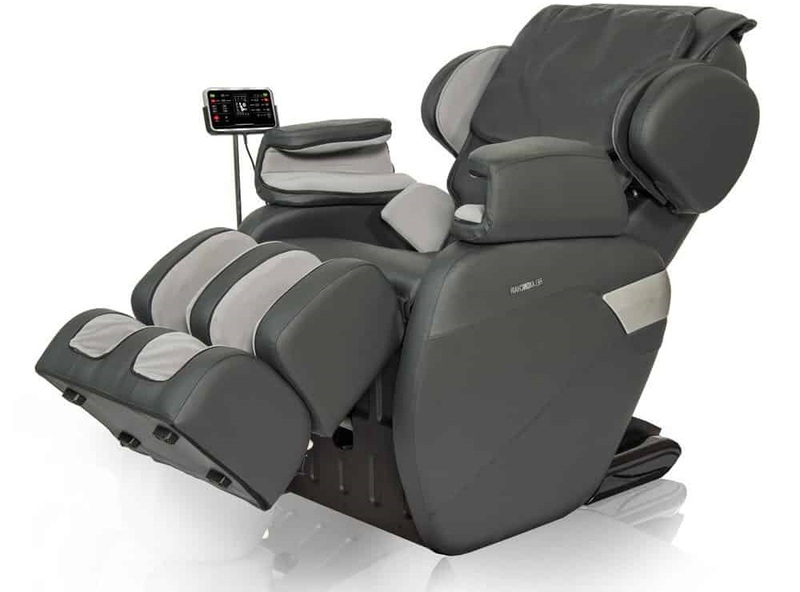 It’s quiet, it has full body reflexology, zero-G and body twist, but unlike the MB6 it’s less therapeutic and better suited for relaxation – after all, it’s a vending massage chair that should fit the needs of very distinct people. Therefore, the massage techniques are fewer and less specialized than those featured by the MB6: Kneading, Flapping, Combo, Knocking and Shiatsu. There are 6 built-in massage programs with 5-speed levels with fixed, partial and full body massages. You can also adjust the massage zone, the pressure and the distance between the kneading balls. However, a true bonus when comparing this chair to the MB6 or to other vending massage chairs is the foot rubs it offers, including arch and heel scraping. Summary: The best vending massage chair for its foot massagers and top relaxation, the MB Vending 5 could do with some heat therapy and more manual programs. A therapeutic, value for money massage chair from a reliable brand, the Kahuna LM6800 is a feature-packed chair with a space-saving design. Its best feature is the hybrid L/S track design because it combines the advantages of both types of tracks: it fits your anatomical shape, and the rollers can massage your glutes and hamstrings. As opposed to the MB chairs reviewed until now, the Kahuna 6800 has 3 zero gravity seating positions. The air massage mode is also great, with 36 air cells to cover your entire body, which the MB 5 lacks. In terms of massage options and techniques, the Kahuna is comparable to the MB Vending 5, seeing as it includes Kneading, Tapping, Combo, Rolling and Shiatsu, so nothing special there. Just like the MB Vending 5, but not so ordinary for an affordable massage chair, the Kahuna 6800 offers a zone massage option and a body stretch function. However, there’s heat therapy for both the back and the calves, which lacks for the MB Vending 5. But even if you have calf heat with the Kahuna, the calf and foot massage are arguably better with the MB Vending 5, seeing as this chair features foot rubs with arch and heel scraping. Summary: A value for the money massage chair, the Kahuna 6800 offers a relaxing, comprehensive massage. With its doctor-based manufacturing and expert craftsmanship, the MB 4 distinguishes itself by its unlimited customization seeing as you can adjust anything from its incline to your massage type. Just like the MB6, it includes a medical body scan and zero gravity, but it excels through its chiropractic backstretch. This is done courtesy of inflatable air bags that squeeze your hips, stretching your back muscles. Another similarity with the MB6 is the superior L-track design that fits the anatomy of your body, while the rollers can get up to your buttocks and hamstrings. However, the MB4 has fewer built-in massage techniques with just the common Kneading, Flapping, Knocking, Combo and Shiatsu. But a definite advantage is the two memory functions courtesy of which you can store your favorite massage settings. You also have three manual massage mode options and five-speed levels, including a zone massage. Even the airbag massage has three intensity levels! Just like the MB6, the MB4 features heat therapy, which is extremely therapeutic considering it uses infrared heat that warms you from the inside. But probably the unique feature is the toe massage you’ll be getting thanks to the two pairs of papillae, though the heel and arch scraping comes at a close second. Summary: The Medical Breakthrough 4’s best features include infrared heat therapy and toe massage, but it lacks some of the more therapeutic techniques of the MB6. 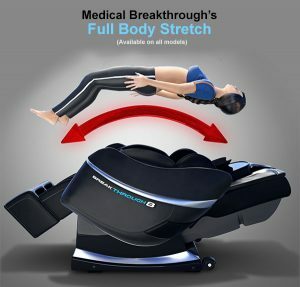 With free shipping and a 3-year warranty, the Medical Breakthrough 8 boasts some of the same features as the Medical Breakthrough 6: medical full body scan, head to toe back massage system, 3D massage, deep tissue massage, intense lower back rollers and engulfed arm massage. This is a quiet chair with adjustable leg extensions and wheels to move it around easily. It offers a full body stretch, a quality shoulder massage courtesy of huge shoulder massagers, reflexology, heat therapy, custom forming sole rollers and hip twist. As opposed to the MB6, the MB8 has the patented chiropractic body twist technology, as well as a Champissage head massager for a strong neck massage. 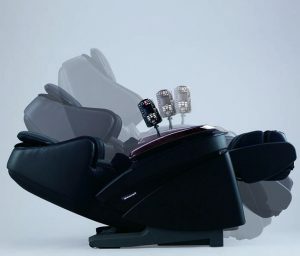 There are 167 air cells for a vigorous air massage, plus the built-in Human Hands massage system and the Extreme Customization system with various speeds and intensity levels. Besides, the MB8 has USB/ Mp3 connection plus headphones. 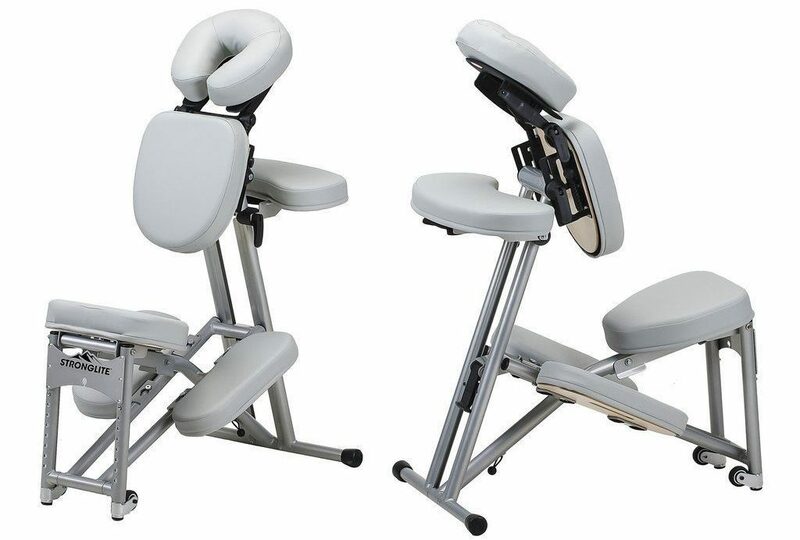 On the other hand, the MB 6 has many more massage techniques from around the world, while the MB 8 features basic techniques like Kneading, Tapping, Combo, Shiatsu, Knocking, and Rolling. Summary: The Medical Breakthrough 8 is a feature-packed, highly customizable chair that’s very user-friendly, but could benefit from more therapeutic massage techniques. In the same price range, the Luraco i7 PLUS is an excellent alternative to the Medical Breakthrough 8, but let’s start with the disadvantages first. Although it features a full body scan, this is not as good as the medical body scan offered by the MB 8. Besides, the S-track design isn’t as good as an L-track or hybrid design. That said, the Luraco i7 Plus is listed with the FDA, CE, and UL, built for medical purposes. This is a highly customizable chair too, with 5 memory slots, pause, and resume buttons and built-in blood pressure and heart rate monitor. The Luraco i7 features full body heat, body shape detection, and a great neck massage, plus a 3-layer foot and calf massage. It also has some of the same characteristics as the MB 8, such as basic massage techniques that include Tapping and Kneading with various massage intensities and speed adjustments. It also features 10 W Bluetooth speakers and can fit bigger-sized as well as petite users. Summary: The Luraco i7 Plus is a truly therapeutic massage chair, but could benefit from more massage techniques and hybrid track design. 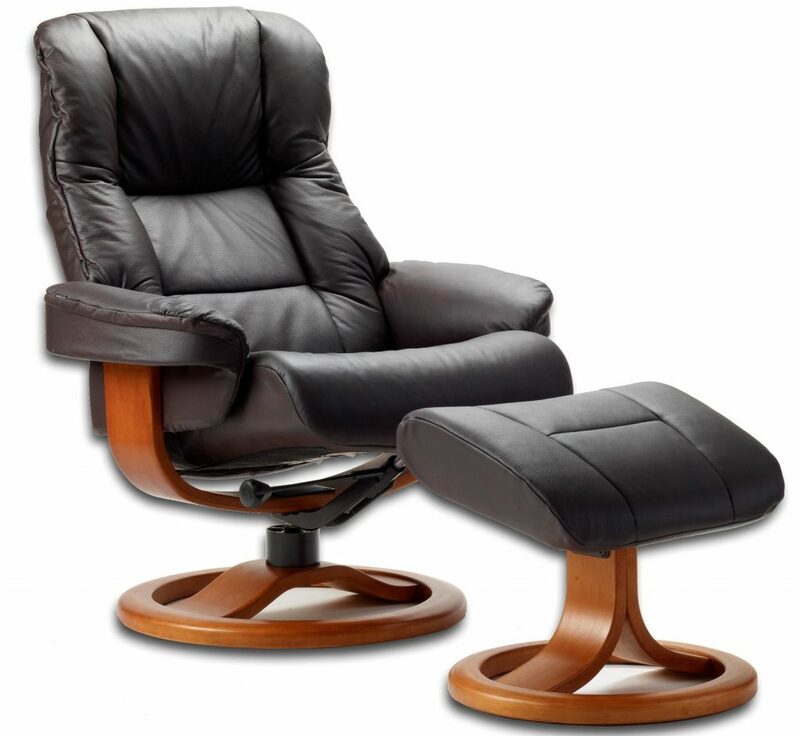 The Medical Breakthrough 7 massage chair recliner has a few of the same characteristics as the MB6. 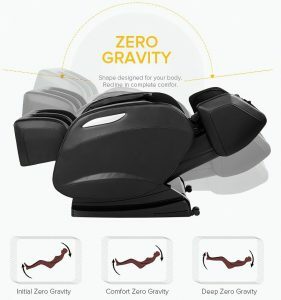 It features zero gravity, although just one position, automatic full-body scanner, 3D deep tissue massage, intense lower back massage, arm massage, and full body stretch. 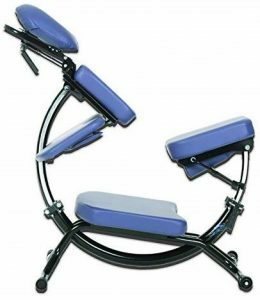 It’s a quiet chair with transport wheels and adjustable leg extensions that can deliver a great hip twist thanks to longer massage rollers. It also features huge shoulder massagers, air massage, heat therapy, reflexology, and sole rollers. As opposed to the MB 6, the MB7 features an AUX connection instead of Bluetooth and has two extra patented systems: the Human Hands Massage System™ and the Champissage Head Massager™. This head massager is inspired by an Indian practice and comes with a pillow that air-massages your head to relax you and improve oxygen circulation to the brain. It’s also a great way to improve lymphatic drainage, increase joint mobility and release endorphins. The Human Hands system feels very real – like a chiropractor is working on your body. However, the MB 7 features some of the more basic massage techniques, like Kneading, Tapping, Combination, Shiatsu, Knocking and Rolling. 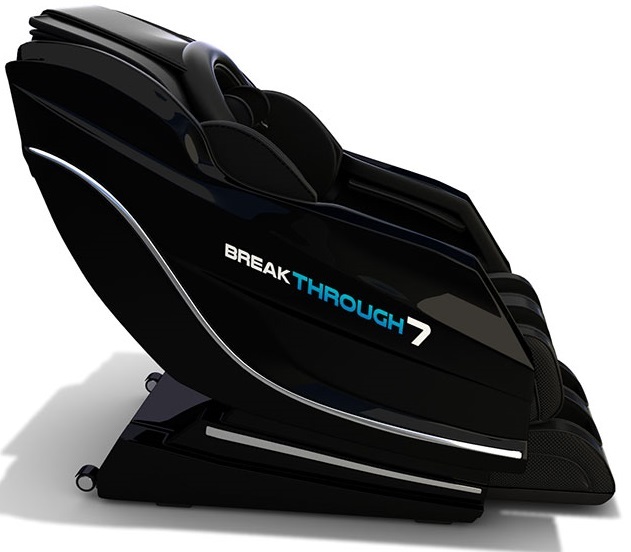 Summary: The therapeutic purpose of the Medical Breakthrough 7 is to deliver human-like massages that improve lymphatic drainage and increase mobility. Praised as the best medical massage chair ever made on the official website, the Medical Breakthrough 9 offers some of the same advantages as the MB6, such as: zero gravity, full body medical scan, 3D deep tissue massage, intense lower back rollers, arm massage, full body stretch, hip twist, heat massage, shoulder massage, reflexology and sole rollers. It’s also quiet, has adjustable leg extensions and wheels. However, it features some extras, like the Human Hands Massage System™ which feels very lifelike and the Champissage Head Massager™ that air-massages your head to improve circulation. Its Chiropractic BodyTwist™ Technology is an improvement in comparison to the regular body twist, and its air massage works with 167 air cells. 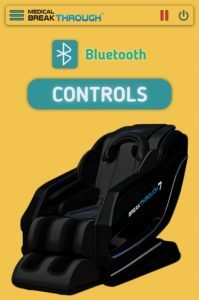 This chair also features the Extreme Customization System™ which makes it easy to adjust your preferences, plus a USB/ MP3/ Music connection and headphones. But probably its best feature is the Advance Medical Care Systems™ that helps select the medical issue you want to work on, including cardiovascular problems, chronic back pain, chemotherapy or cancer-related symptoms, anxiety and physical recovery. However, the massaging motions used are pretty basic, with just Kneading, Flapping, Combo, Shiatsu, Knocking and Rolling. Summary: The Medical Breakthrough 9 excels through its Advance Medical Care Systems™ that helps you work on a specific medical issue, but could use more advanced massage techniques. A good place to start is to check the price on Amazon. 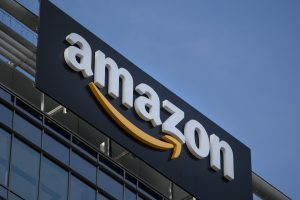 With good shipping and return policies as well as decent prices, Amazon is a great way to read user reviews, see ratings, answered questions as well as similar products. For instance, if your massage chair doesn’t include an incorporated music system, you can easily buy speakers or headphones from the same place. Otherwise, the Medical Breakthrough website is trustworthy and offers free shipping plus some holiday offers. The only disadvantage is that it doesn’t feature complete user reviews. We have reviewed various Medical Breakthrough body massage chairs with a zero-gravity design from different price ranges, as well as some valuable alternatives that offer a real relax. thanks to its plethora of built-in therapeutic techniques and expert design and user-friendly operation. That said, which chair will you purchase and why? Let’s talk in the comments below. Tell me if this is you: you love massages, but your local massage therapist or chiropractor wants to beat stress and pain out of your body. Which feels quite painful, right? But Panasonic has found a way to deliver deep, comprehensive massages without that feeling. We’ve talked to experts, read countless reviews and ended up with a buying guide of the Best Panasonic Massage Chairs. Because no brand is perfect, right? So read along. Panasonic has been on the market for over 100 years and it now signifies technological advancement. Form electronics to industry, Panasonic can do it all. Yes, including massage chairs. The Panasonic EP-MA70 is a stylish full body massage chair recliner that looks like a piece of living room furniture, and the hideaway ottoman definitely helps with this. This model features an S-track design with quad rollers that follow your spine’s anatomical shape and mimic the touch of human hands. 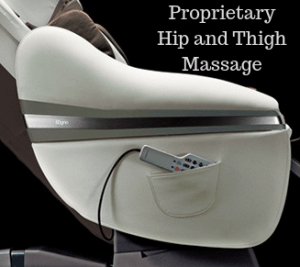 The EP-MA70 features a 3D body scan that subtly adjusts the roller position to massage your sore spot. If the computer misses, you can also manually adjust the rollers yourself. 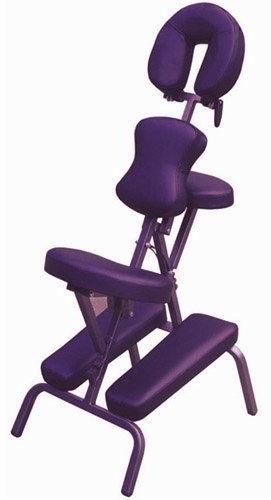 We love the 3D massage head too that are extremely flexible and can give a deep tissue massage, but the chair is better suited for people shorter than 6’2”. Besides, the massage rollers are heated, which is something different from heat therapy, giving the impression of the human touch. Unfortunately, there’s no actual lumbar or calf heat to accompany the warm rollers. The EP MA70 has a lot of options, starting with advanced massage styles like Junetsu, Shiatsu, and Swedish along with the basic Kneading, Rolling and Tapping. There are 6 built-in massage routines, along with a true deep tissue massage, air massage mode with 33 airbags and a memory function with three slots. Even the calf and foot massage is done completely with airbags, but this feels less dynamic than a roller massage, especially for the sole. Summary: The Panasonic EP-MA70 is feature-packed and offers a life-like massage, but could benefit from heat therapy and zero-G. The Kahuna LM6800 is a truly therapeutic chair with a lot of amazing features, starting with its space-saving design. The first advantage when compared to the Panasonic EP-MA70 is the hybrid L/S track design that can get up to your glutes. Other advantages are the 3 zero gravity seating positions and heat therapy for both the back and calves. In terms of air massage, the Kahuna is comparable to Panasonic EP-MA70, with 36 massage cells, but it has one additional massage technique: Kneading & Tapping Combination. Another advantage is the zone massage option. This value-for-money chair offers a good foot and calf massage too, but it doesn’t have heated rollers that improve all massages. Besides, it also doesn’t have a memory function, and the Panasonic EP-MA70 arguably feels more lifelike. Summary: The Kahuna LM6800 is a great option for reducing back pain thanks to its heated rollers and 3 zero gravity positions. A top-end massage chair, the Panasonic EP-MA73 is another therapeutic chair that can easily blend in with your living room décor. Just like the EP-MA70, this model features an S-track and quad rollers for a truly human touch, 3D body scan to identify your pressure points plus manual adjustment of the roller position. This model also features heated massage rollers but boasts extra lumbar and foot heat. It has a hideaway ottoman to use it as a regular chair but, unfortunately, the ottoman doesn’t extend, so the chair isn’t particularly comfortable for people who are taller than 6’2”. 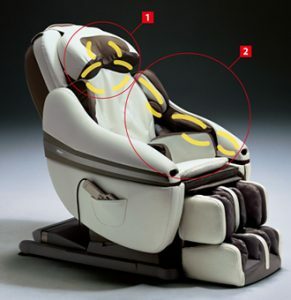 The chair features the same massage techniques: Kneading, Rolling, Taping, Junetsu, Shiatsu, and Swedish, plus 6 built-in programs, with three levels of speed and intensity. The adjustable timer is another benefit, but the air massage is comparable to that of the EP-MA70, with just 36 Second Generation airbags. However, the improvement is that the calf and foot massage is done with airbags and rollers too, and there are various full-body or partial stretches, along with 3 memory slots. The true downside? No zero gravity again! Summary: A stylish, therapeutic chair, the Panasonic EP-MA73 could really use some zero-G. The Panasonic MAJ7 has various therapeutic benefits to improve flexibility and decrease pain, starting with its SL-track design. 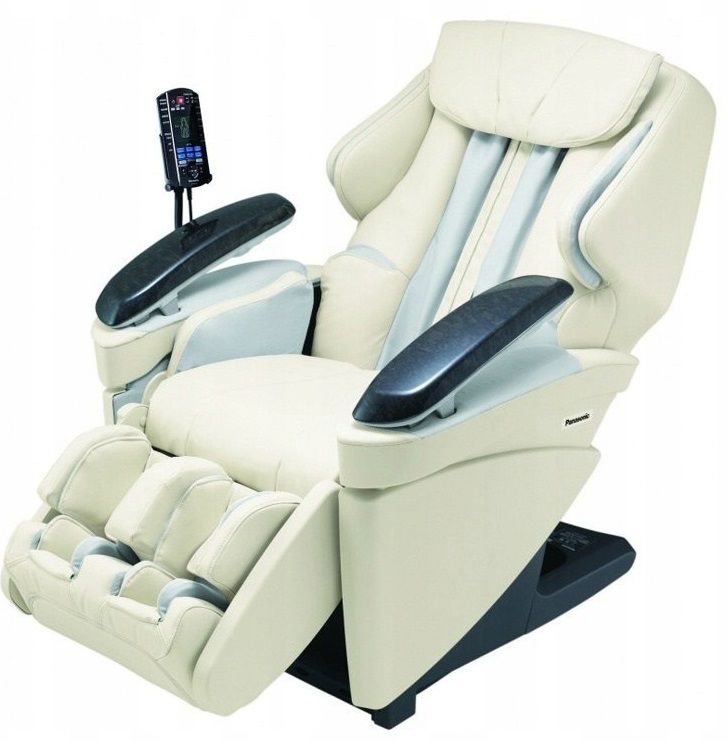 It’s a quiet chair that boasts 37 air cells and heated rollers, but its best feature is the Shiatsu sole massage. The 3D independent massage heads feel quite natural so that you can massage the lower core both vertically, horizontally and in front. There are 6 built-in massage programs, plus the already-mentioned techniques like Junetsu, Shiatsu, Swedish, Kneading and Rolling/Tapping, but you can get up to 158 combinations between these. 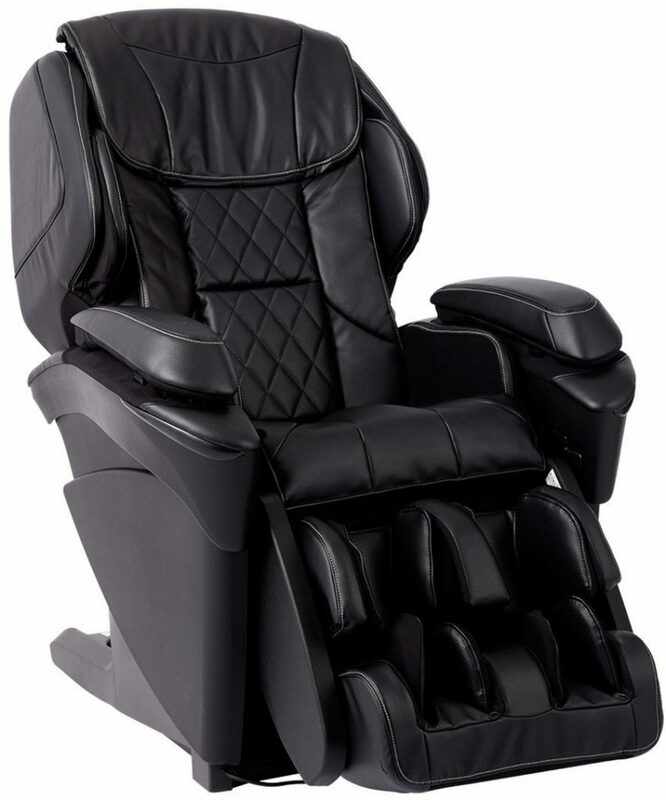 The chair is very comfortable, it delivers great zone-focused air massages and amazing toes and sole massage, arch kneading, and massage, it even reclines 170-degrees! The downsides: no heat therapy or zero-gravity, as well as no incorporated music system. Summary: The Panasonic MAJ7 offers the best feet and sole massages, but it lacks heat therapy and zero-G. The Luraco i7 offers an inferior S-track design, but it’s listed with the FDA, CE, and UL, plus it’s built for medical purposes. This chair features a full body scan, has 5 memory slots, you can pause it, and there are incorporated blood pressure and heart rate monitor. Other advantages include full body heat therapy, body shape detection which improves the body scan function, and a 3-layer foot and calf massage. It can also fit bigger people, has one zero-gravity position and boasts 10 W Bluetooth speakers. 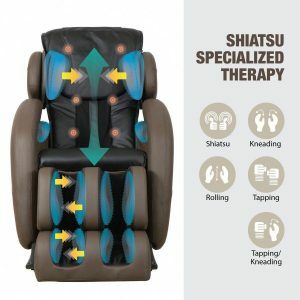 Even if it boasts plenty of massage options for partial or full body, along with massaging techniques such as Kneading, Tapping, Kneading and Tapping, Rolling, Swedish and Shiatsu, it doesn’t have as many combinations as the MAJ7. Besides, the MAJ7 offers a superior sole massage and looks better. Summary: The Luraco i7 is a good therapy massage lounger, but it doesn’t look as stylish as the MAJ7. The Panasonic EP-MA73KU Real Pro Ultra has many of the same characteristics of the Panasonic EP-MA73, such as multi-directional massage rollers, Shiatsu thermal foot massage, 3D massage system, and 33 air cell system. The techniques it uses are Knead, Junetsu, Shiatsu, Swedish and Rolling/Tapping, but it also employs partial and full-body massage at different speeds and intensities. Basically, there are about 110 combinations you can choose from. Still, there’s no music, zero-G or heat therapy, though it has a precise body scanning technology that can figure out over 1000 acupoints. The ceramic foot heaters are another definite advantage. Summary: The Panasonic EP-MA73KU Real Pro Ultra is the best Panasonic massage chair for foot massage therapy. The Panasonic EP30007 boasts an S-track design, good 3D body scan, manual roller adjustment buttons plus a wide plethora of options and combinations. With techniques such as Junetsu, Shiatsu, Swedish, Kneading, Tapping, Grasping, Rolling and Stretching plus 5 pre-programmed massage routines, the “Deep Massage Program” is the best. There are various intensities, 36 Second Generation Airbags for a superior air massage, an extendable ottoman to accommodate people up to 6’4”, but the foot massage is done just with airbags, not rollers. Still, we love the granular body stretch option that can be used either for the whole body or partially. Other user-friendly characteristics include an adjustable timer, memory function with a staggering 24 slots and an easy-to-use remote. Summary: With so many free memory slots, this massage recliner is better suited for people who want to set their own options. 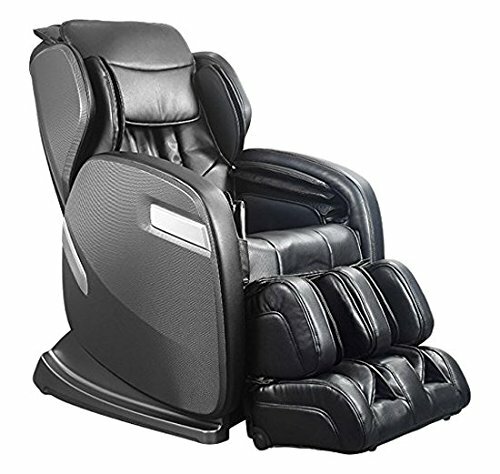 At a more convenient price, this massage chair recliner boasts some great features like multi-directional thermal massage roller, Shiatsu foot massage, plus palm and arm massage. There are various techniques used, including Knead, Rolling, Tapping, Shiatsu, Swedish and 10 Junetsumassaging techniques. A huge benefit is the 110 manual combinations between these techniques and intensity levels, though. The 3D massage system is another strong point, along with the 33 air cells for a decent air massage. Made from synthetic leather and aiming to mimic hot-stone therapy, this chair is intended to sooth, stretch and relax sore muscles. The Dual Zone Heated Massage plus body scan are other advantages. Unfortunately, this chair also doesn’t offer music connection, heat therapy or zero gravity. Summary: The Panasonic EP Real Pro Luxury is a feature-packed, affordable massage chair, but boasts just some basic functions. There are various features that recommend the Panasonic EP-MA70CX, like the 3D multi-directional double-heated rollers, 8 manual programs, intensity control adjustment, plus height and width adjustment. 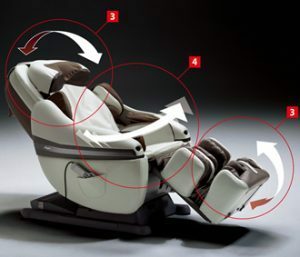 This chair offers a comprehensive massage courtesy of 33 airbags and automatic massage body-scan, such as waist, seat, hip, glutes, and leg massage. 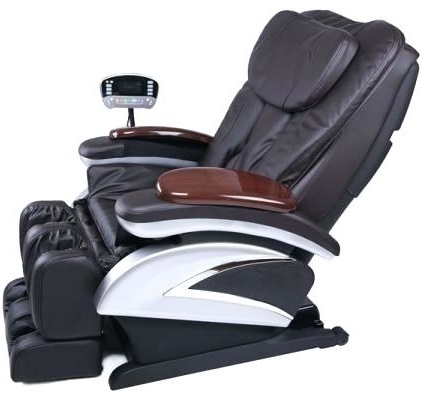 This is a power-reclining chair with a program time indicator, 3 memory slots, voice guidance, pivoting ottoman and removable cushion that offers 108 massage combinations. However, a massage cycle lasts just 16 minutes; there’s no heat therapy, nor zero-G.
Summary: A massage chair that’s easy to adjust and perfect for short massages, the Panasonic EP-MA70CX could use some heat therapy. 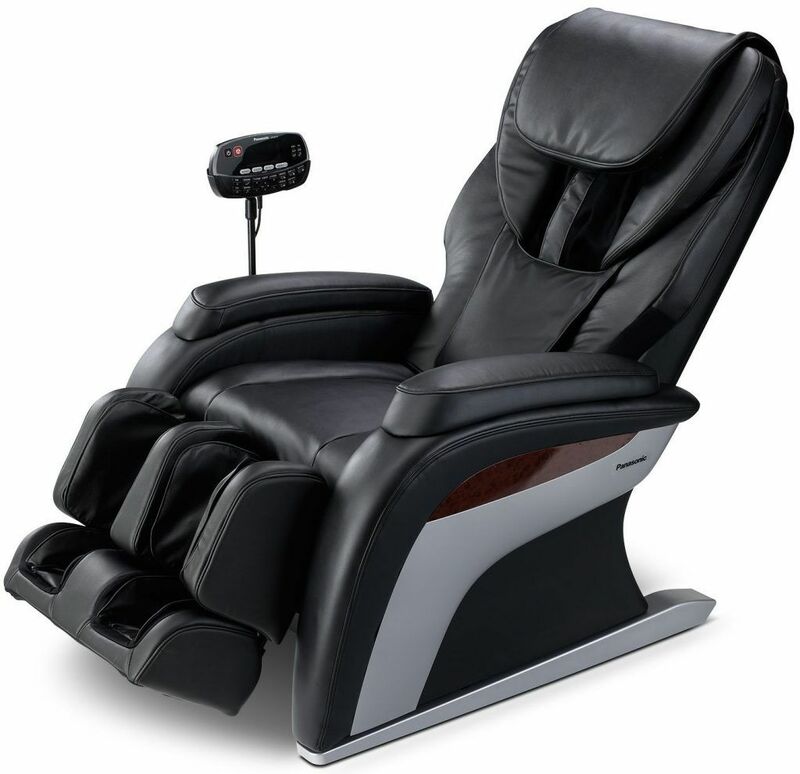 The IT-8500 has an ergonomic, S-track design with quad rollers, boasts 3D body scan, air massage and some of the same massage techniques. However, it shines in comparison to the Panasonic EP-MA70CX by its lumbar heat and two zero-gravity seating positions. Courtesy of the zone massage function and full body stretch, the Infinity is a very relaxing chair. It also features body twist and inversion therapy for additional therapeutic advantages. Besides, the Infinity IT8500 is also a very user-friendly chair, with Bluetooth connection and optional app control that’s arguably easier than using a remote. Summary: The IT 8500 has more therapeutic massage functions like inversion therapy and 2 zero-G positions, but it’s not as customizable as the Panasonic EP-MA70CX. The Panasonic EP MA10 has a small footprint, but that makes it better suited for people under6’2”. Just like most Panasonic chairs, especially affordable ones, this recliner features an S-track with quad rollers that deliver a decent massage. Another good feature is the reliable 3D body scan with manual control, but there are just three massaging techniques: Kneading, Rolling and Tapping, along with four pre-programmed massage routines that include Deep, Swedish, lower back and neck/shoulder. Although there are three intensity levels, the default duration is just 15 minutes. The neck massage this chair offers is great, thanks to the Neck Knead and Neck Shiatsu options. With 36 total massage combinations and limited air massage mode with 14second generation airbags, the Panasonic EP MA10 delivers a decent massage, though the leg massage is the best. However, the foot massage could be done with rollers, not just airbags, to make it more intense. Summary: The Panasonic EP MA10 is great for petite users who need to improve chronic neck pain. This good-looking, leather chair doesn’t just look good; it also has some quality features for the price, such as advanced quad-style massagers and auto recline. There are 14 airbags to offer a pretty decent airbag massage, along with 4 preset massage programs that are quite therapeutic: Shiatsu, Swedish, Chiro, and Quick. The remote is easy to use and helps you personalize your massage, selecting from 8 manual massage modes: Knead, Compression, Swedish, Hawaiian, Full & Regional Roll, Soft Shiatsu and Tapping. Besides, the deep neck/shoulder massage feels very real, imitating a chiropractor’s rolling wrists. Unfortunately, there’s no zero-G, heat of any kind or memory function. Summary: The Panasonic Urban is the chair to buy for a stellar neck massage. The top budget model in this review, the Swede-Atsu is approved by the American Chiropractic Association. This chair offers deep-tissue massages courtesy of its firm rubber massage heads, which also feel very life-like. 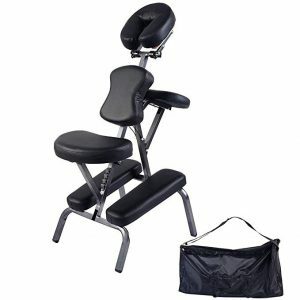 You’ll get a vigorous, neck, shoulder and back massage, while the Dual-Use ottoman massages your lower body. The Stretch system feels great on your lower body, while the air massage will squeeze your legs while the ottoman raises or lowers them gradually. The massage techniques included are Shiatsu, Compression, Hawaii, and Percussion, with 4 built-in programs and 5-speed intensities. However, this chair also doesn’t offer any sort of heat, zero-G or extraordinary functions, focusing on basic massages. For those reasons, the Kahuna 6800 is a reliable alternative. Summary: This is the perfect chair to improve chronic lower back pain, including Sciatica, but it otherwise offers basic massages. Panasonic best massage chairs are found in a wide range of prices. There aren’t a ton of Panasonic chairs models, just 8 currently retailed on their website, most of which lack great features like heat therapy or zero gravity. They could also use some music system, after all, Panasonic handles that too. However, Panasonic brags about their chairs being Zengineered, which brings some Zen into the mix. Basically, they want to relax and soothe you, not pound you with therapy, which explains why they lack some of the qualities above. Still, the Panasonic chairs are all quality-made by a reputable brand so that you can count on their durability and functionality. One idea is the Panasonic website or authorized Panasonic dealers. However, if you want to browse some reviews too, and not just read the official specs, you can try Amazon. This is a trustworthy website, with great shipping and return options. The best model in this review is the Panasonic EP-MA70, which is stylish, adjustable and mimics the human touch. But there are better alternatives for each Panasonic model that we discussed above, such as the Kahuna LM6800 for the under $2500 price range, the Infinity 8500 for the under $5500, and the Luraco i7 for the over $7000 category. That said, which chair will you get and why? Let’s talk in the comments below. 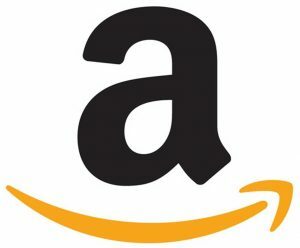 Wellnessgrit.com participates in the Amazon Affiliates Program - if you make a purchase after clicking a link from Womensg.com to Amazon.com, we will receive a small percentage of the sale at no extra cost to you. Thank you for your continued support!